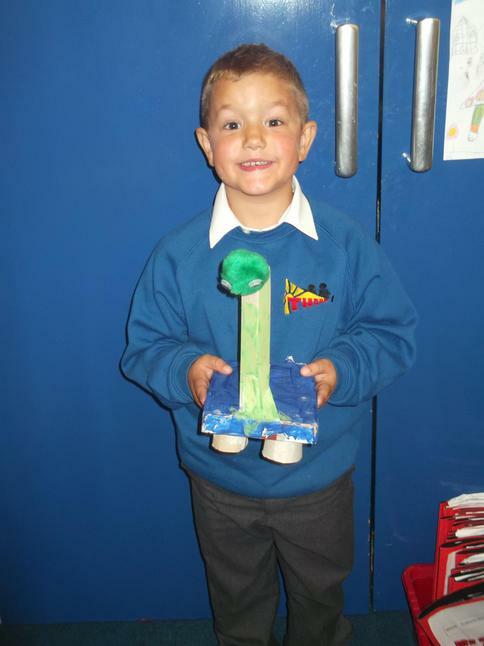 Hello and Welcome to Year 1/2 K.
and Fridays. 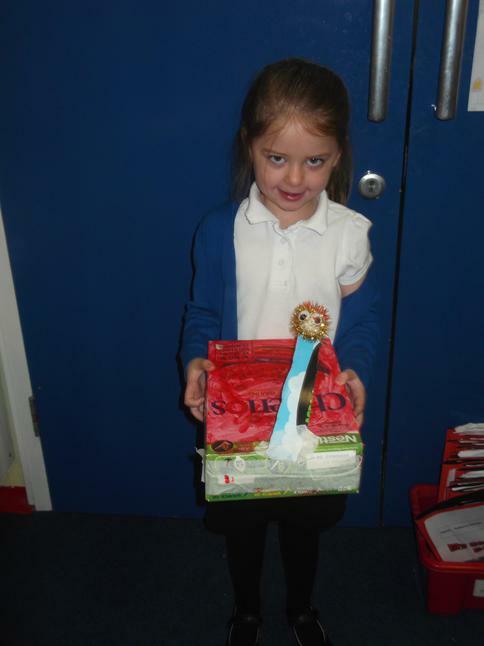 Library books are changed on Tuesdays. 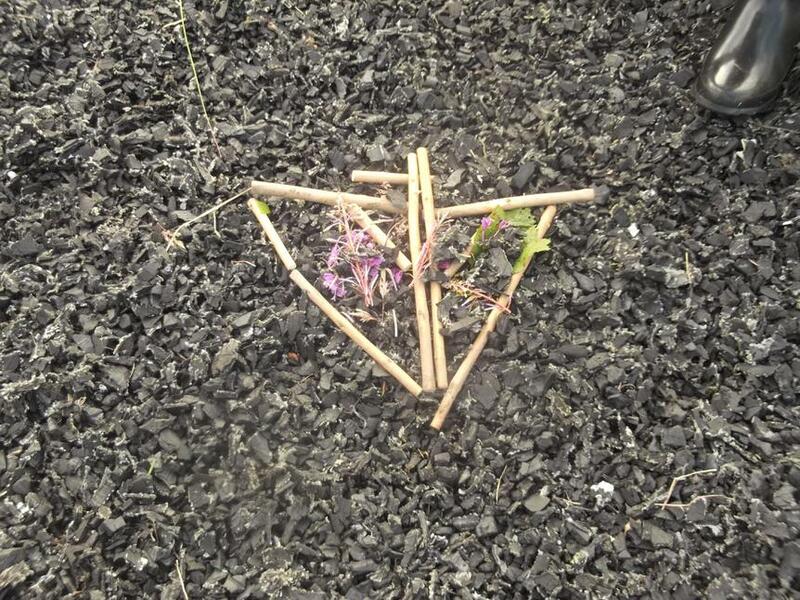 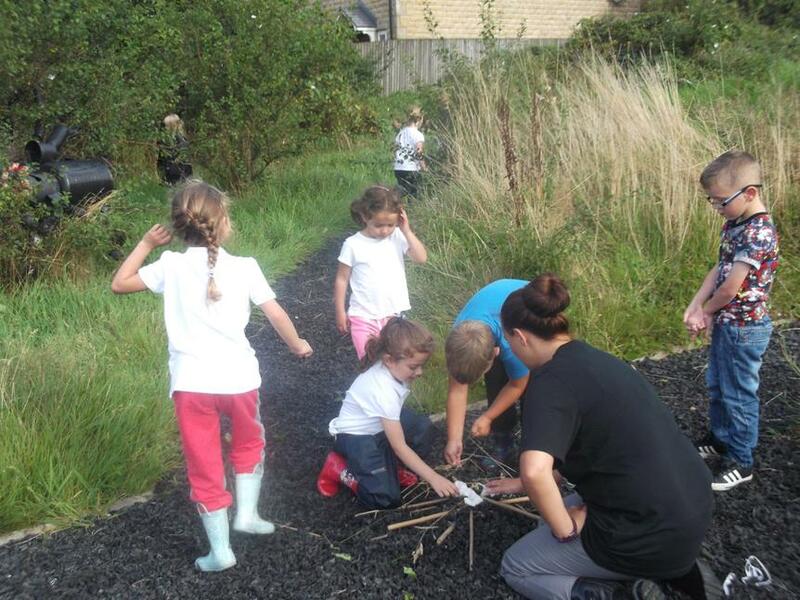 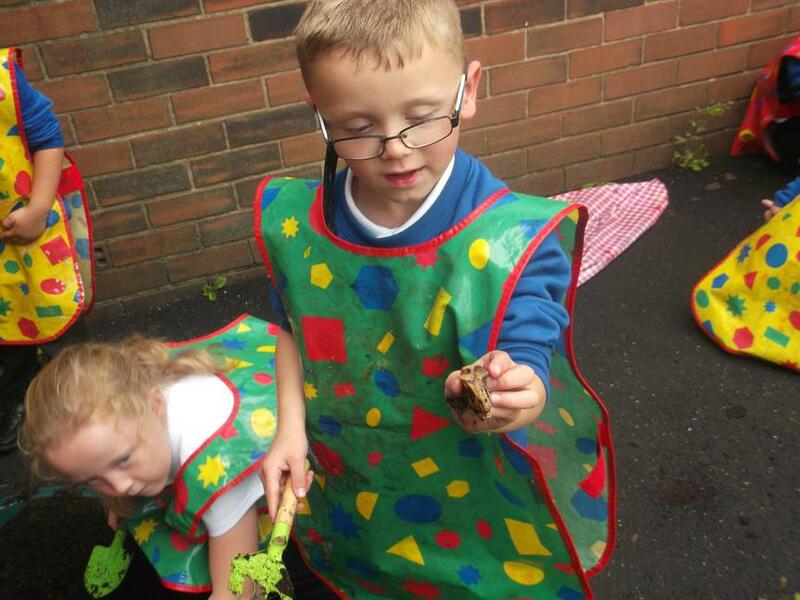 are some photos of us at work outside. 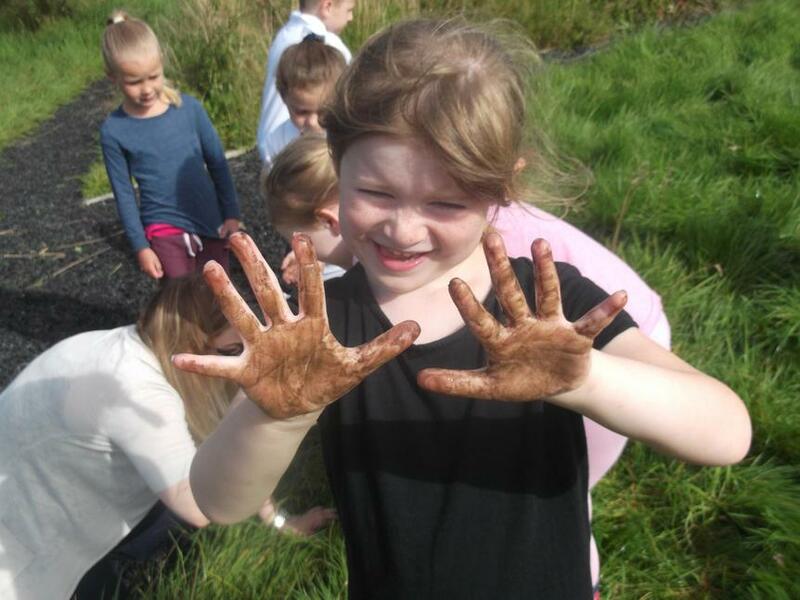 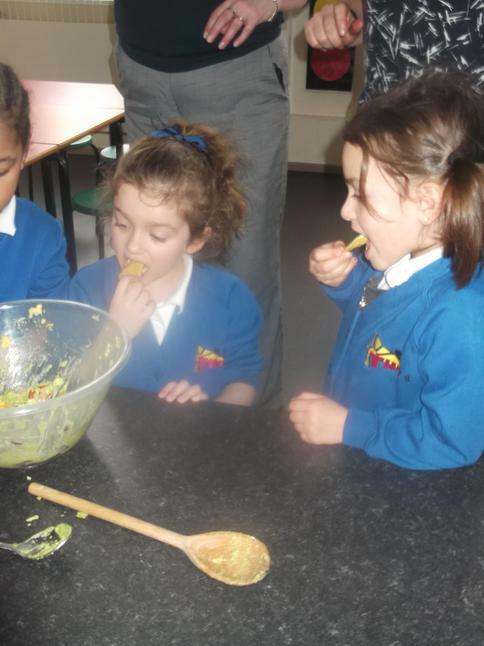 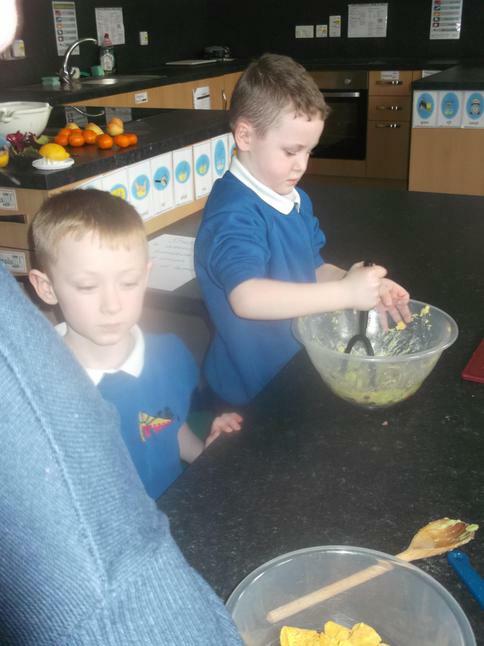 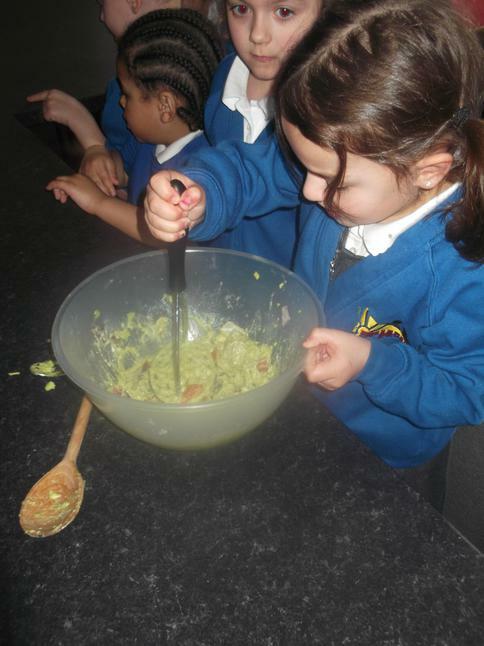 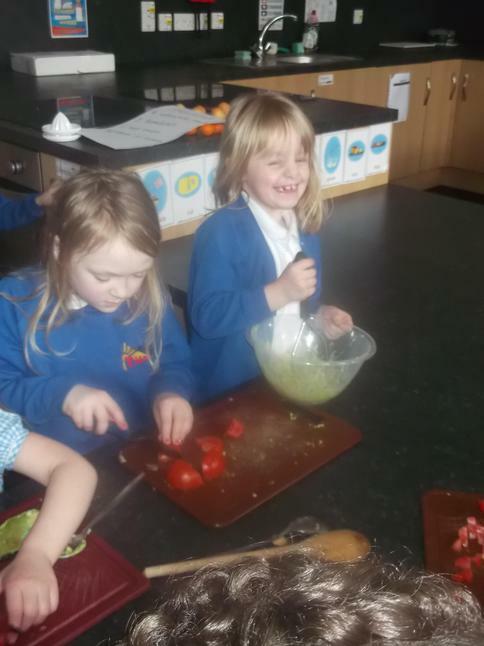 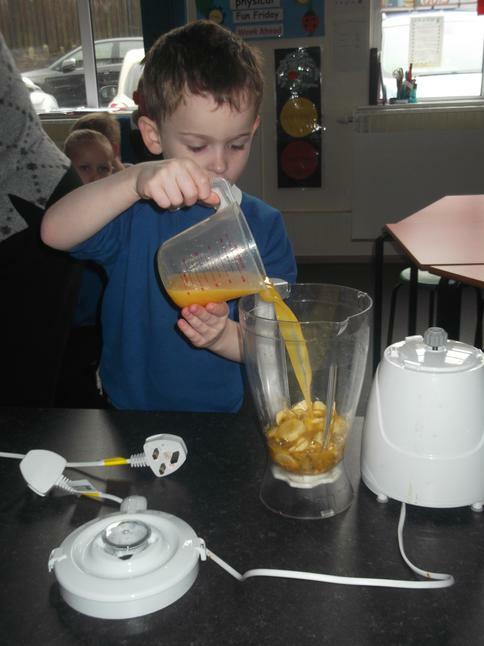 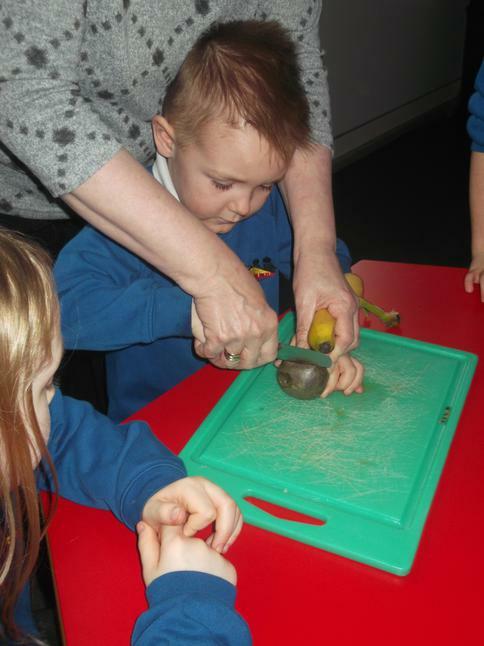 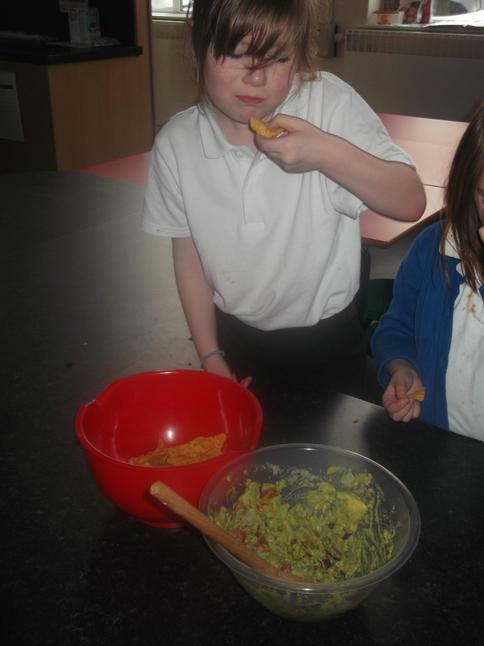 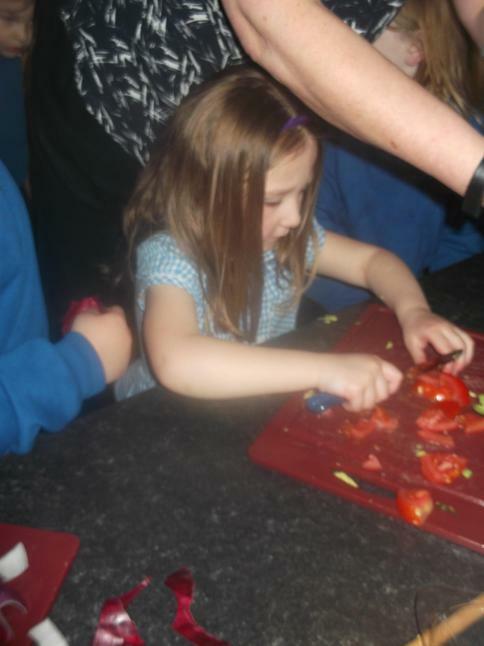 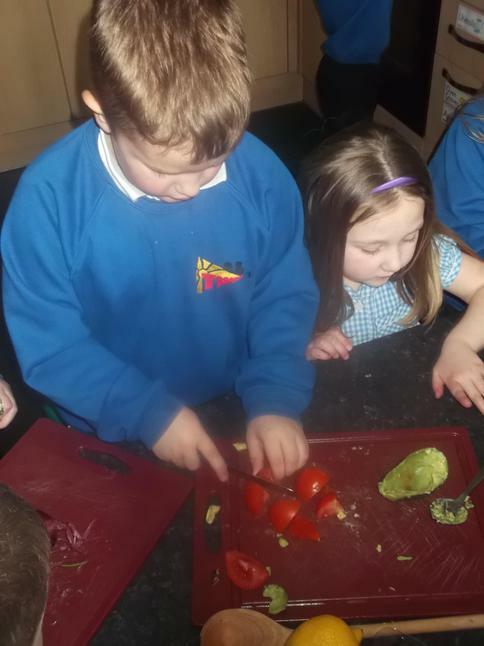 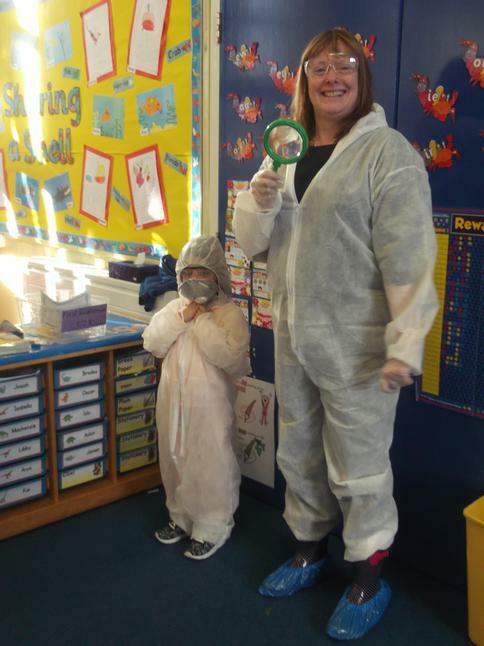 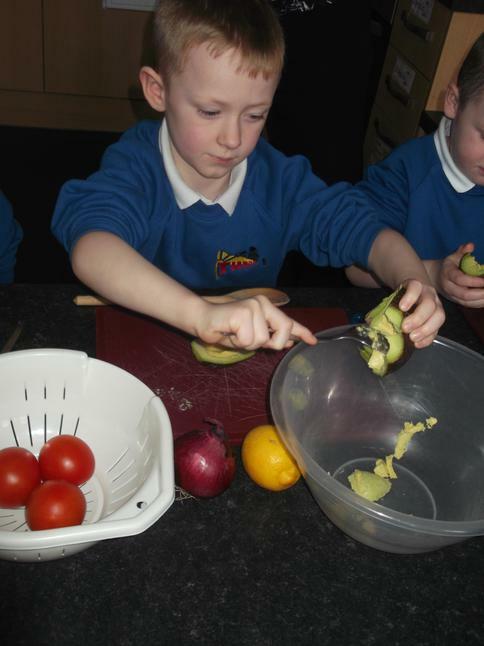 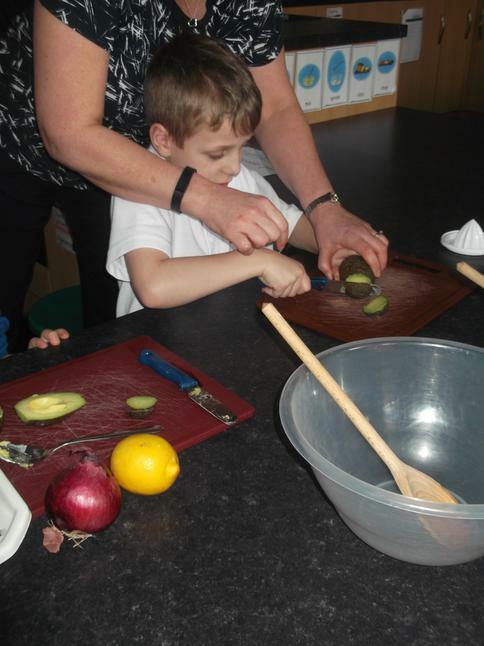 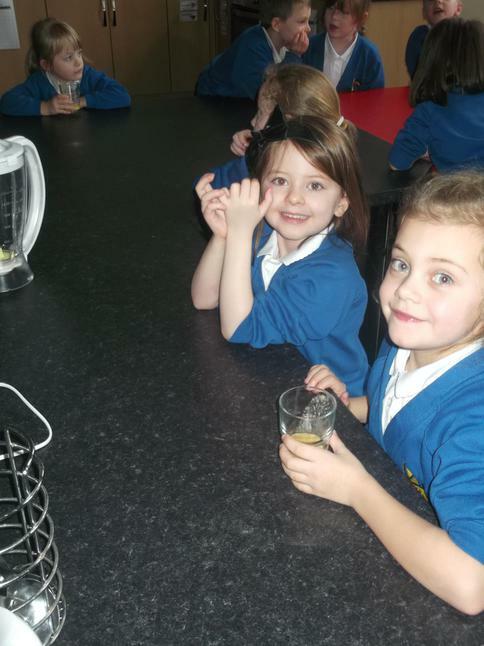 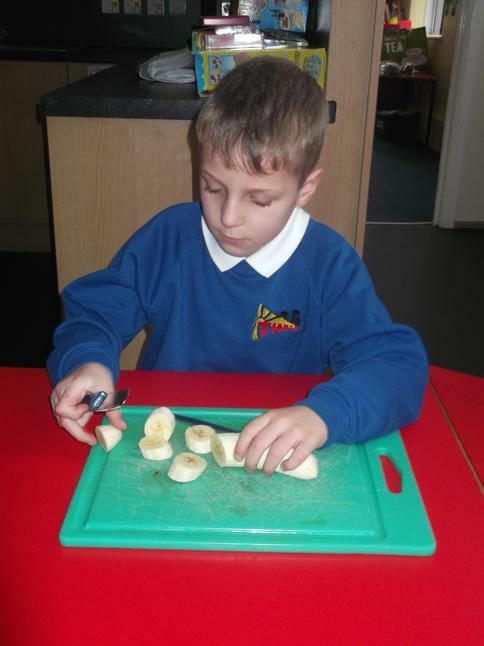 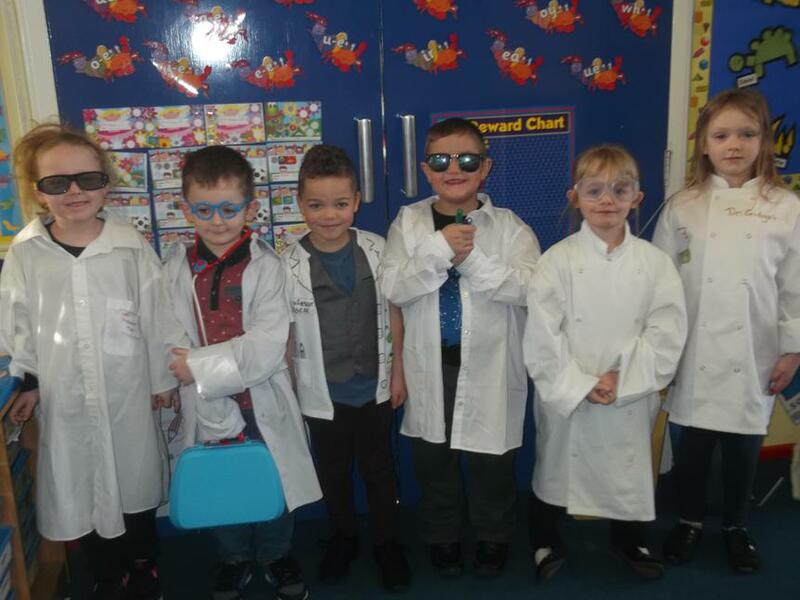 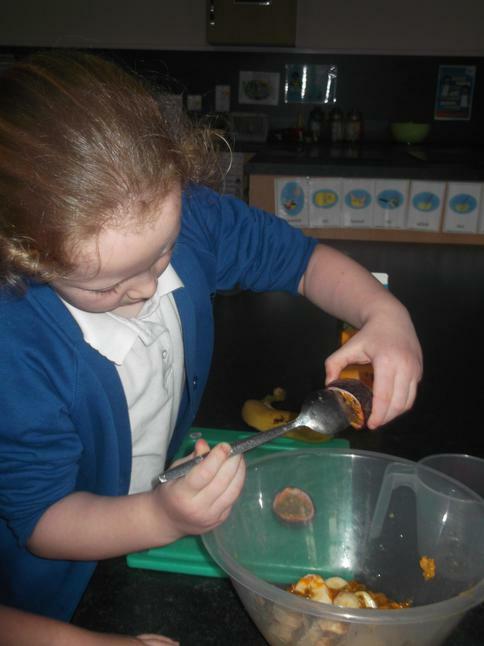 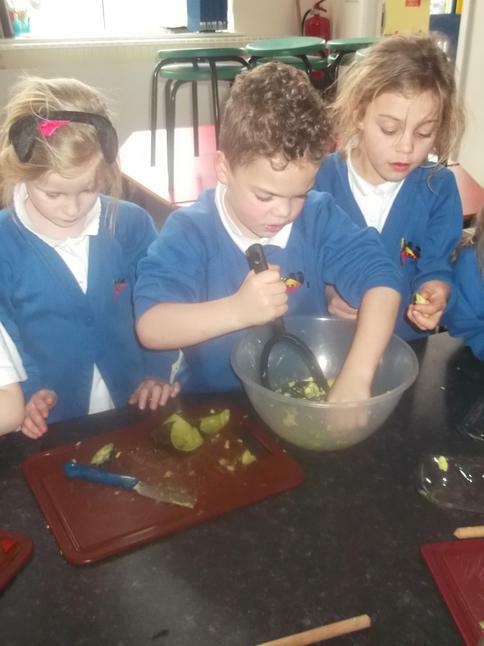 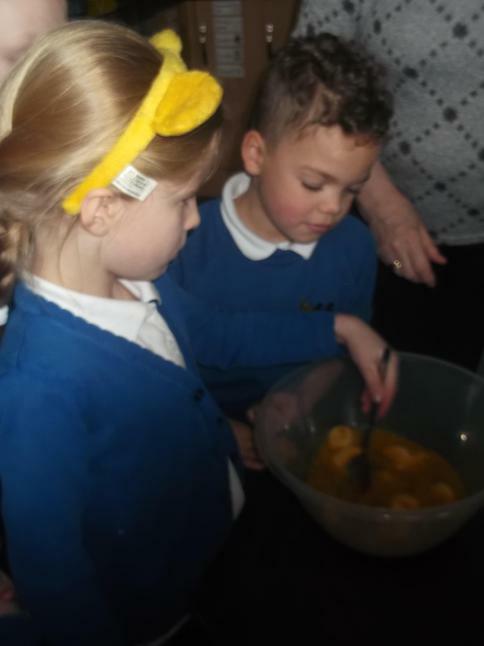 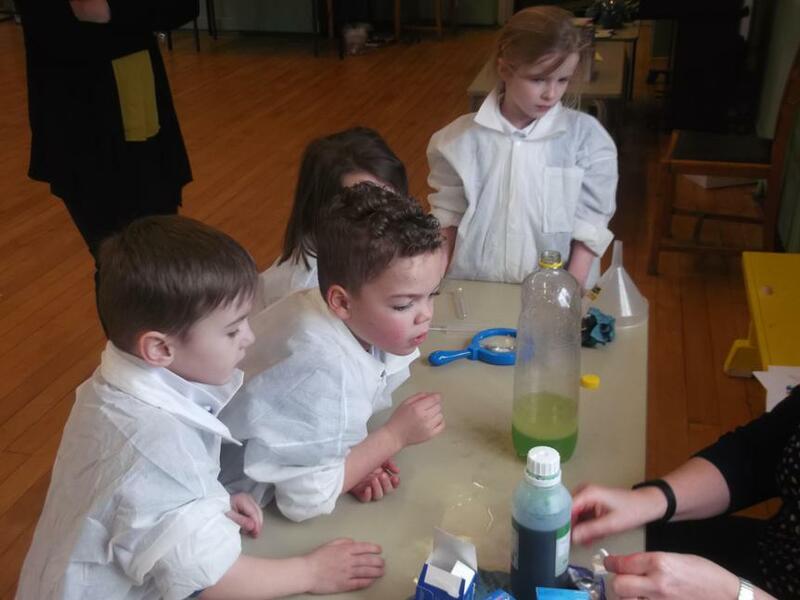 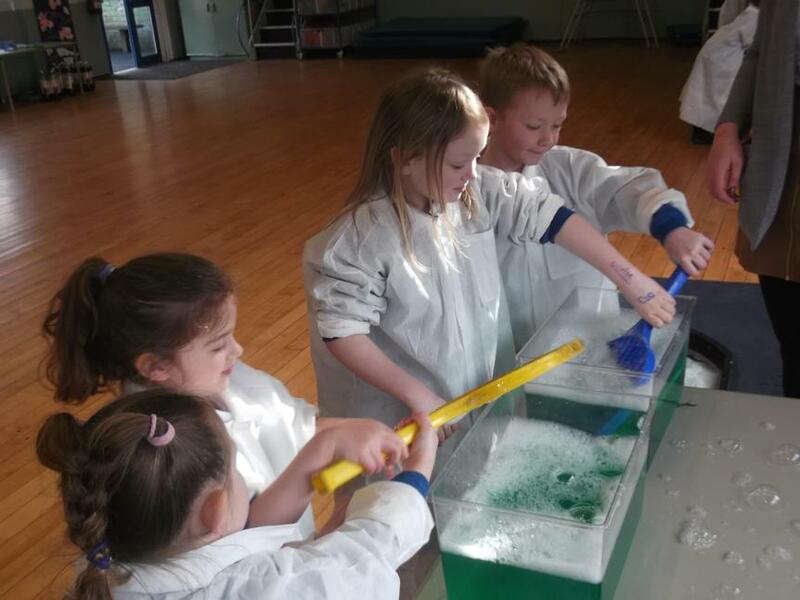 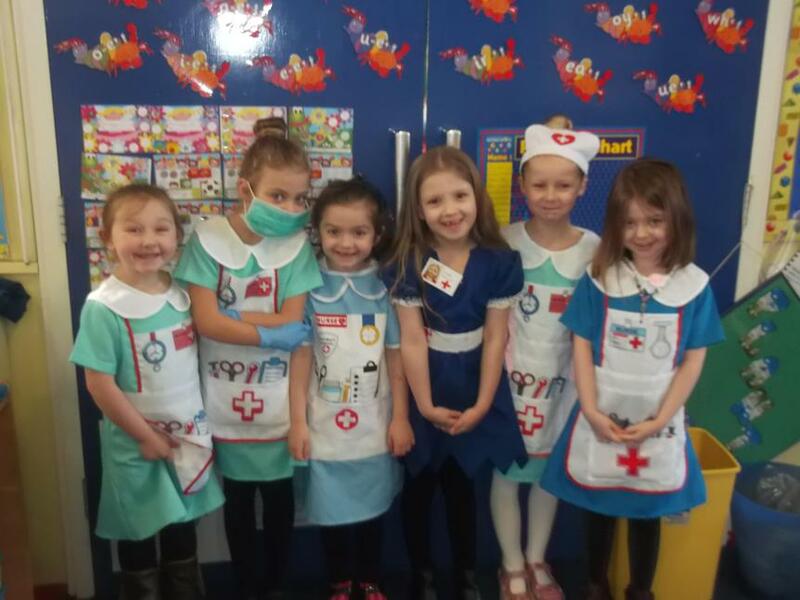 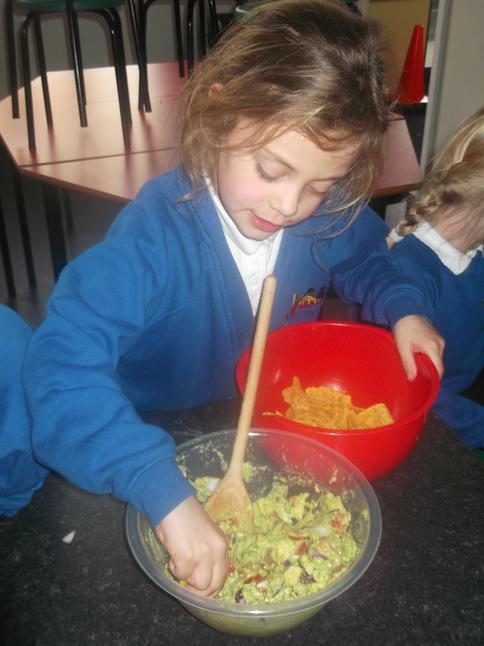 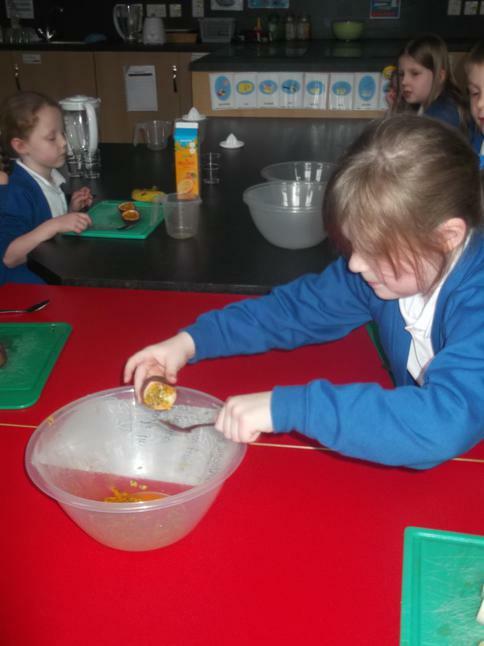 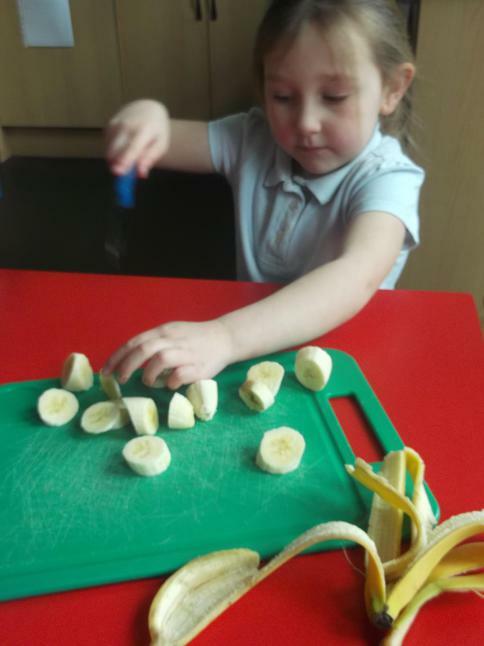 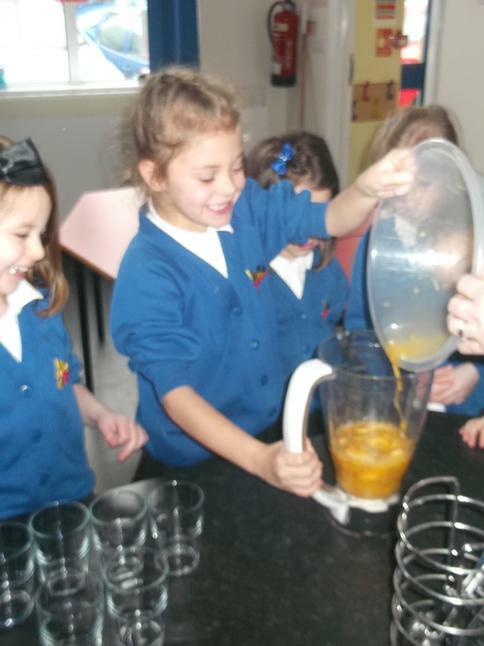 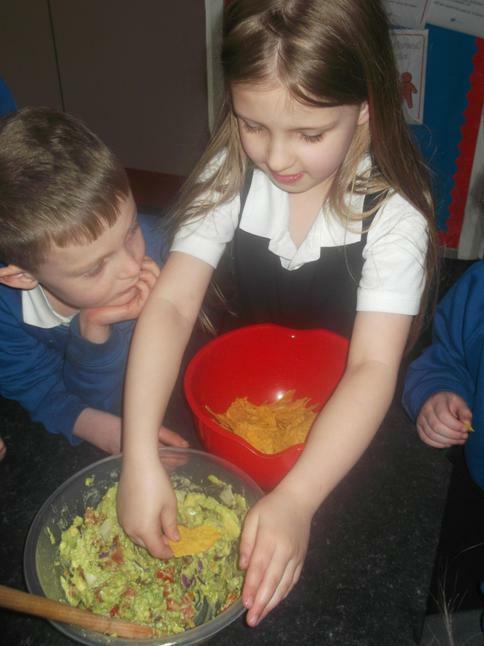 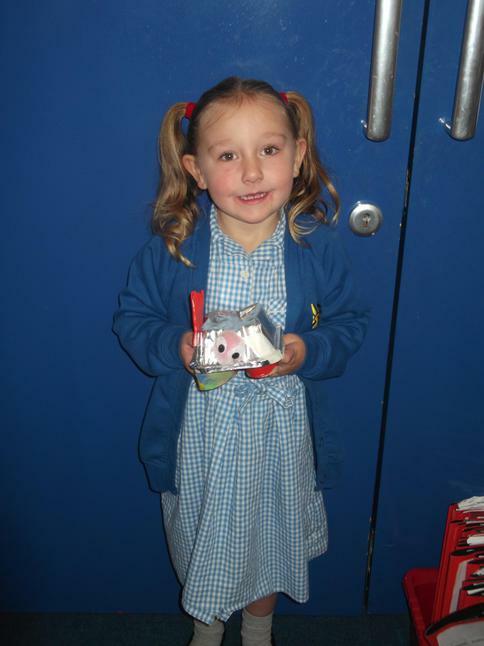 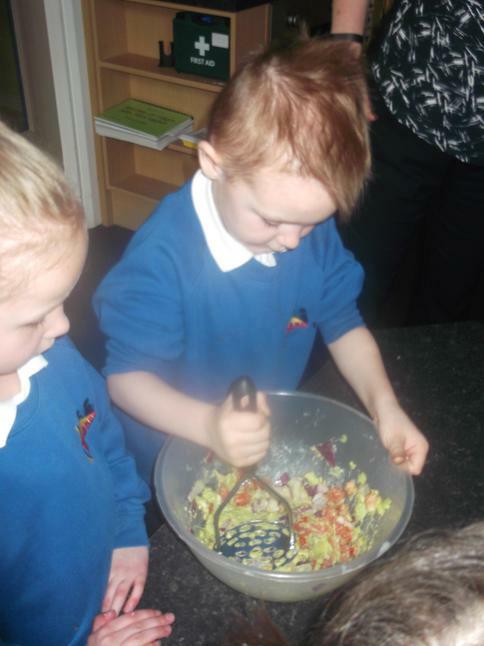 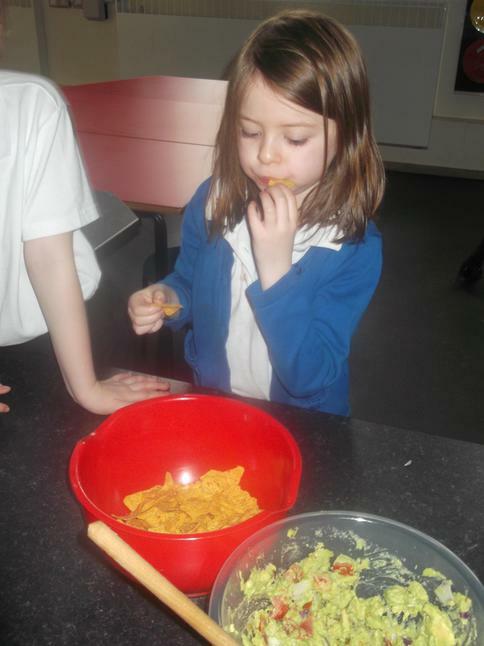 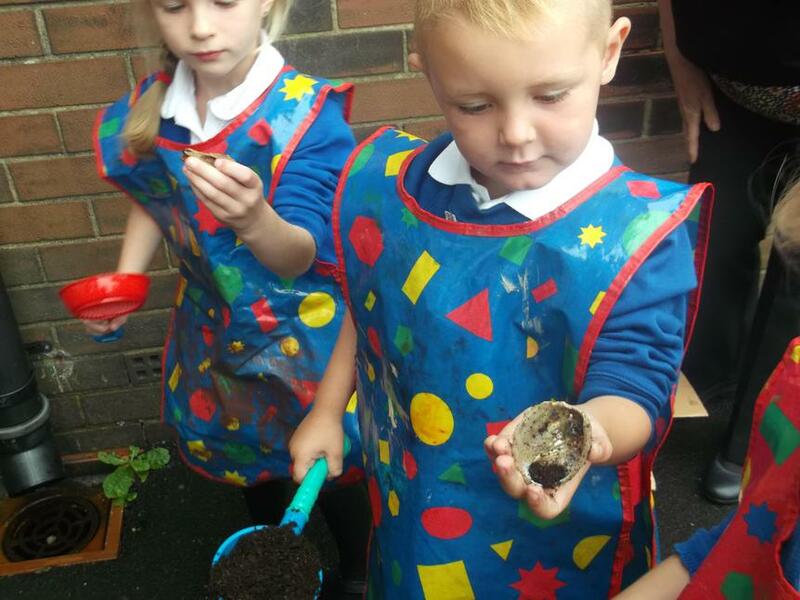 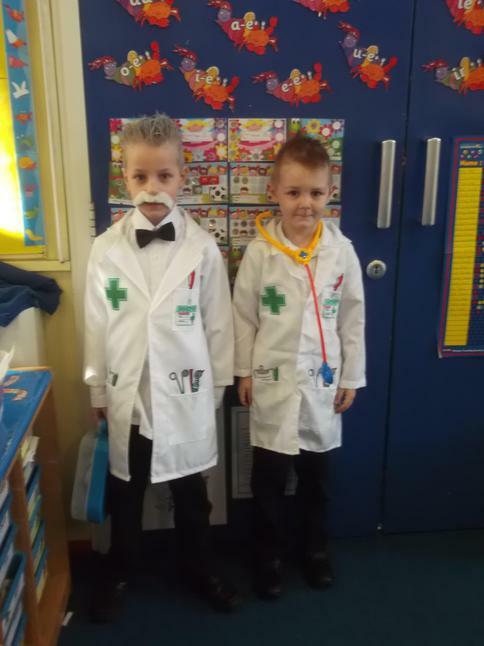 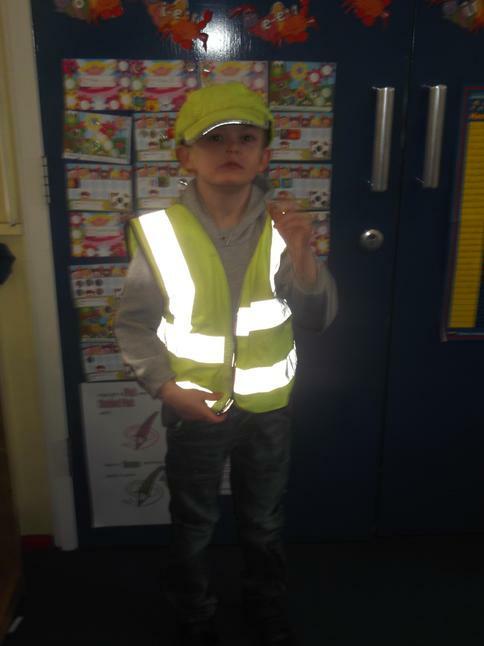 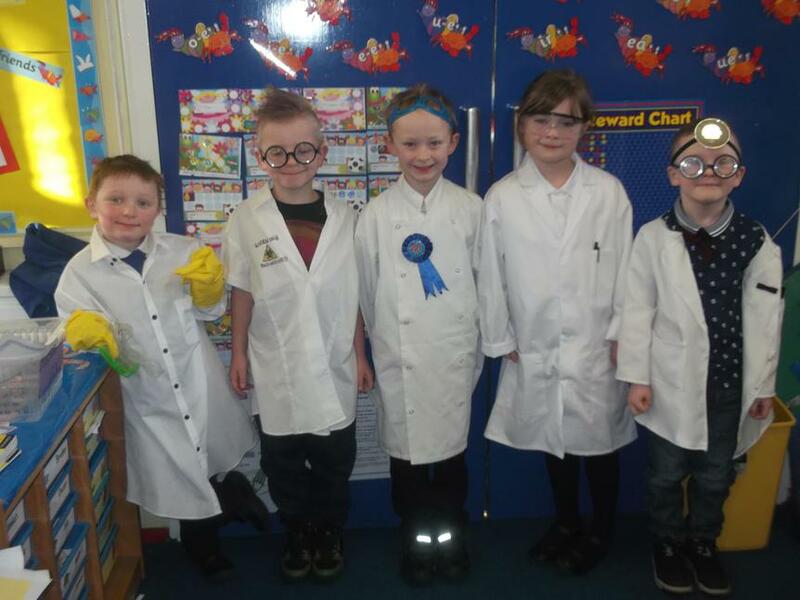 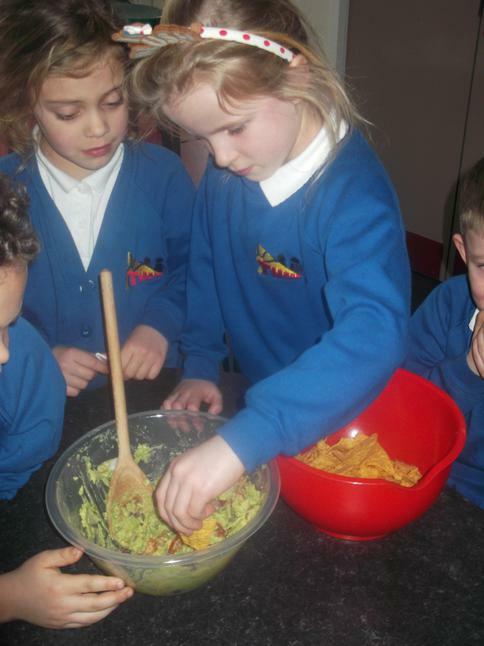 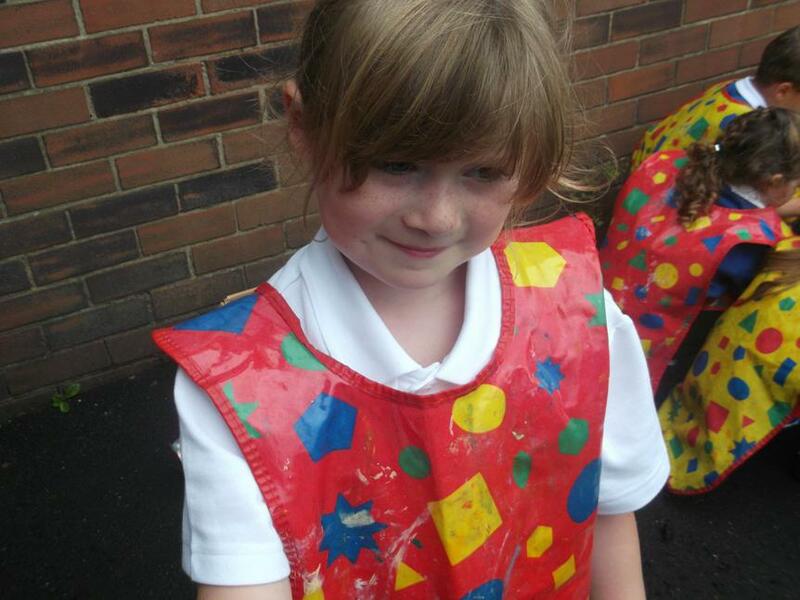 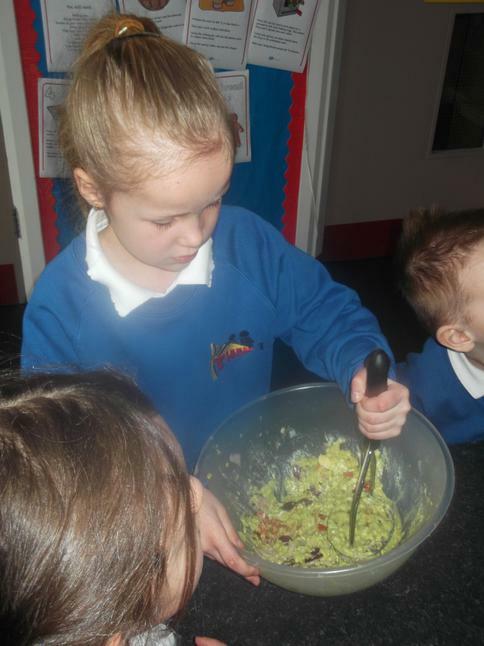 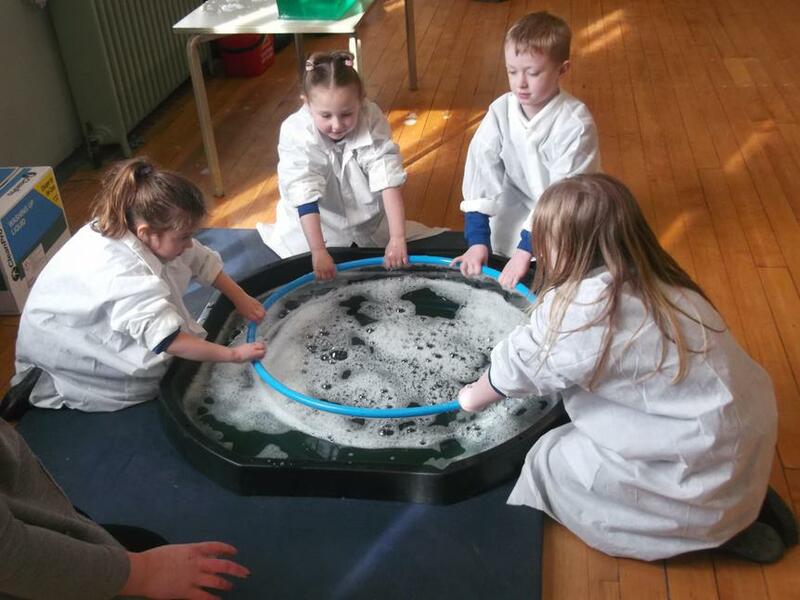 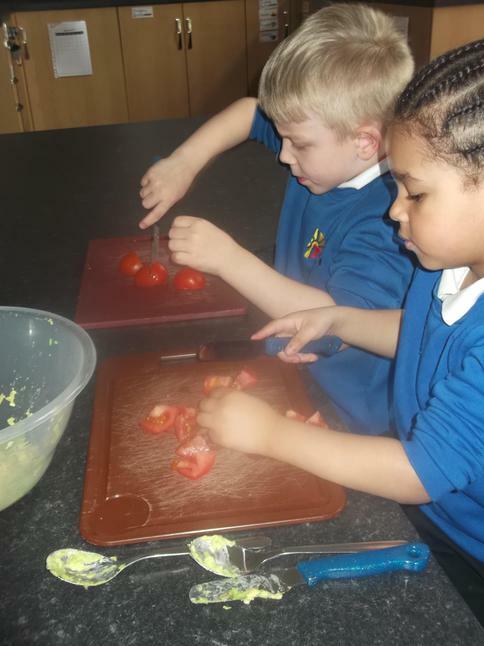 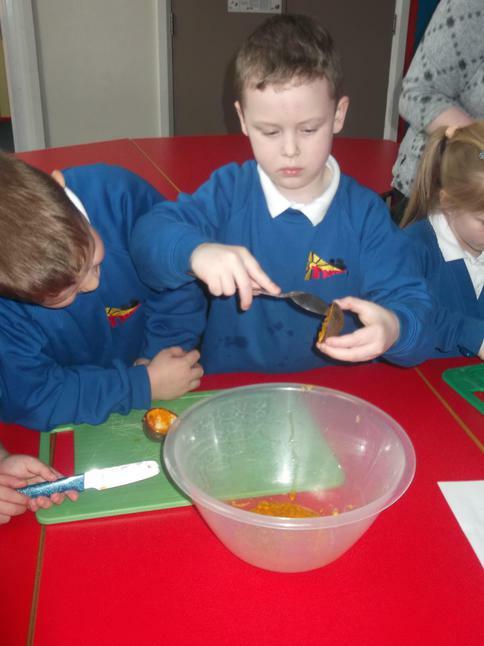 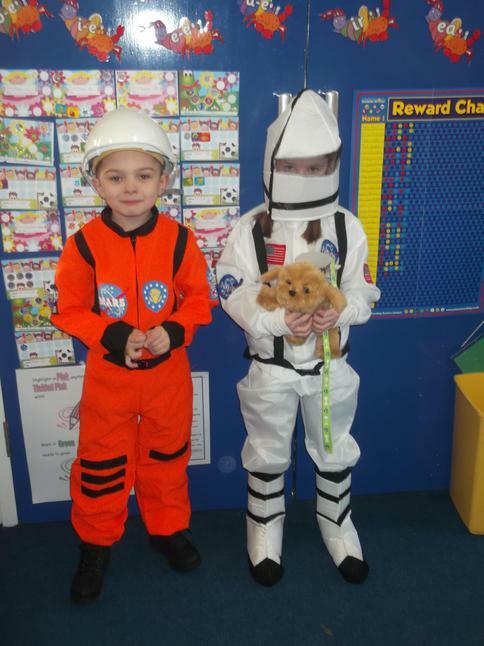 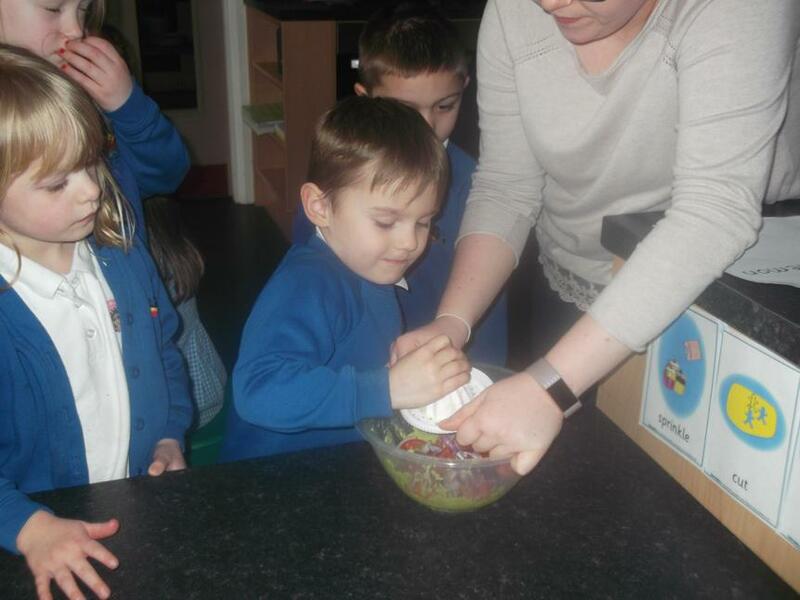 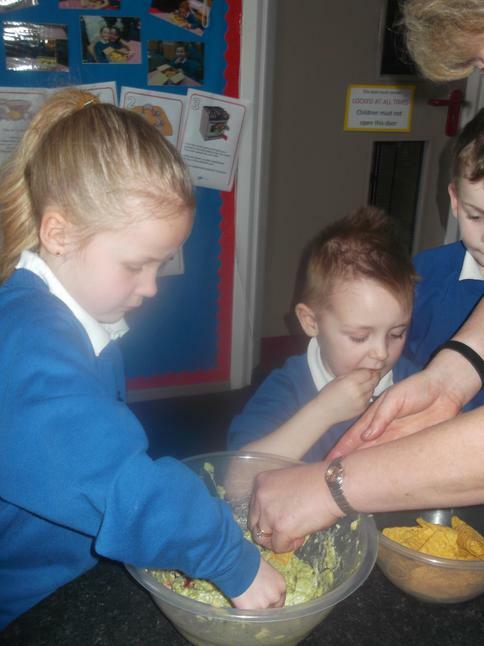 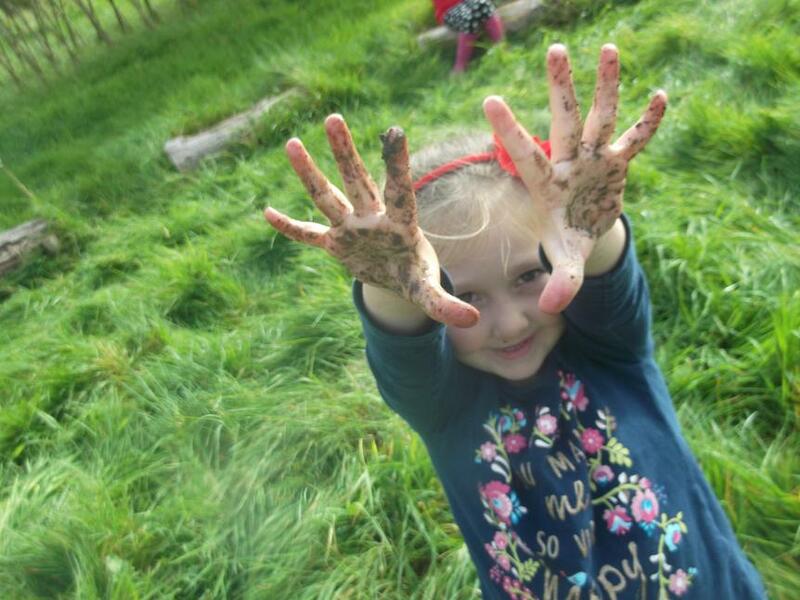 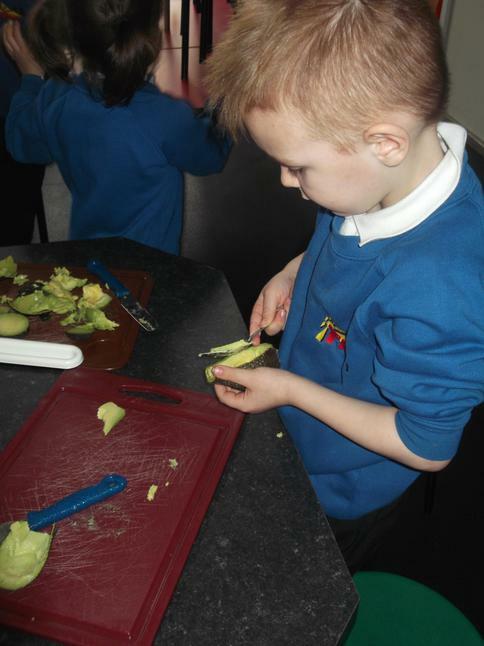 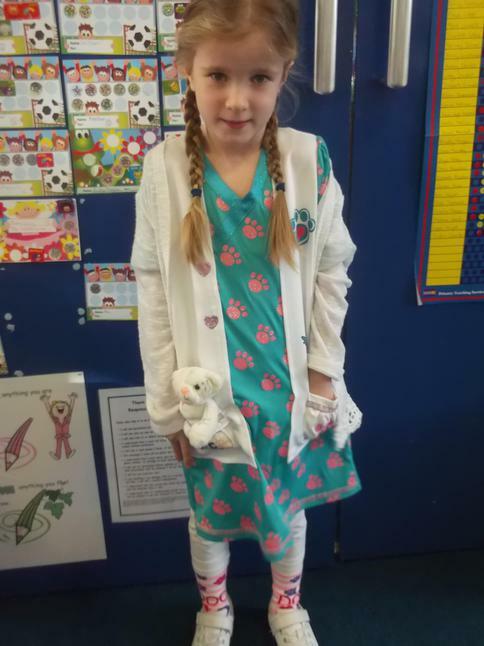 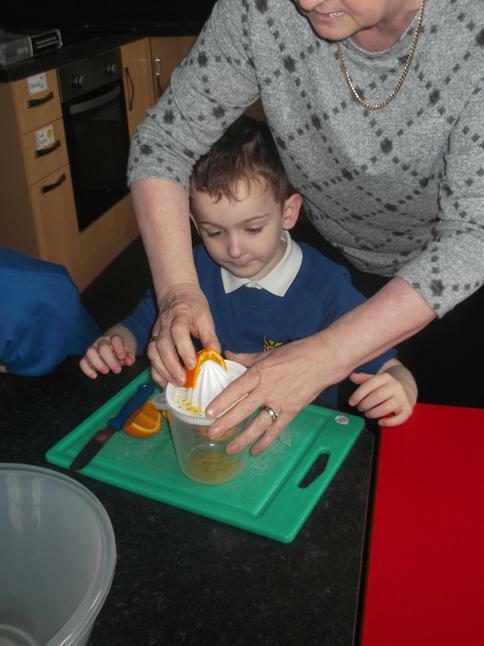 It has been a busy half term in Year1/2K. 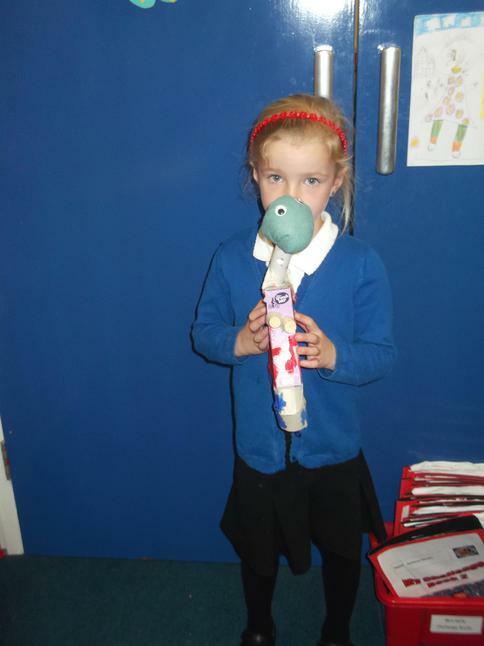 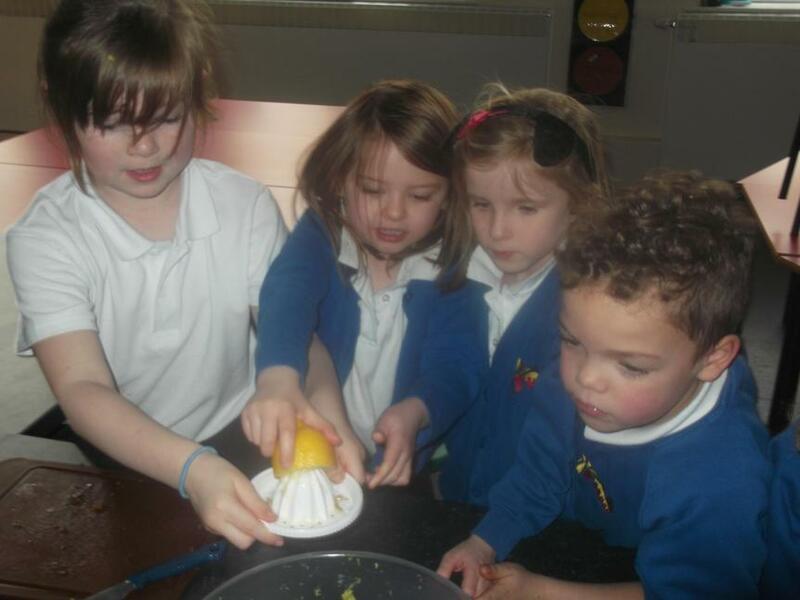 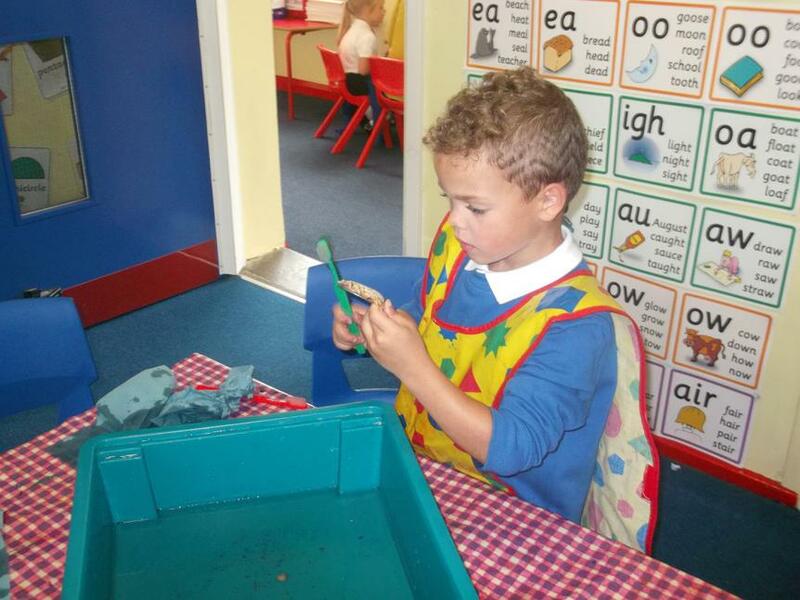 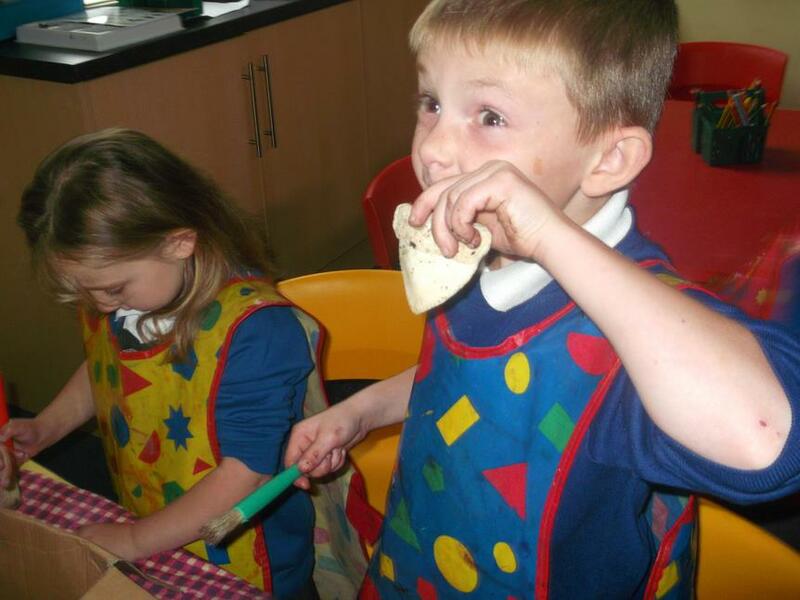 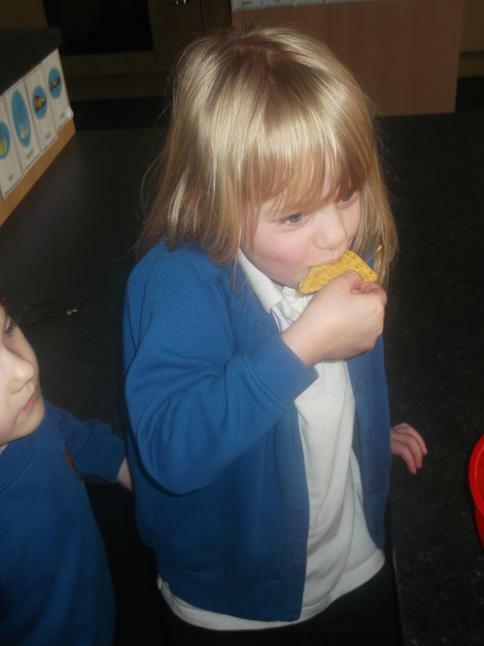 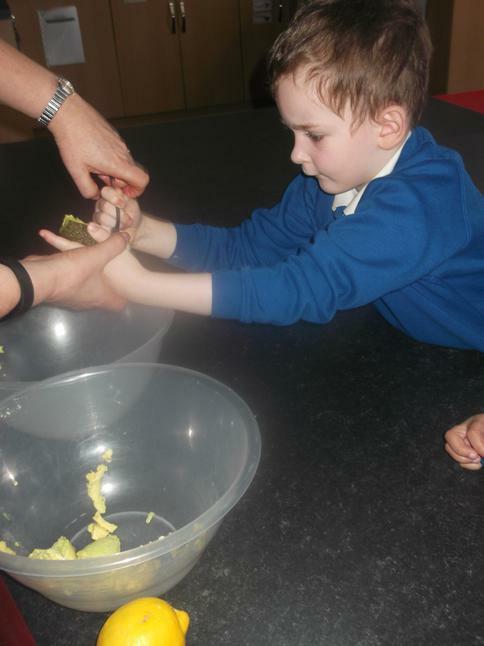 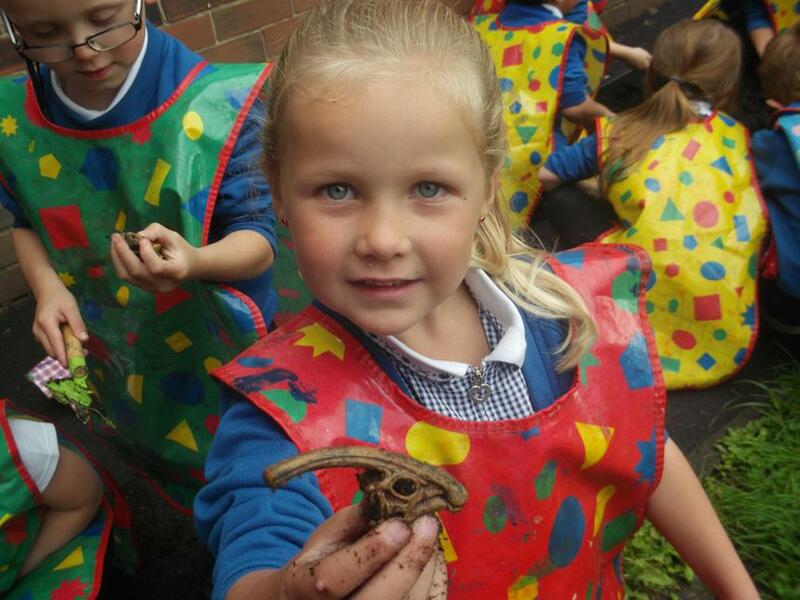 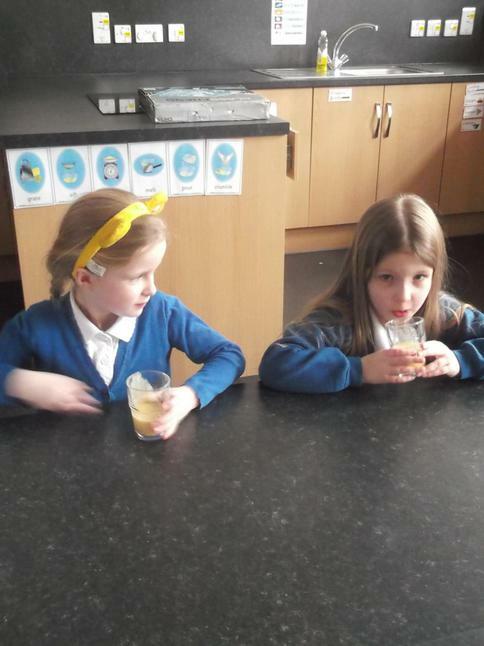 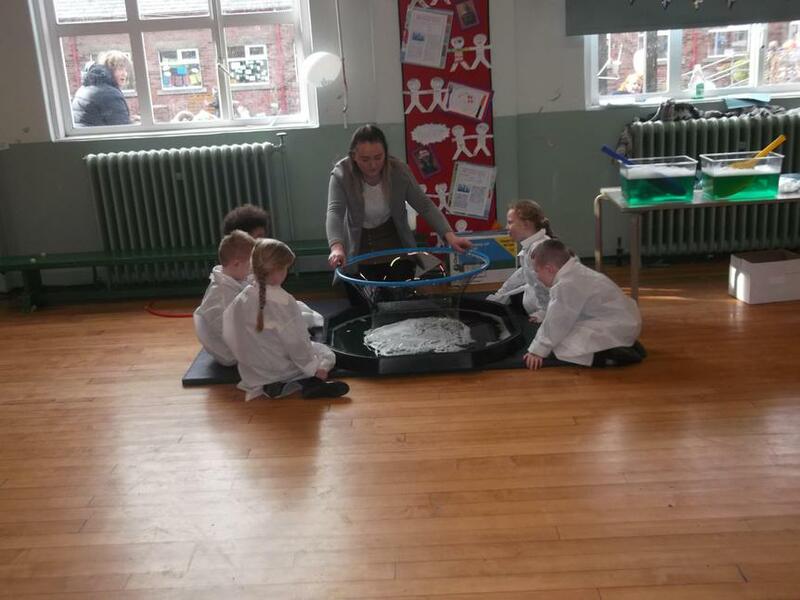 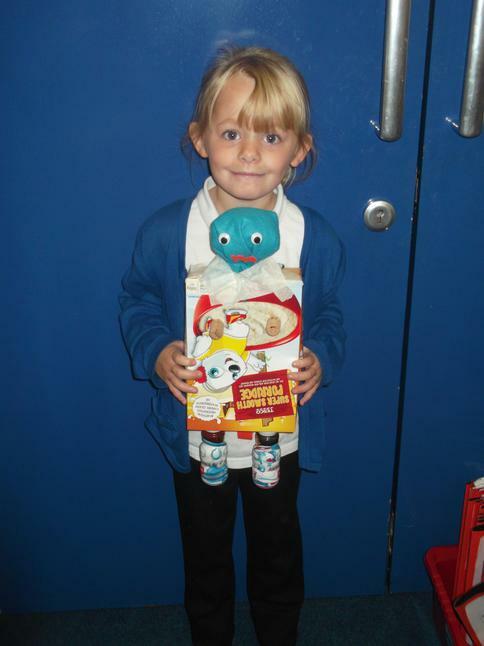 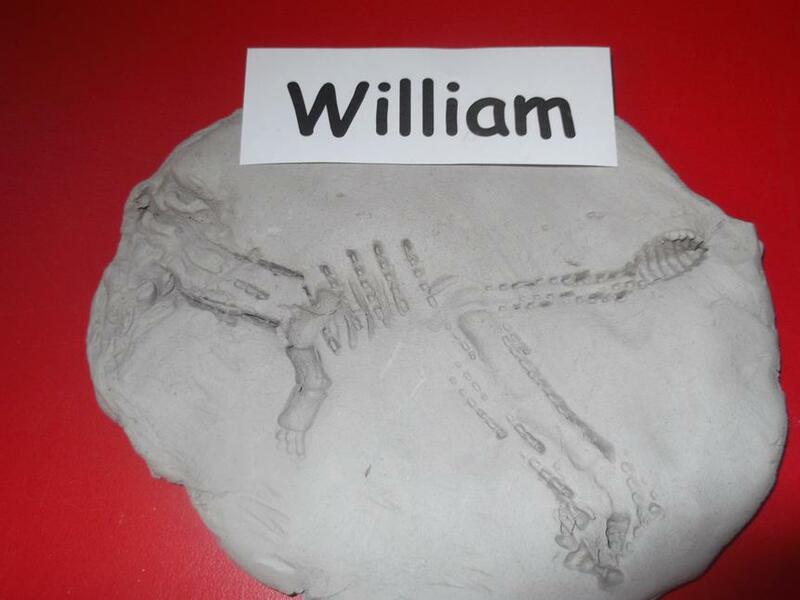 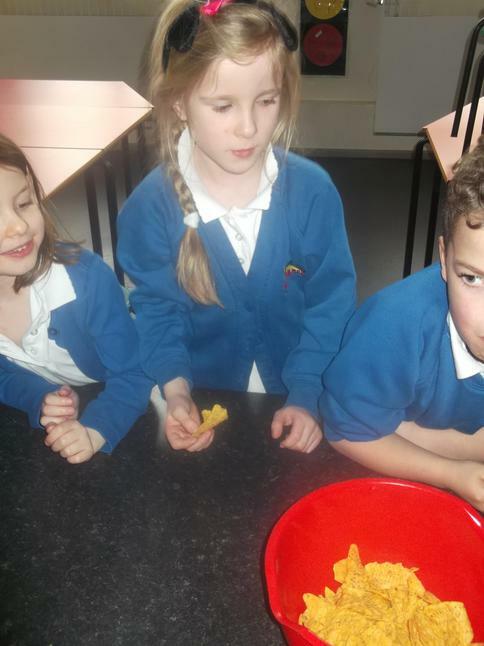 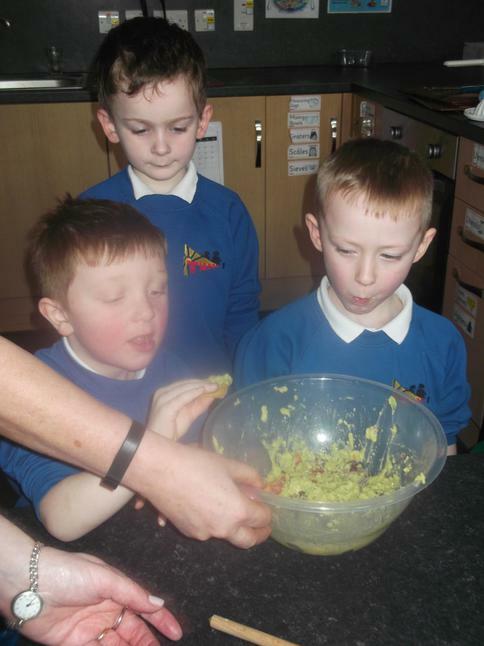 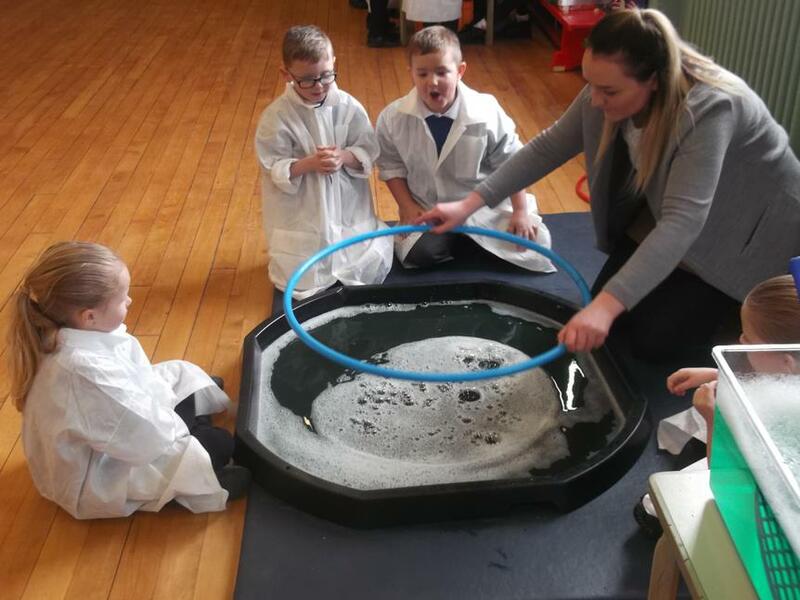 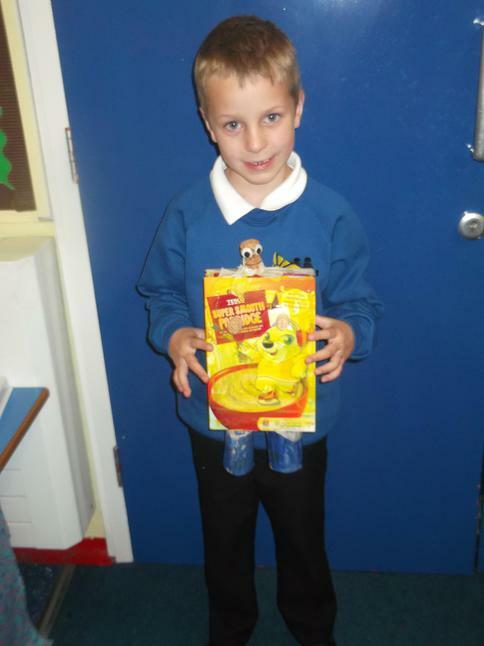 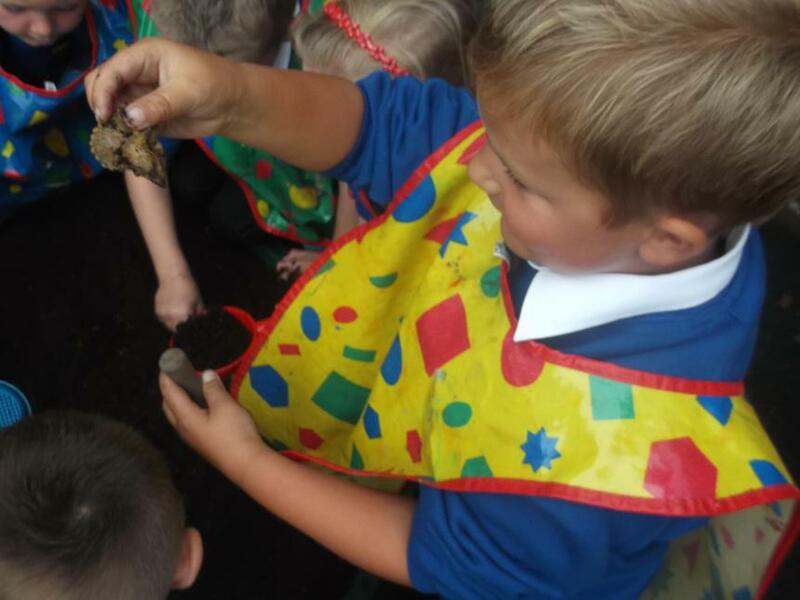 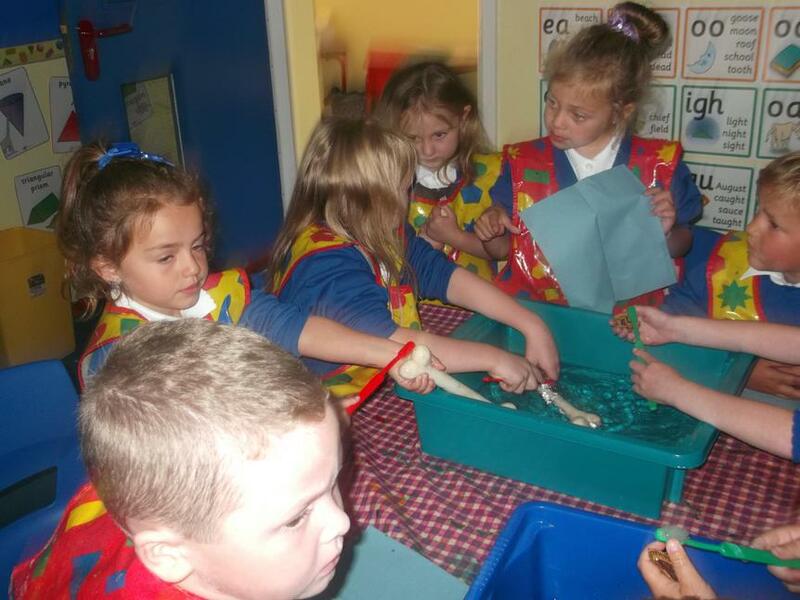 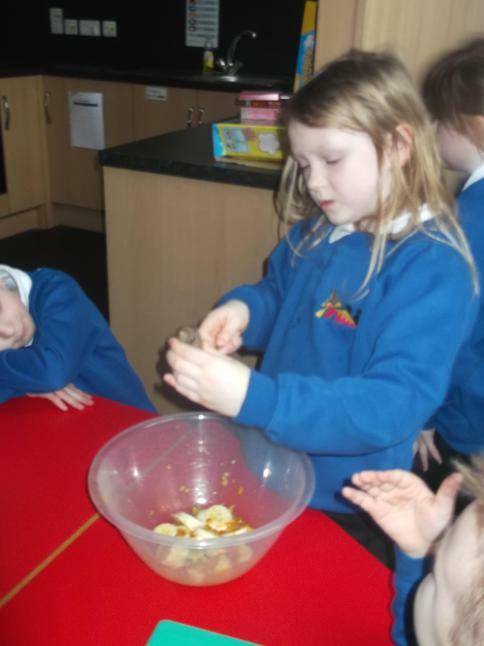 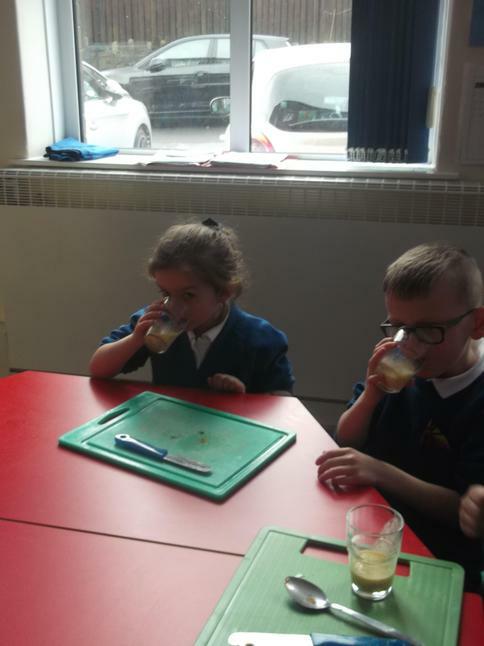 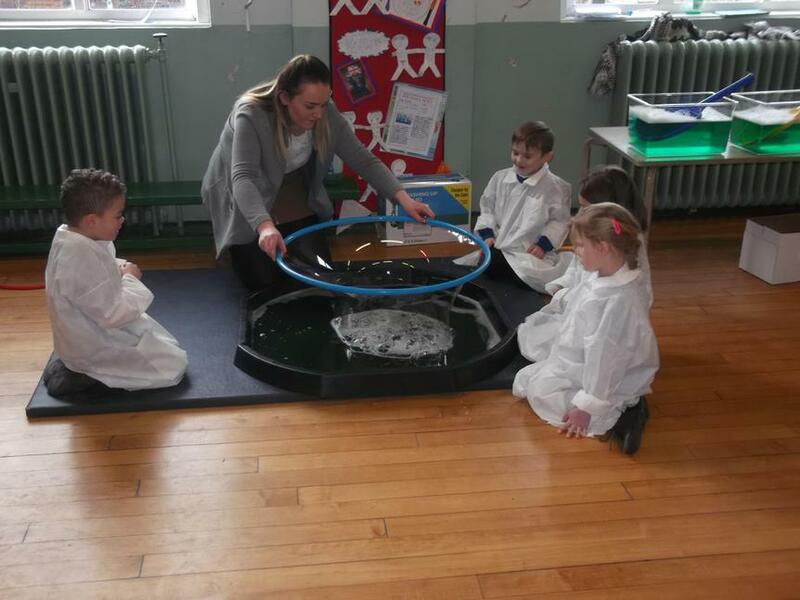 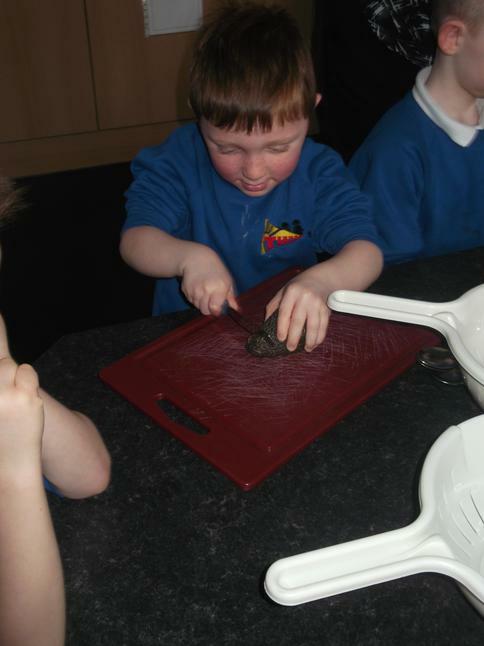 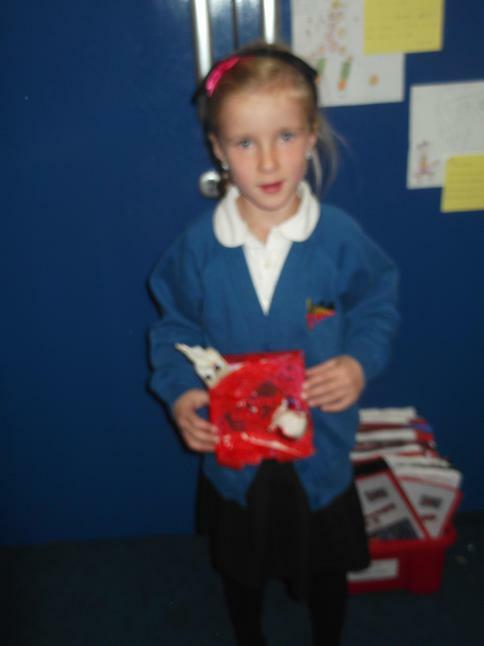 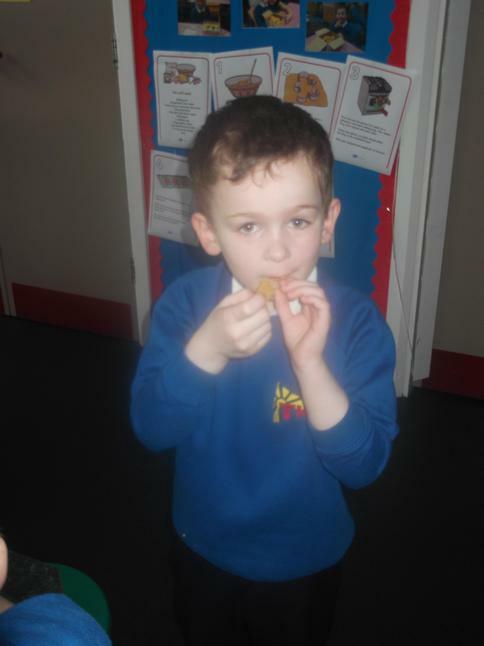 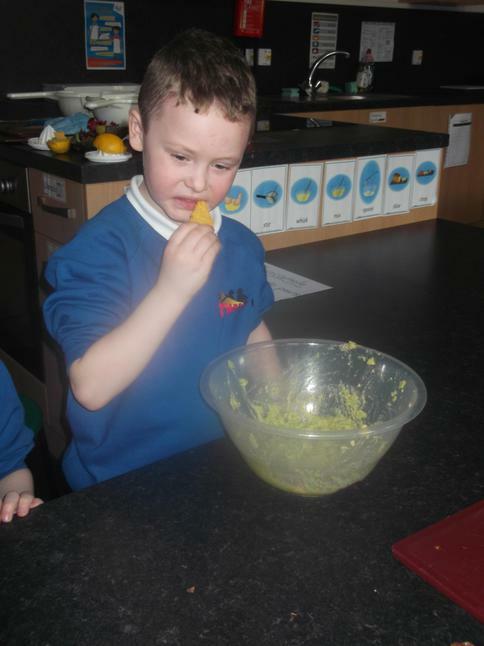 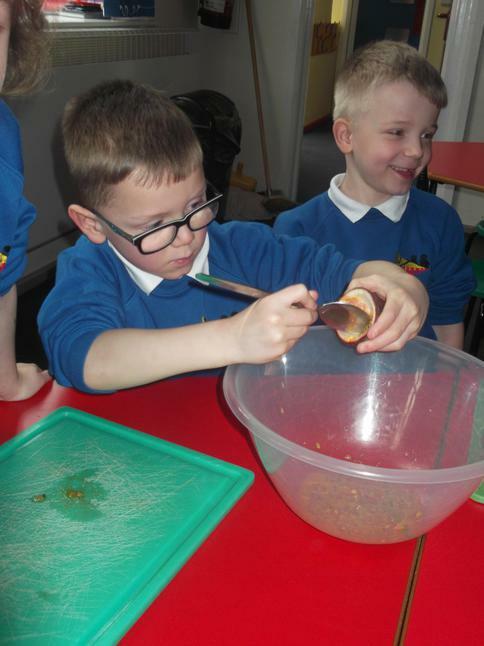 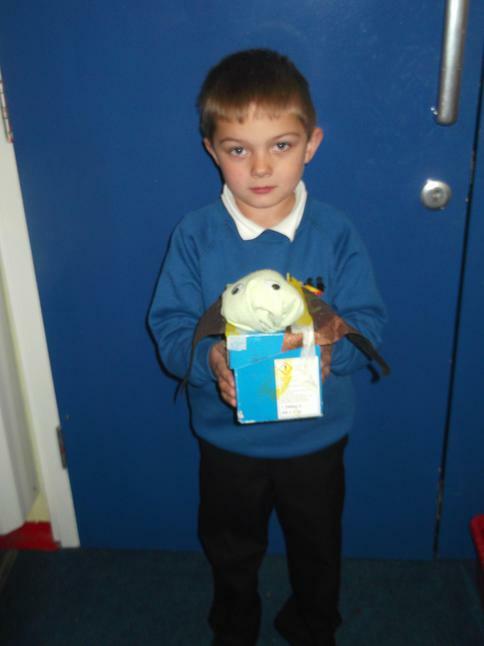 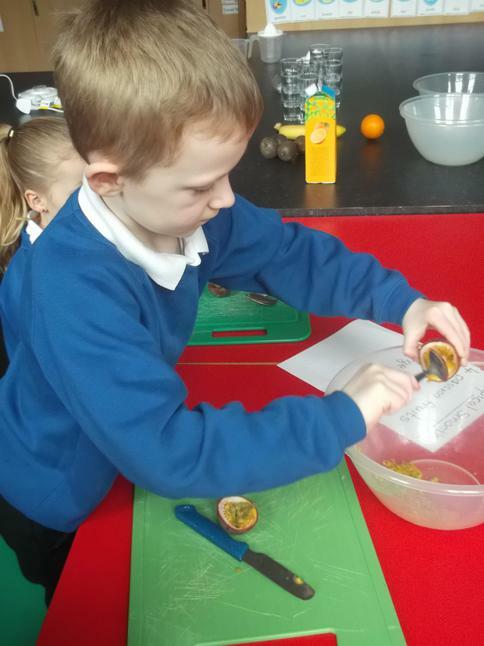 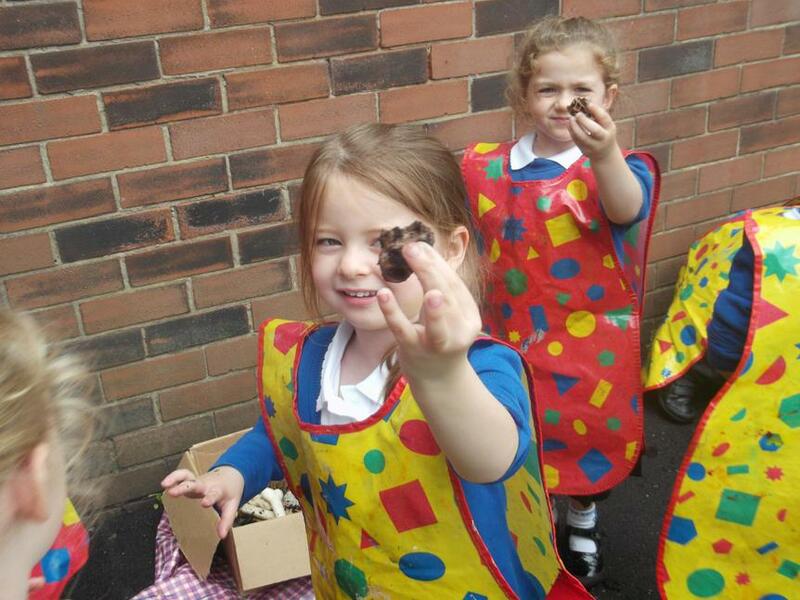 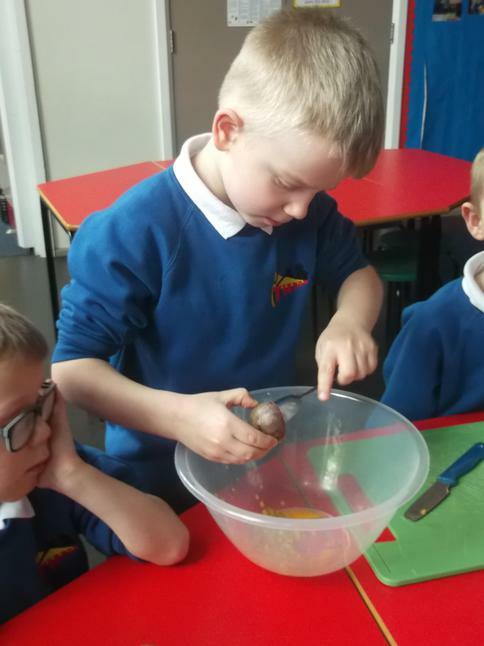 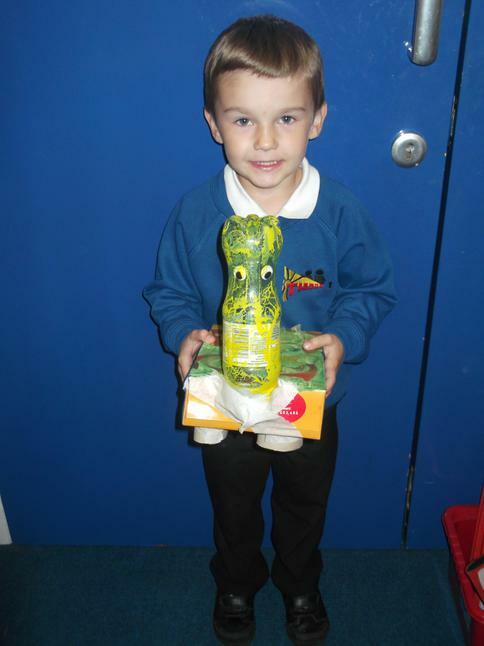 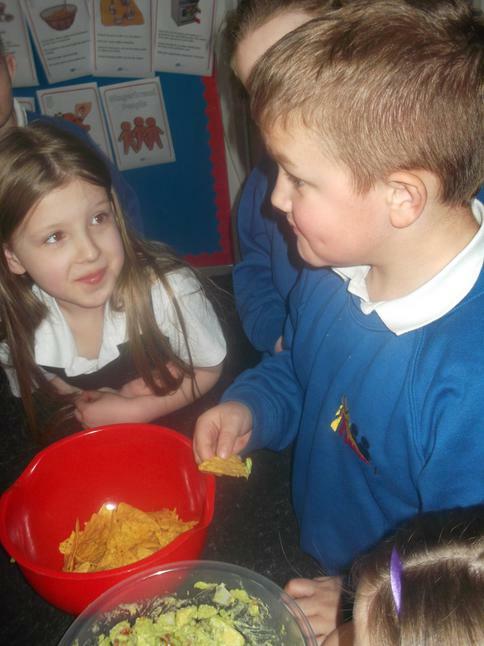 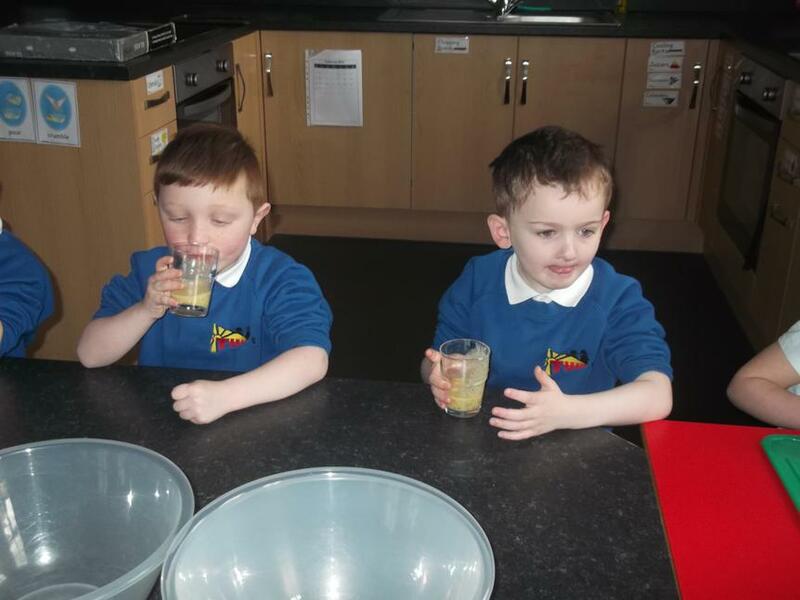 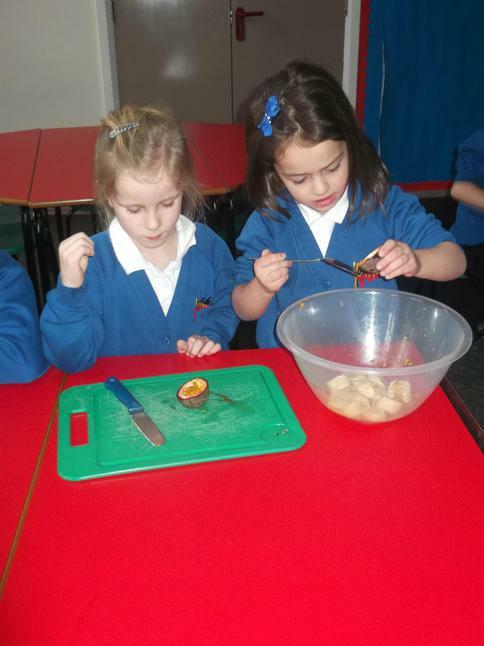 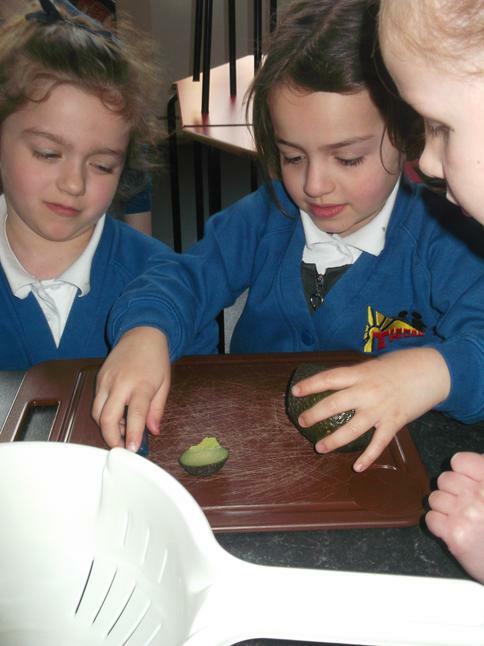 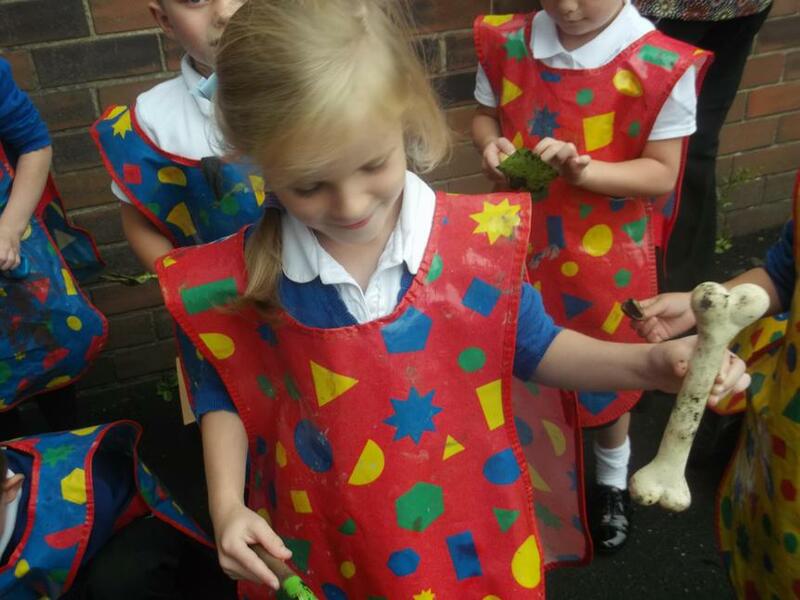 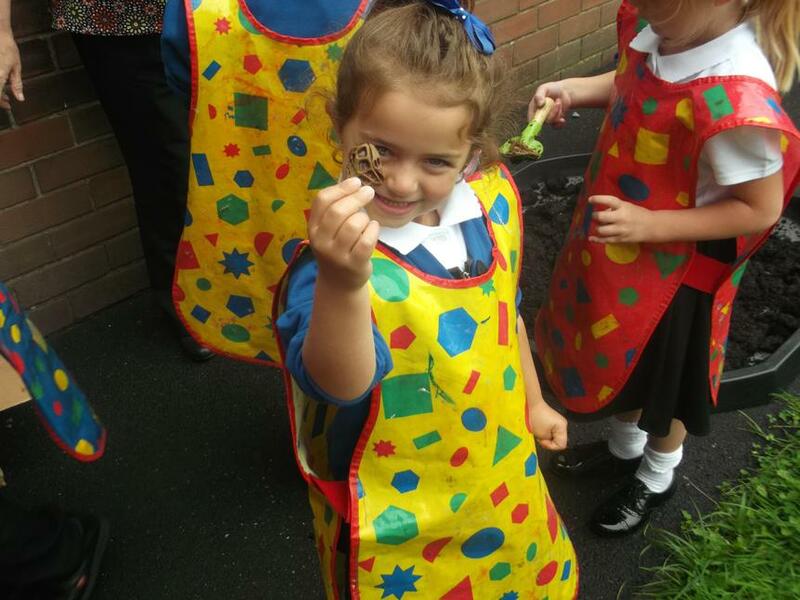 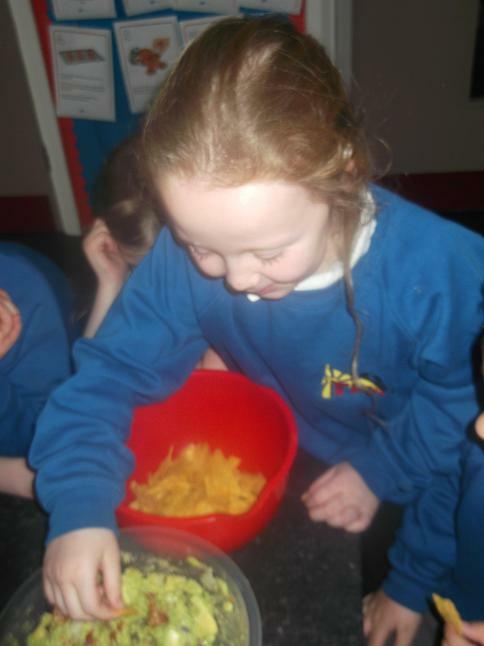 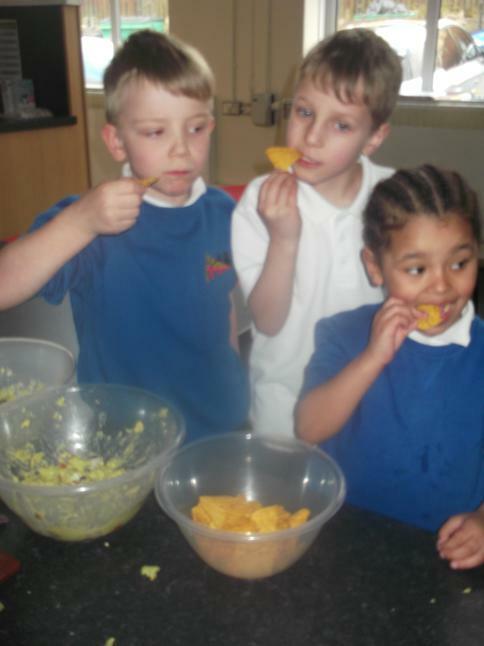 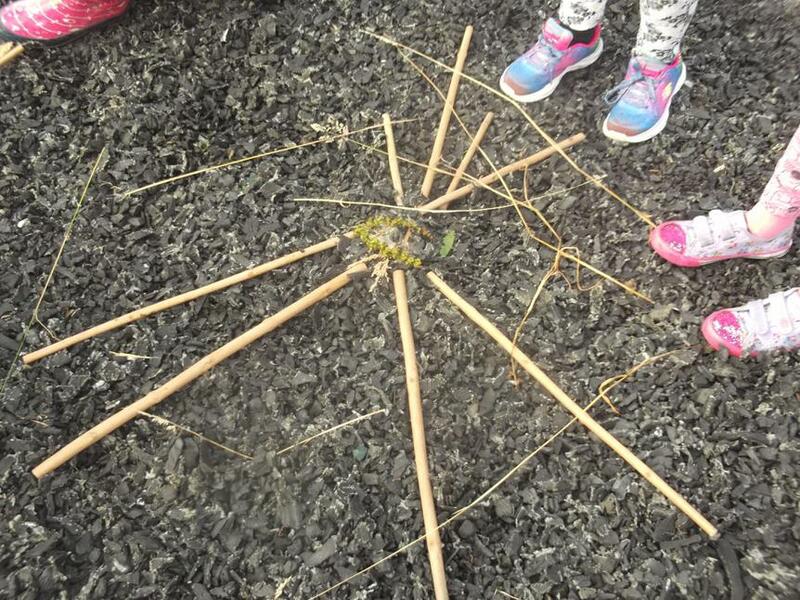 We have been learning all about dinosaurs. 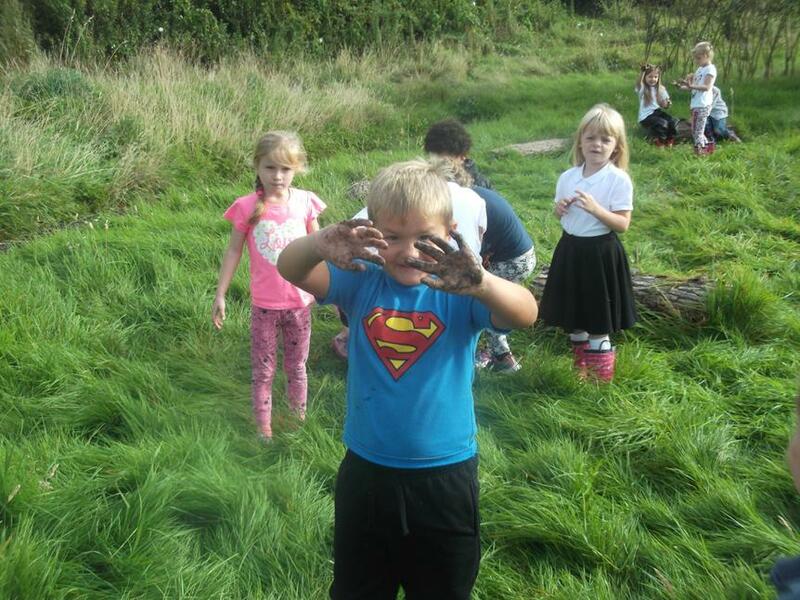 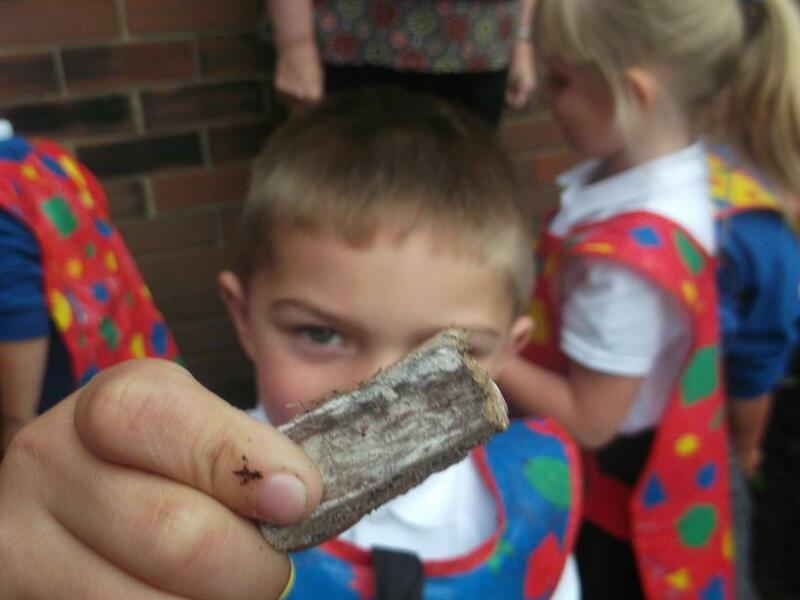 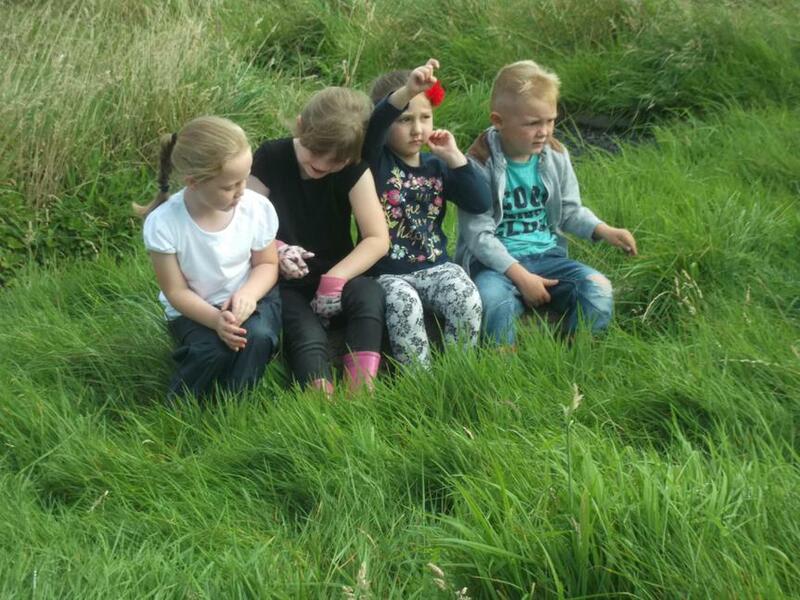 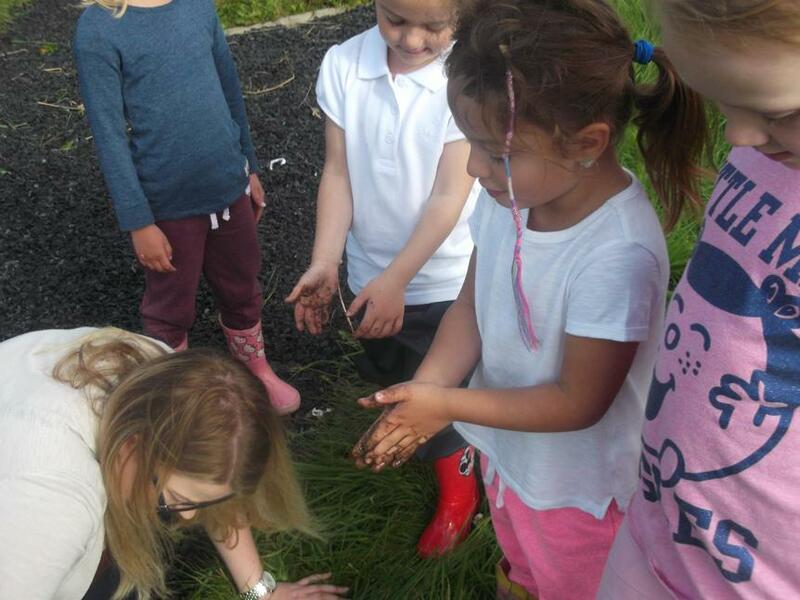 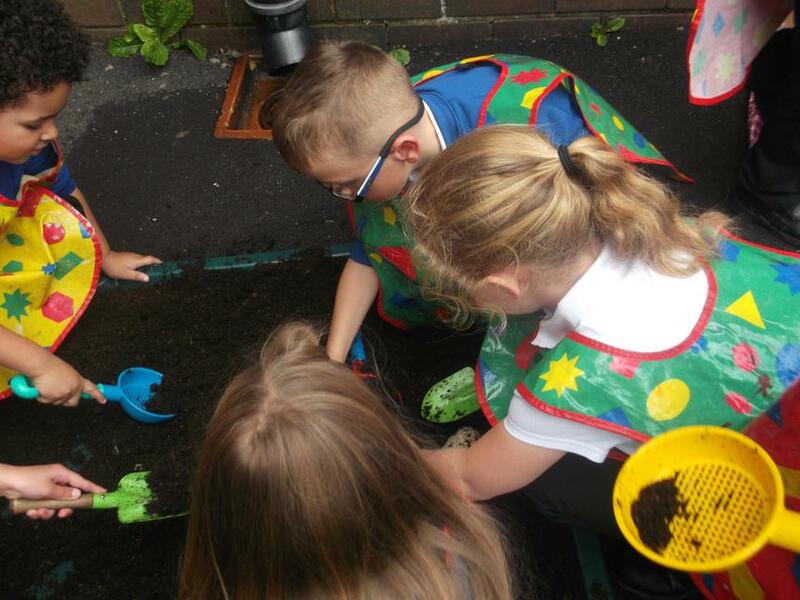 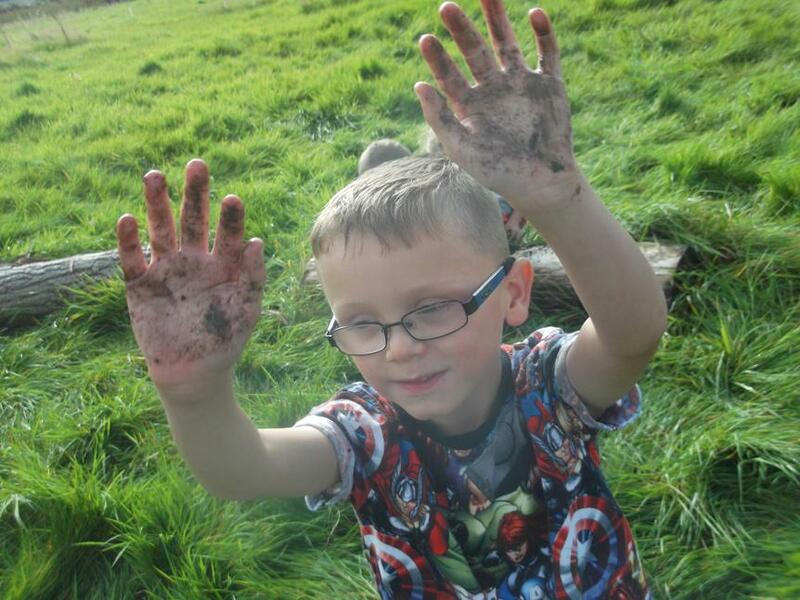 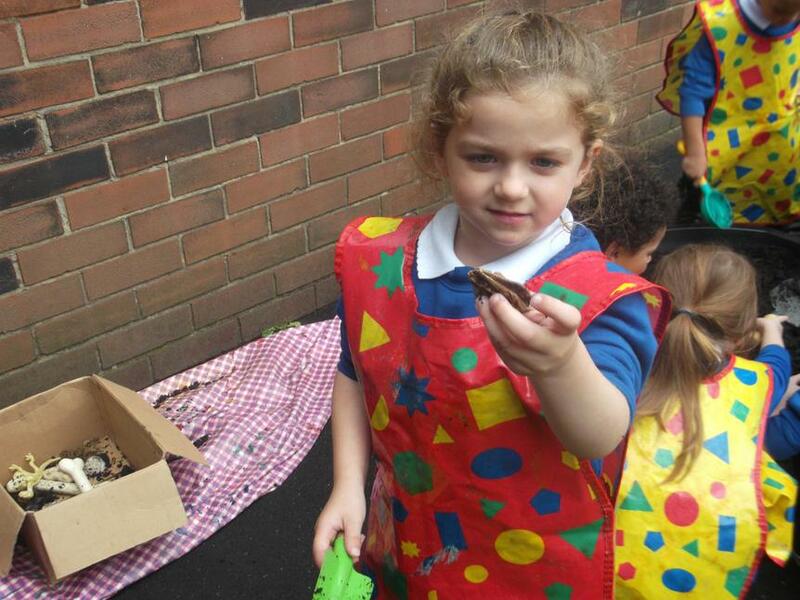 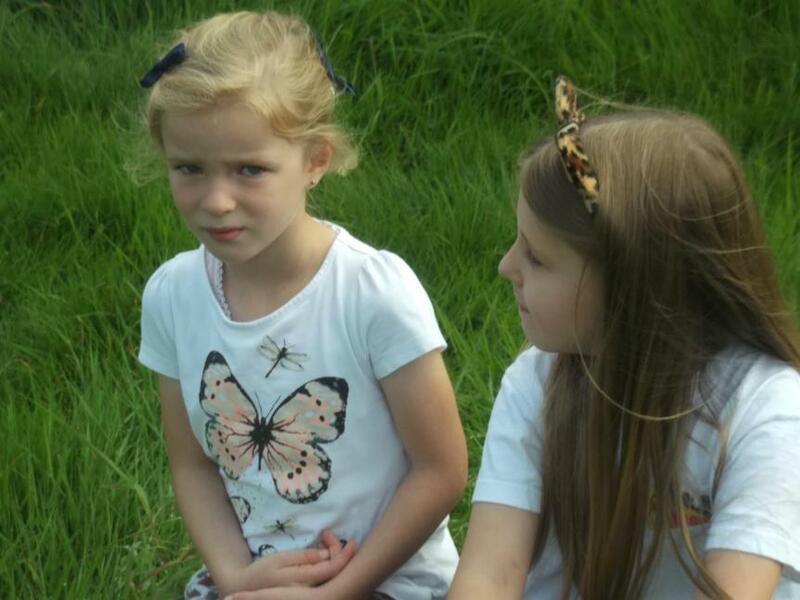 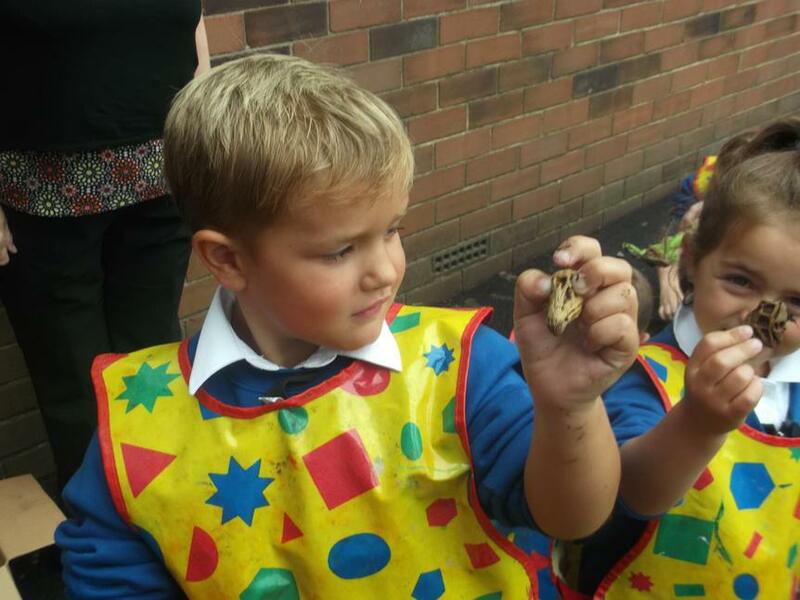 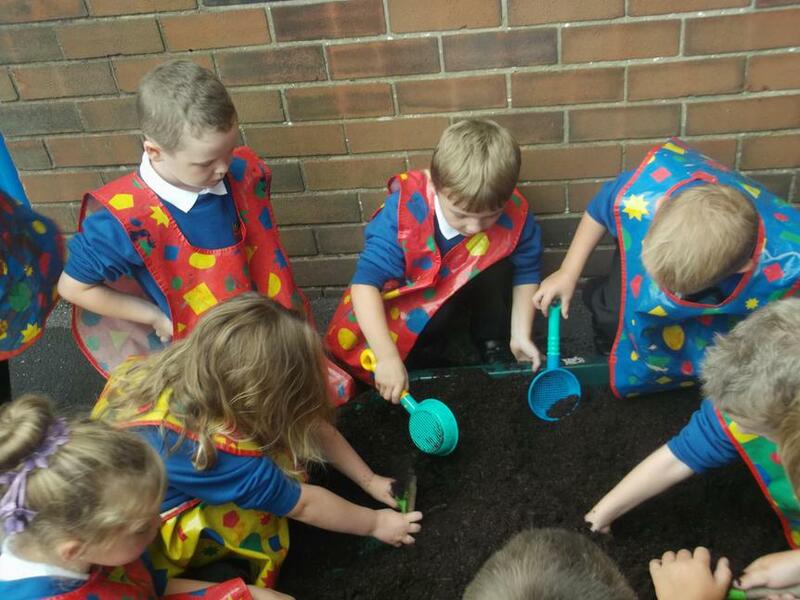 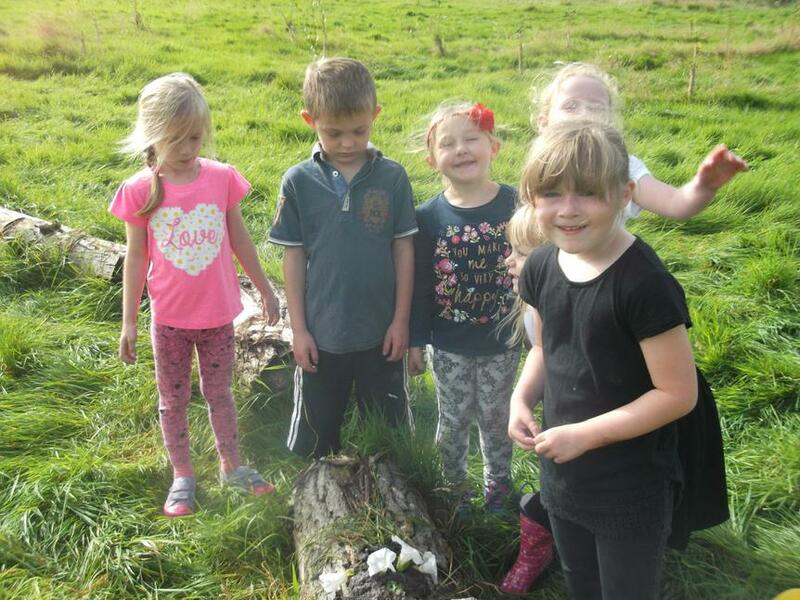 First we found some fossils outside and tried to identify which dinosaurs they had come from. 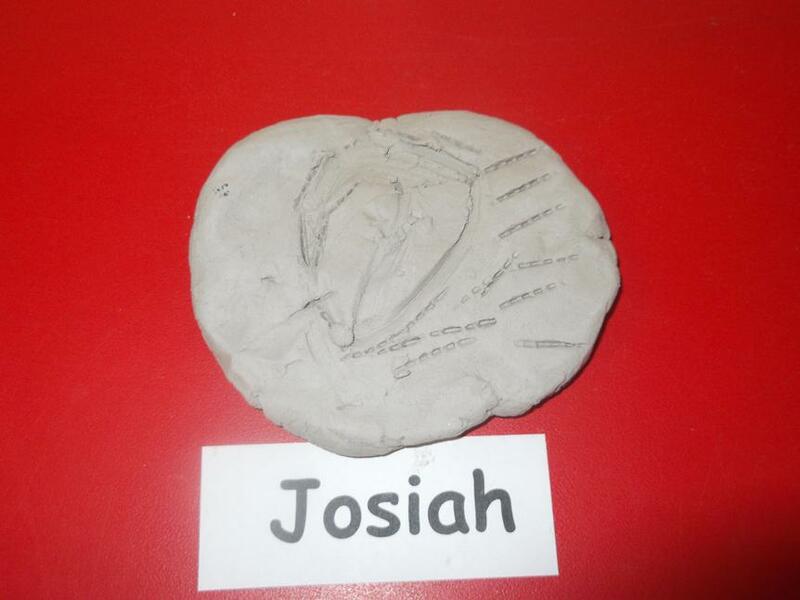 We have also learnt about Mary Anning who found a gigantic fish fossil called an ichthyosaurus. 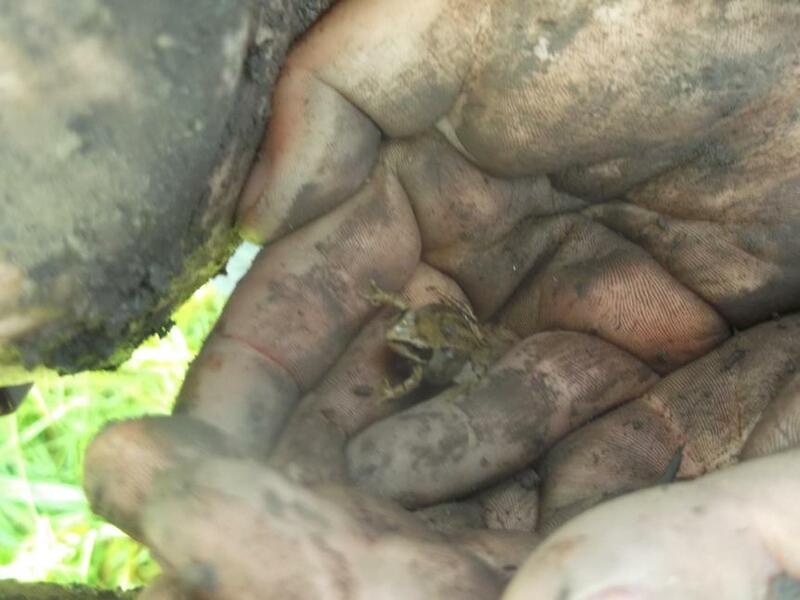 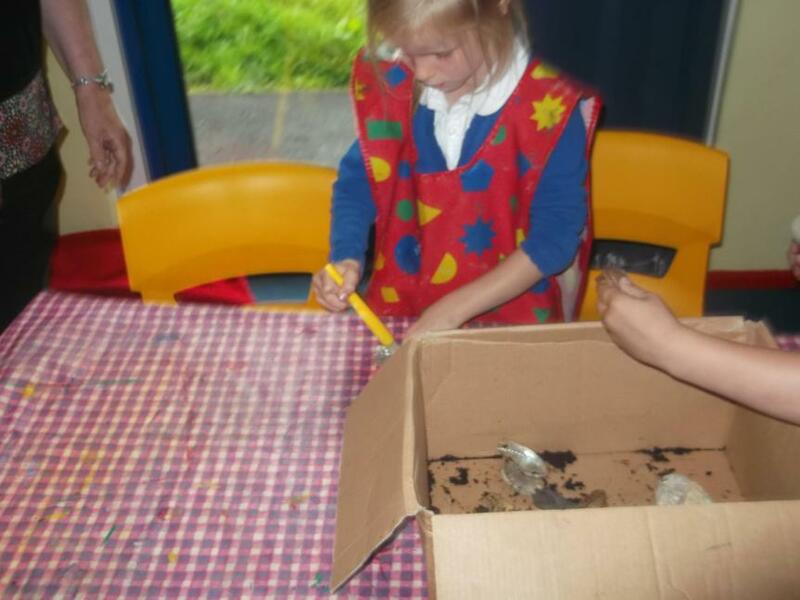 Here are some pictures of us searching for and cleaning fossils. 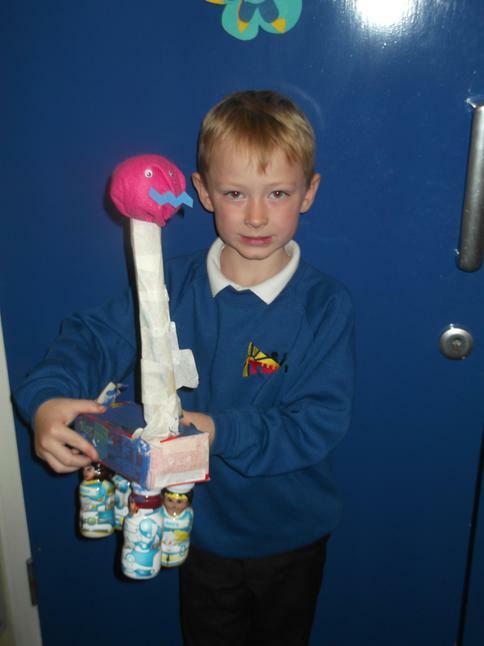 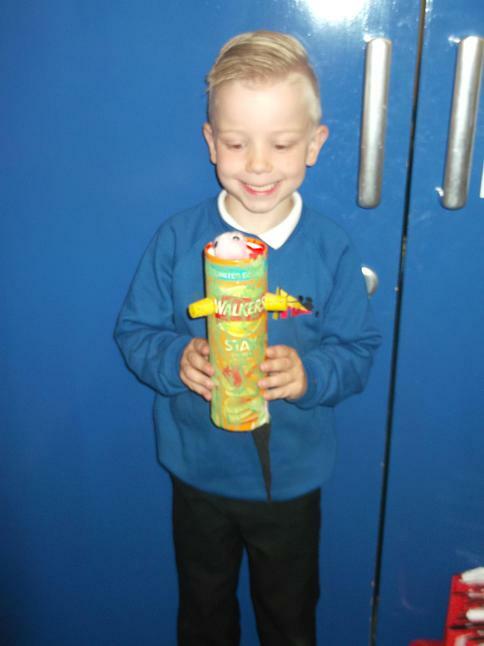 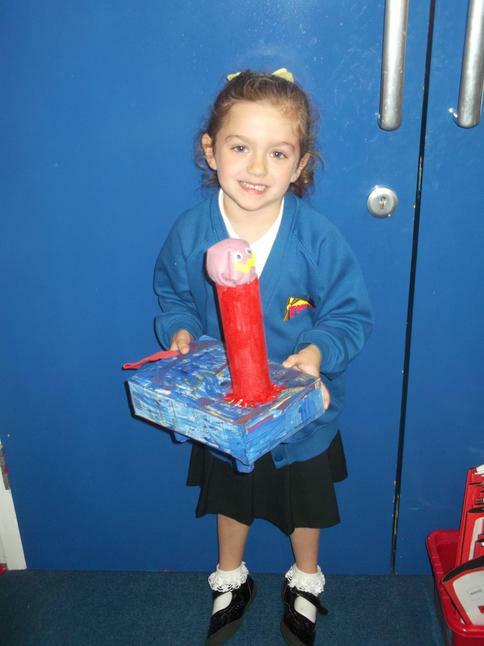 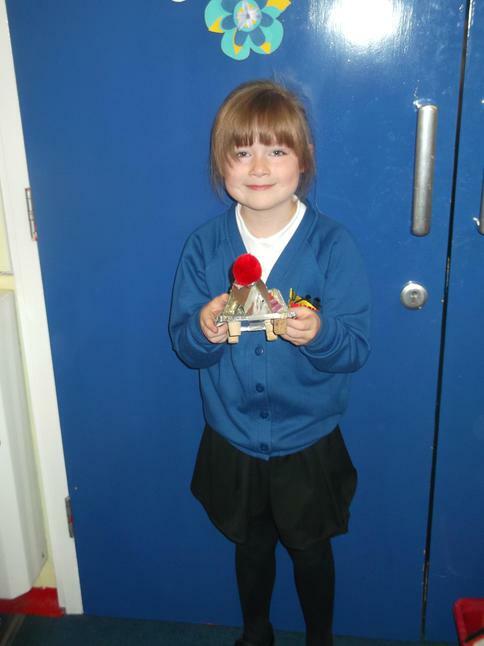 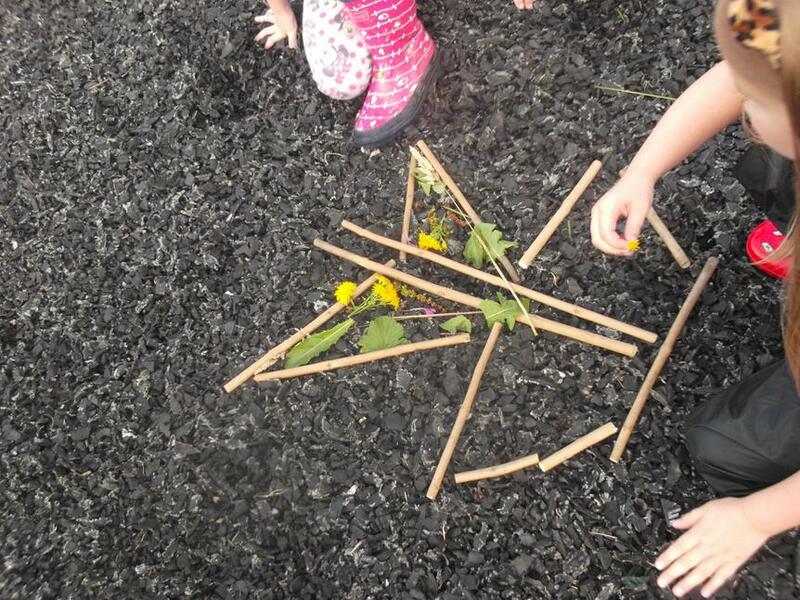 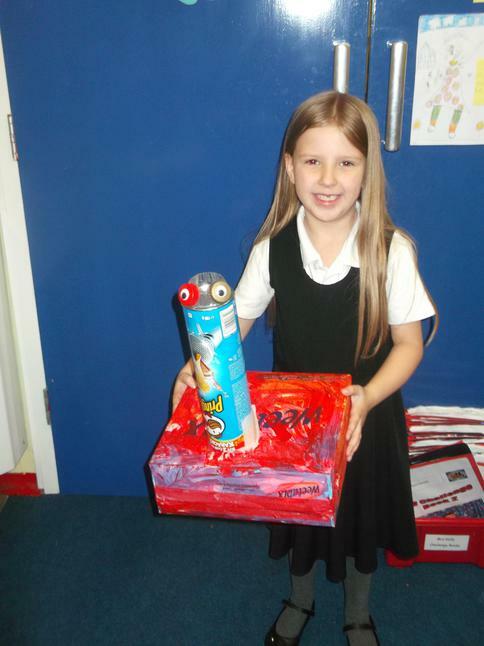 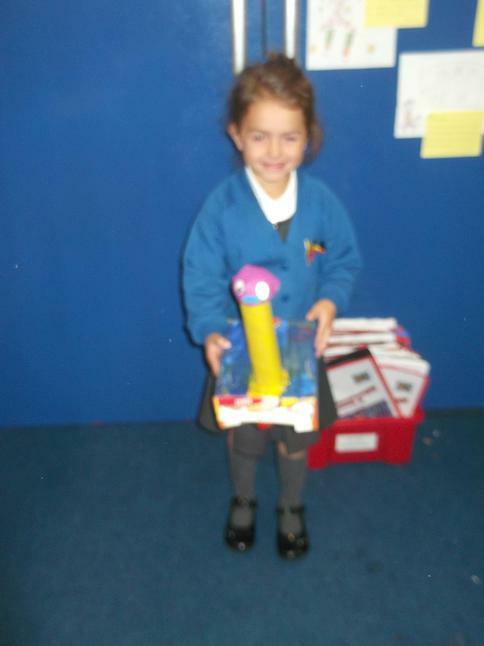 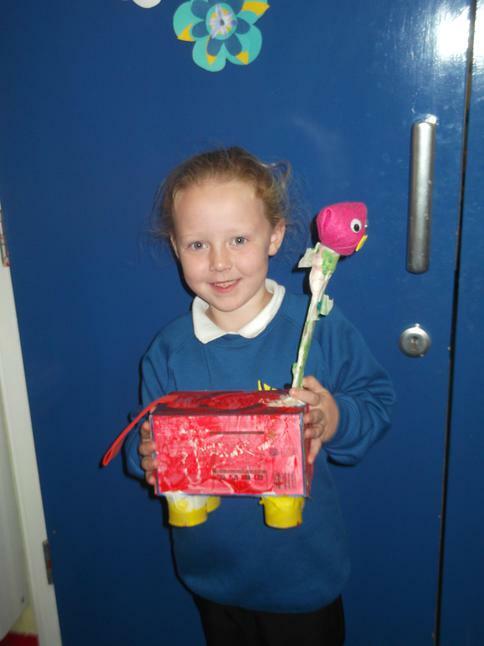 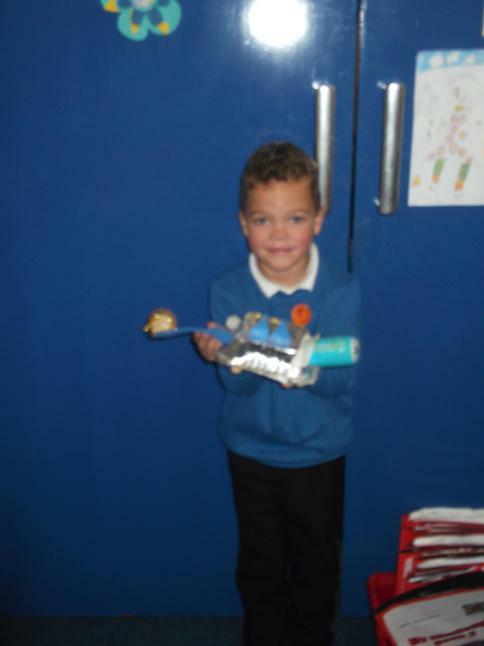 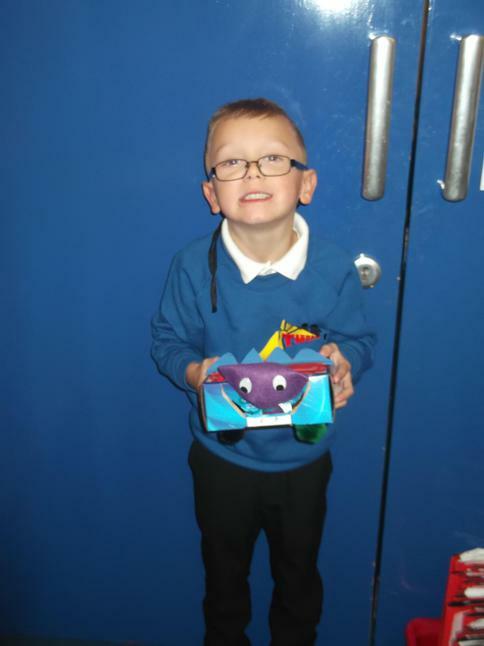 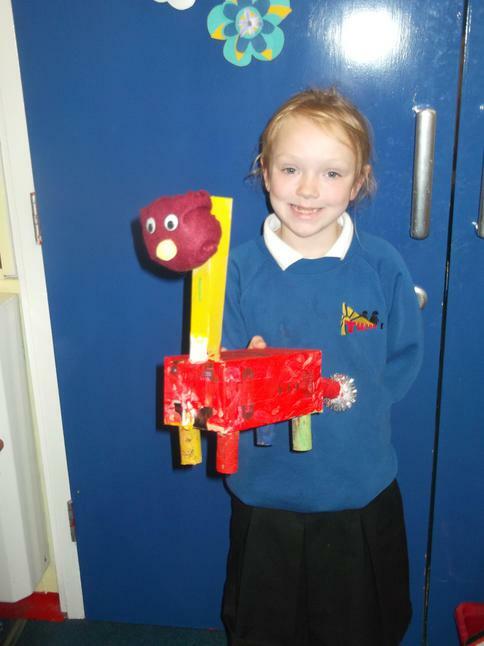 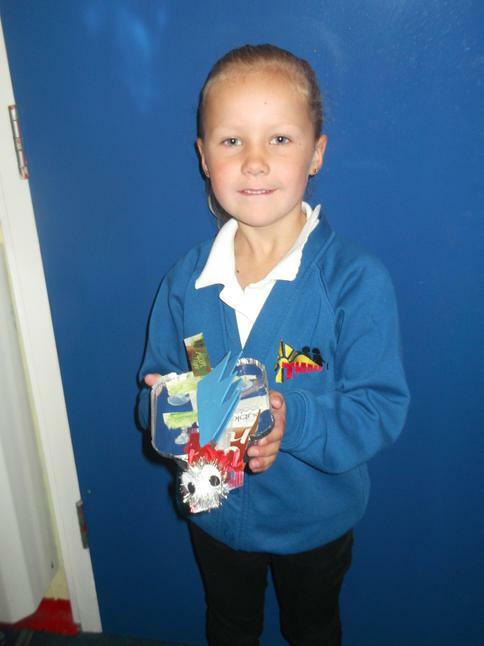 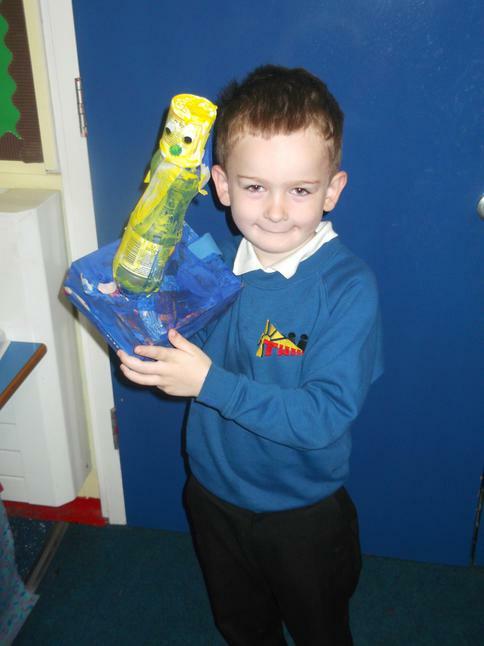 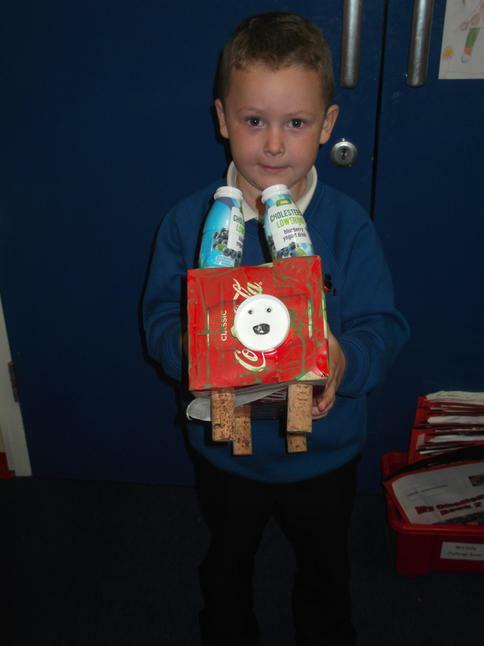 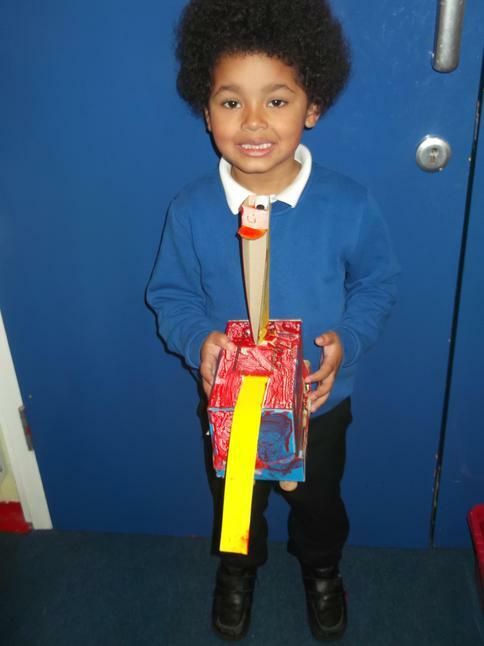 We have designed and made some model dinosaurs out of junk material. 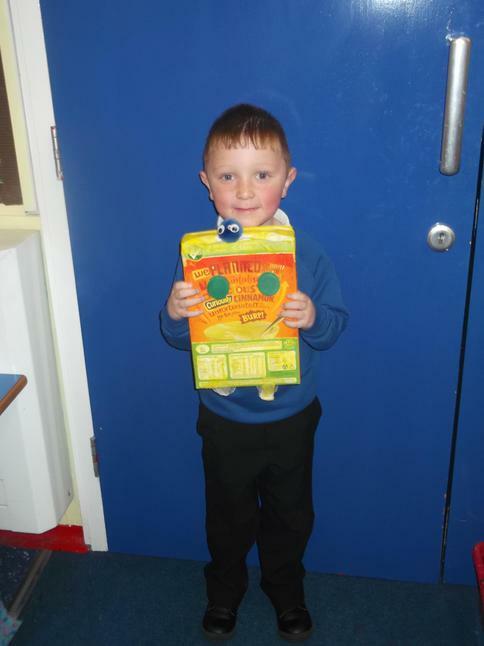 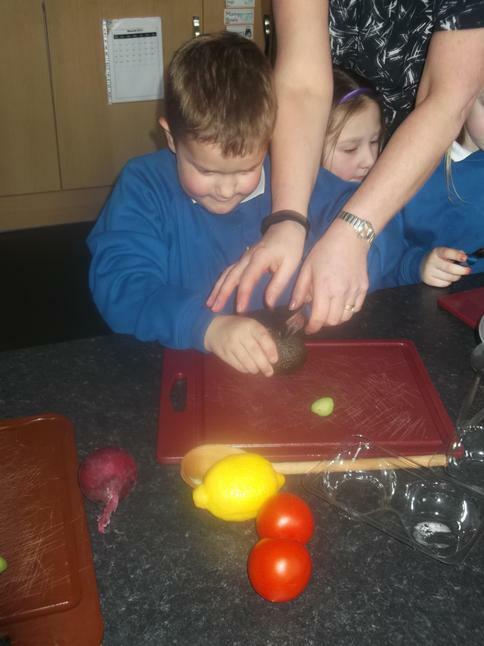 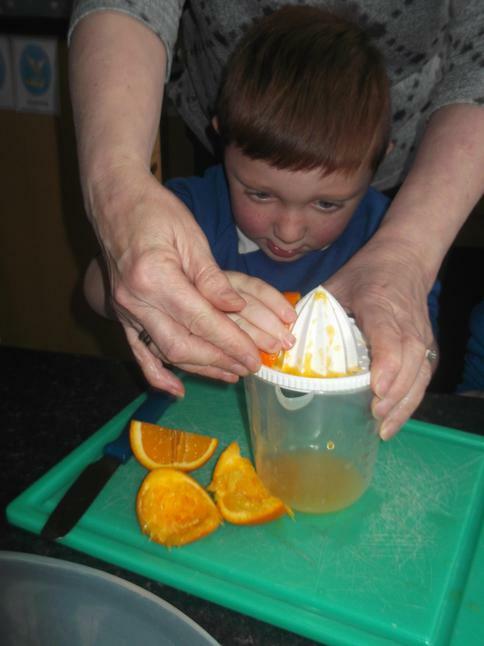 Look at the fantastic results! 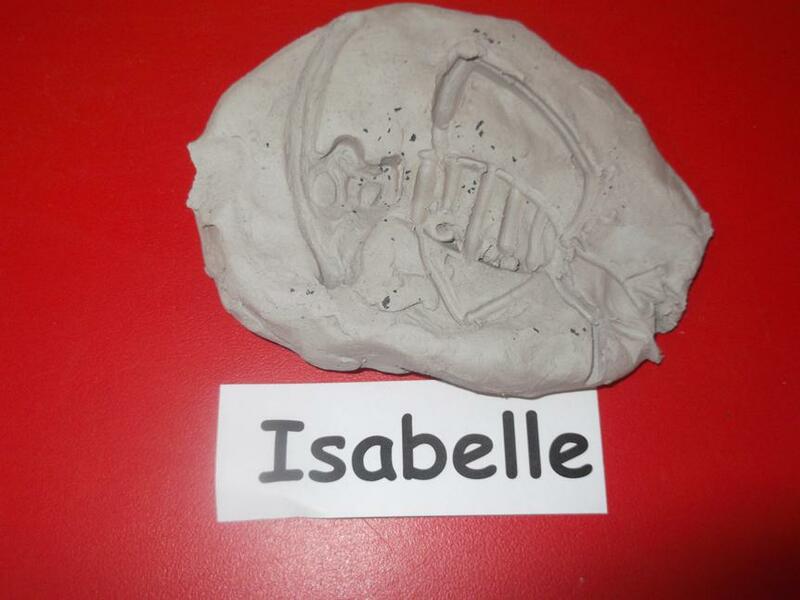 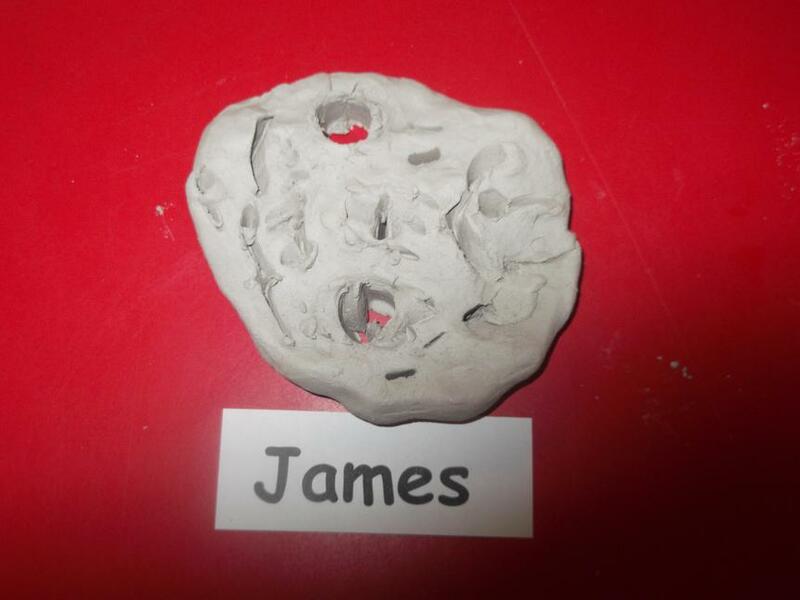 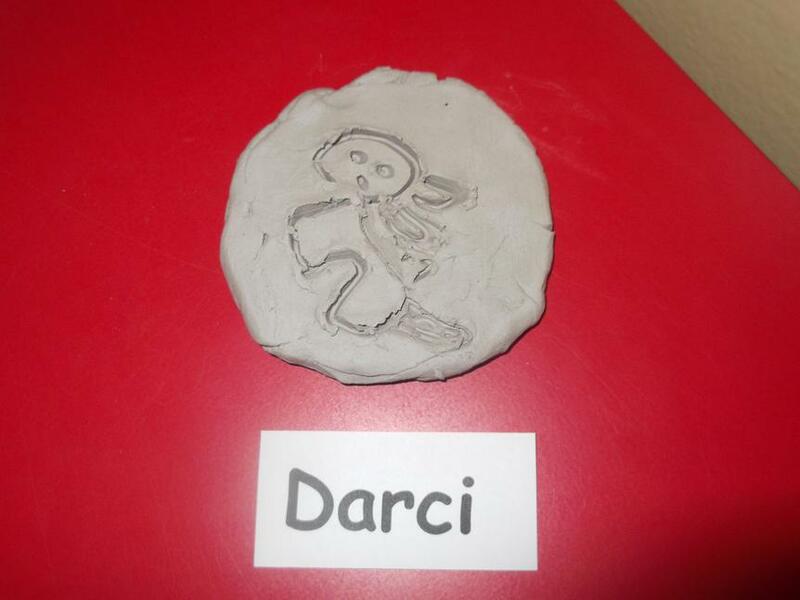 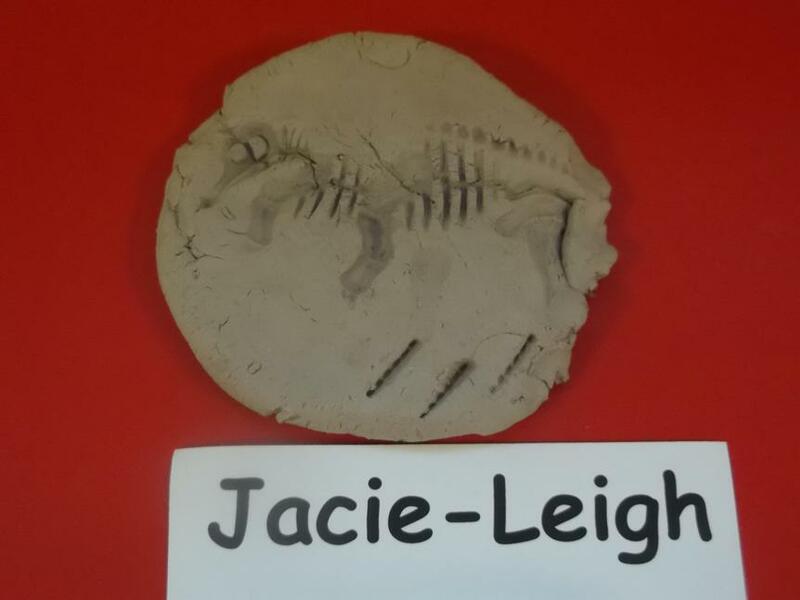 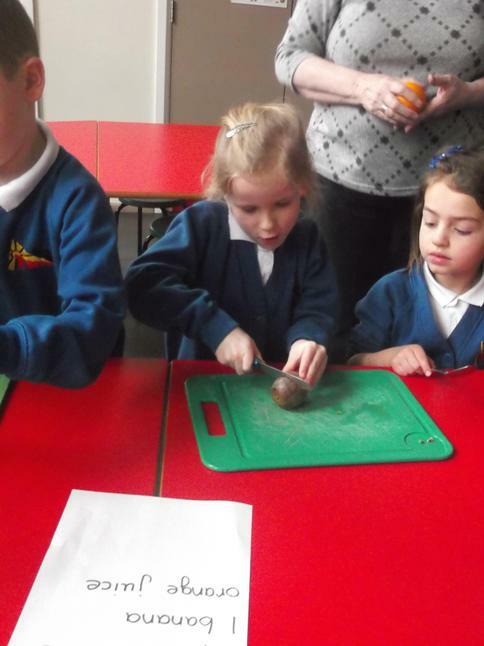 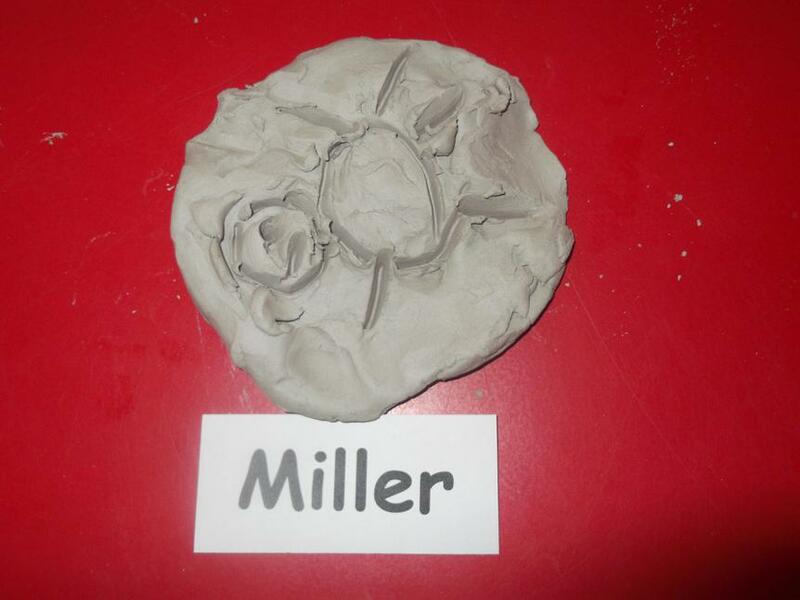 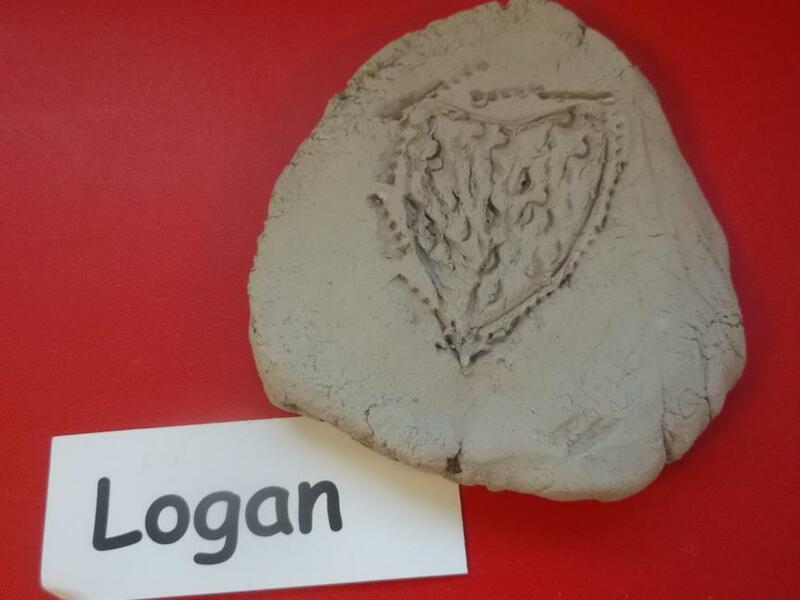 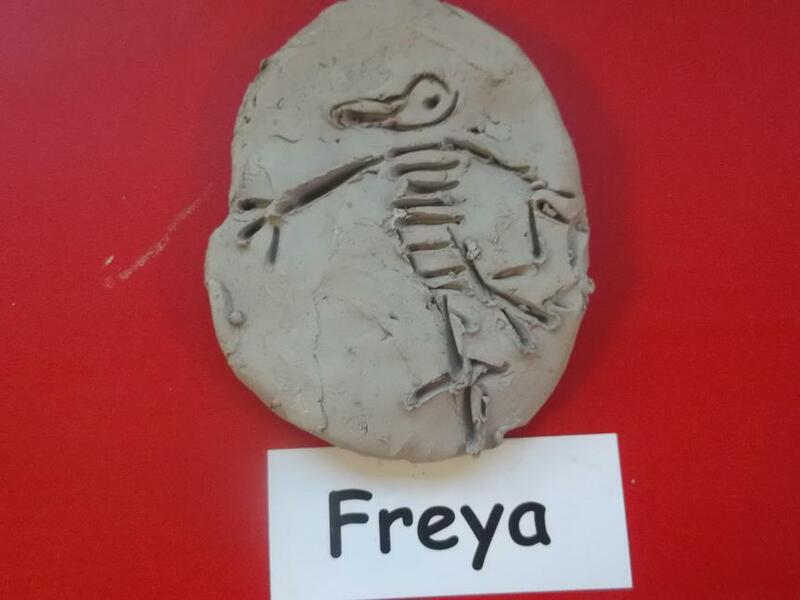 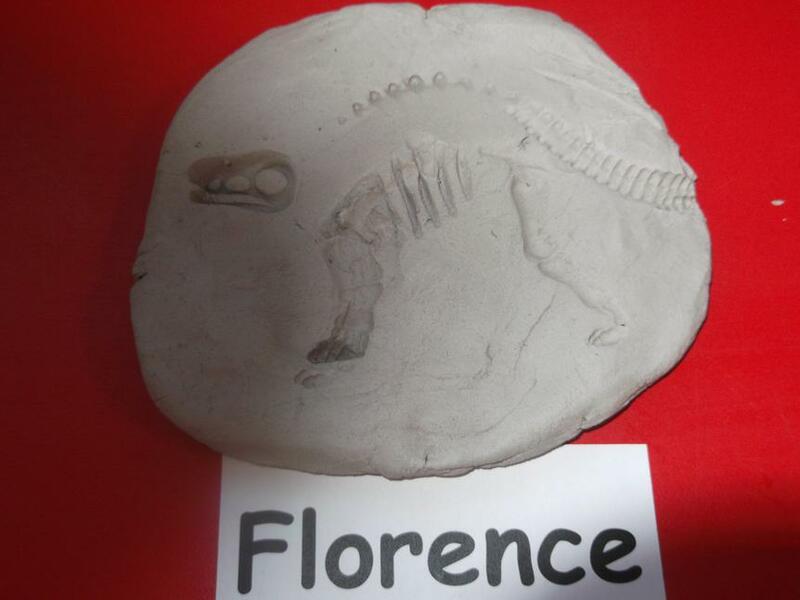 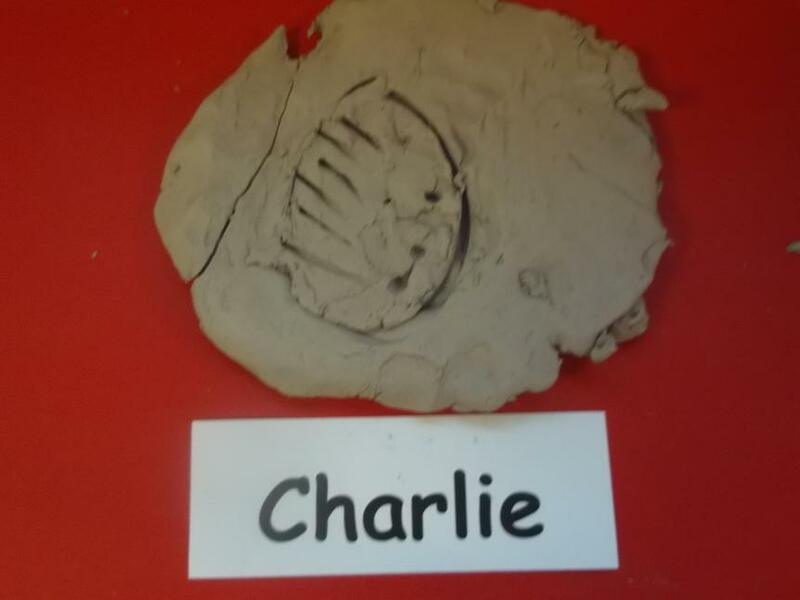 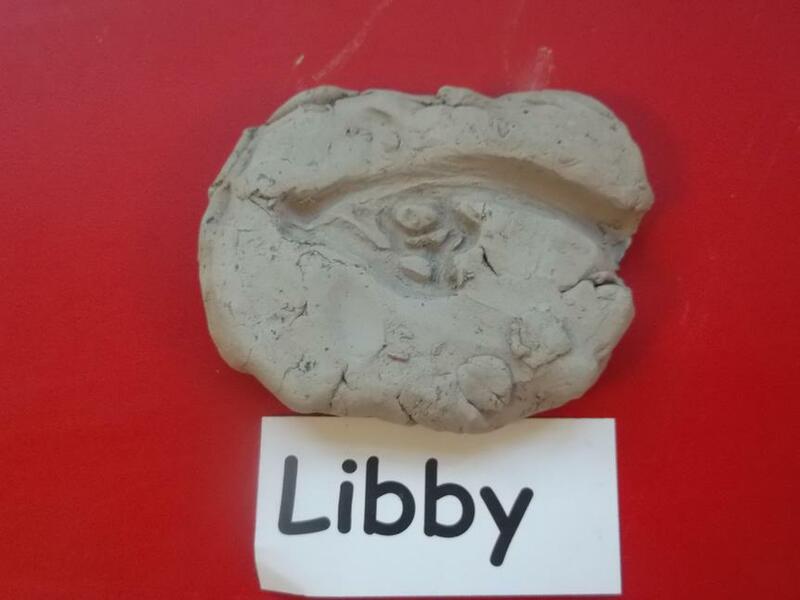 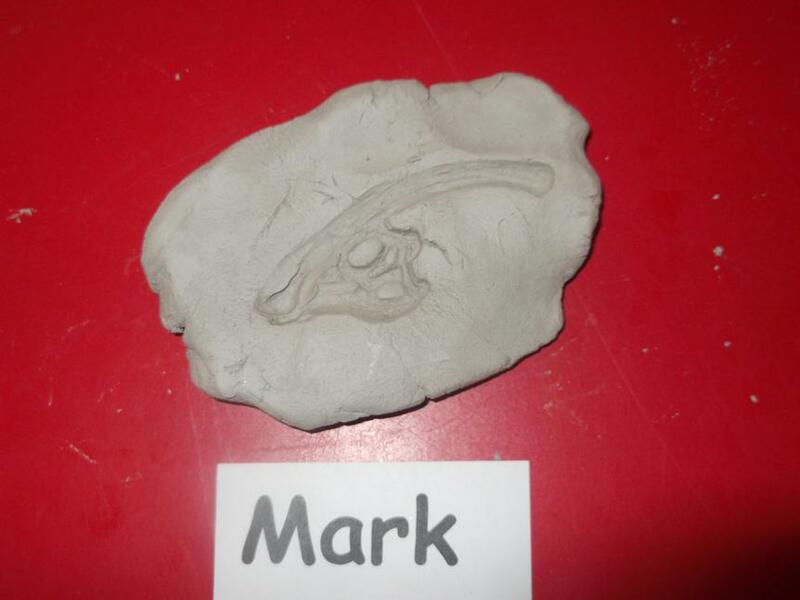 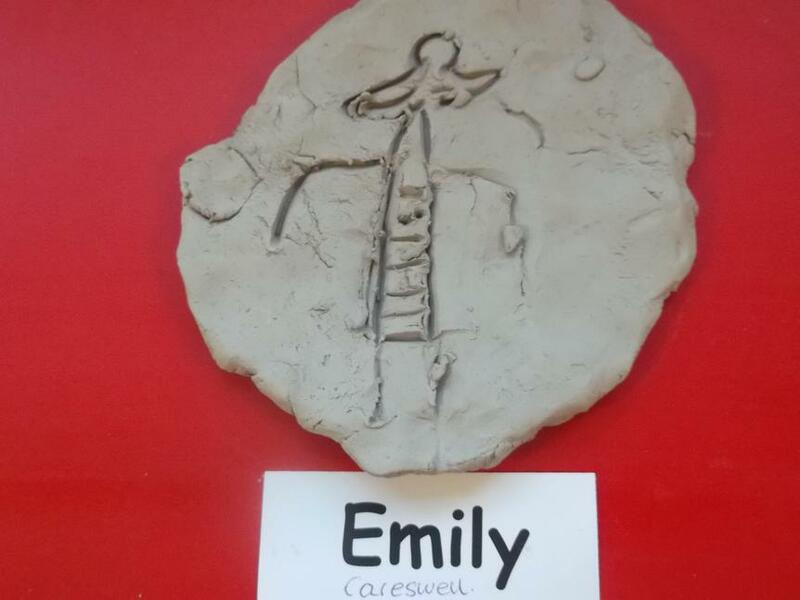 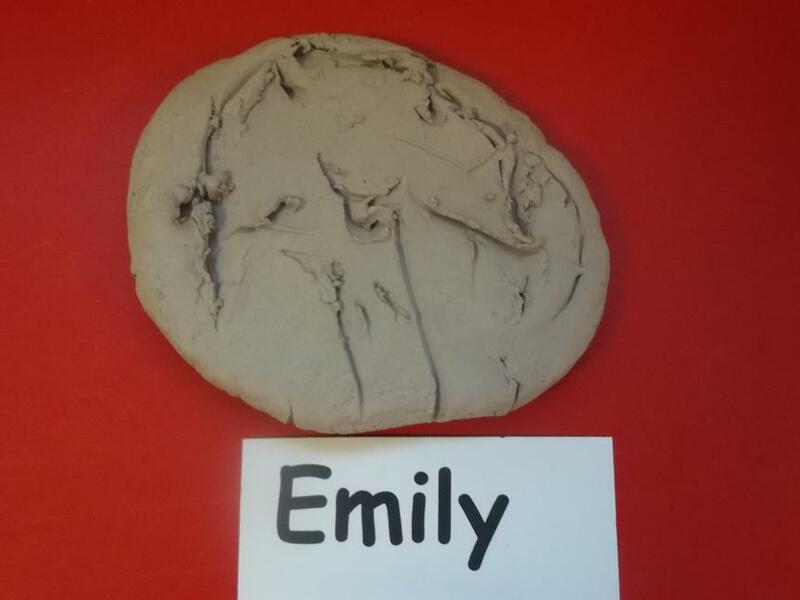 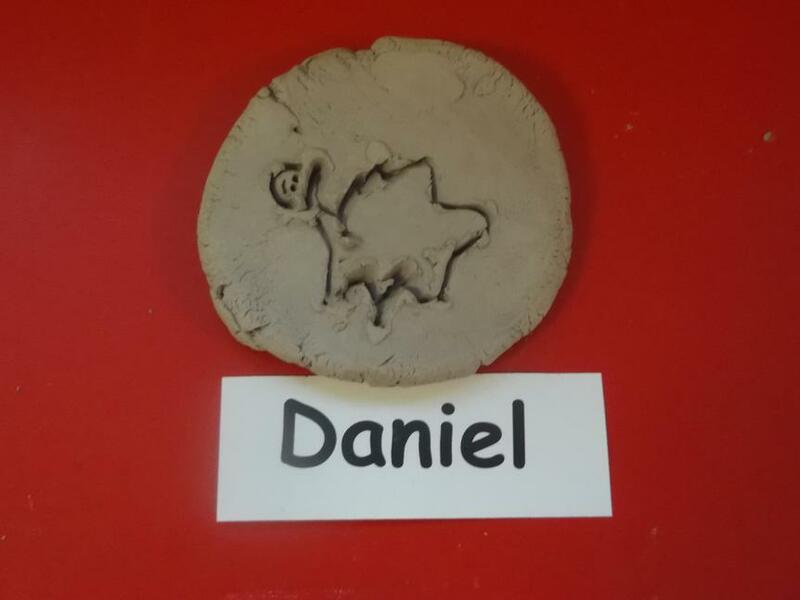 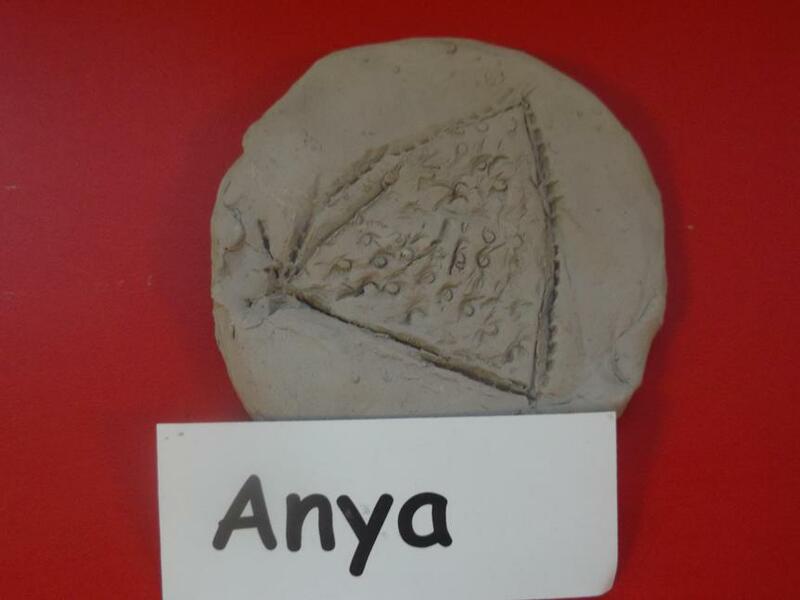 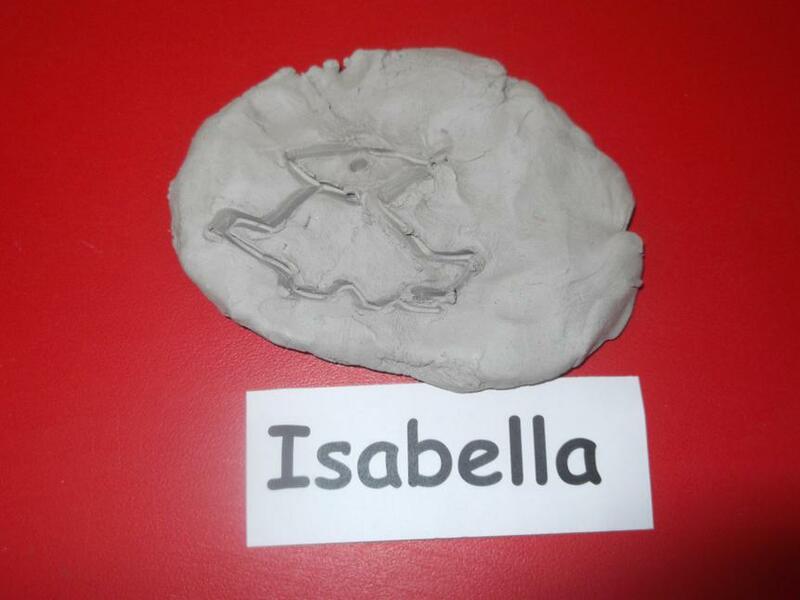 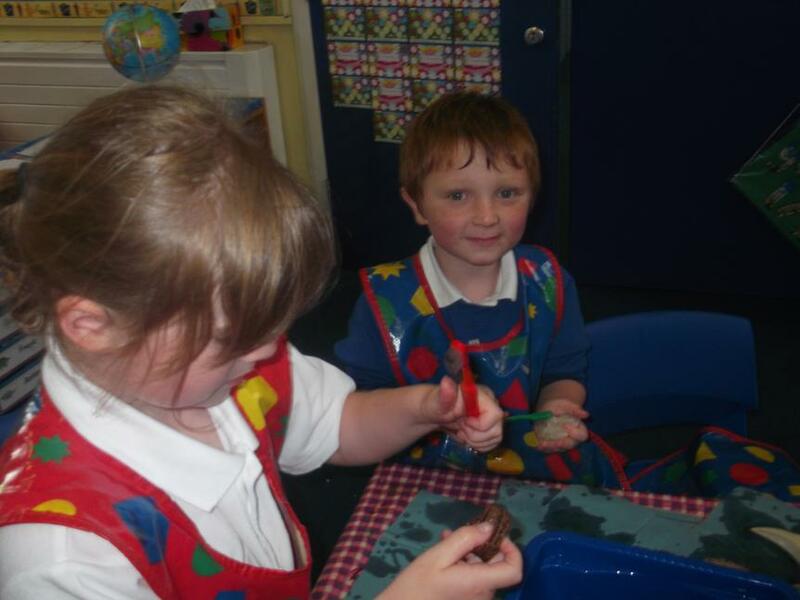 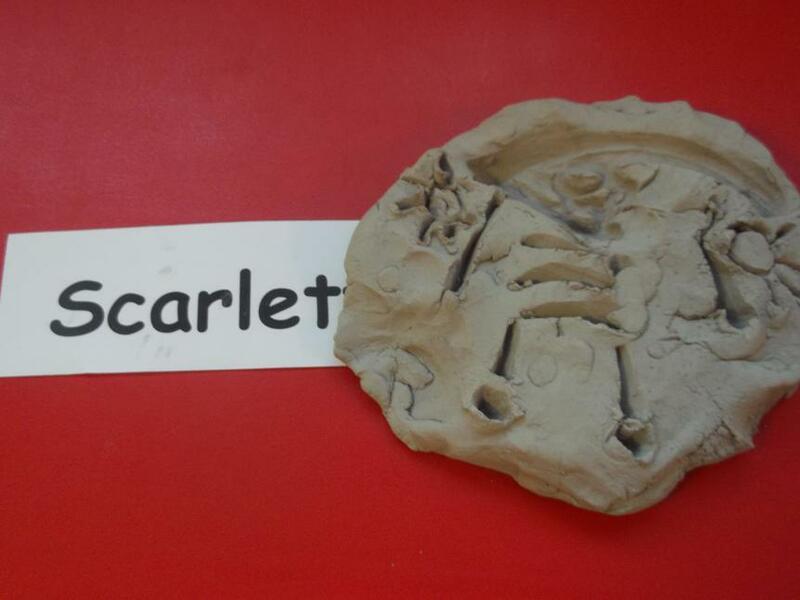 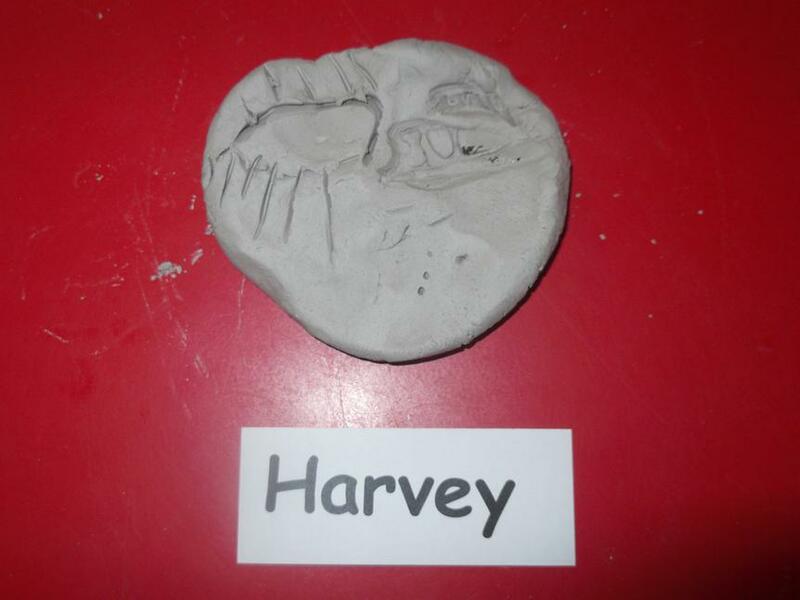 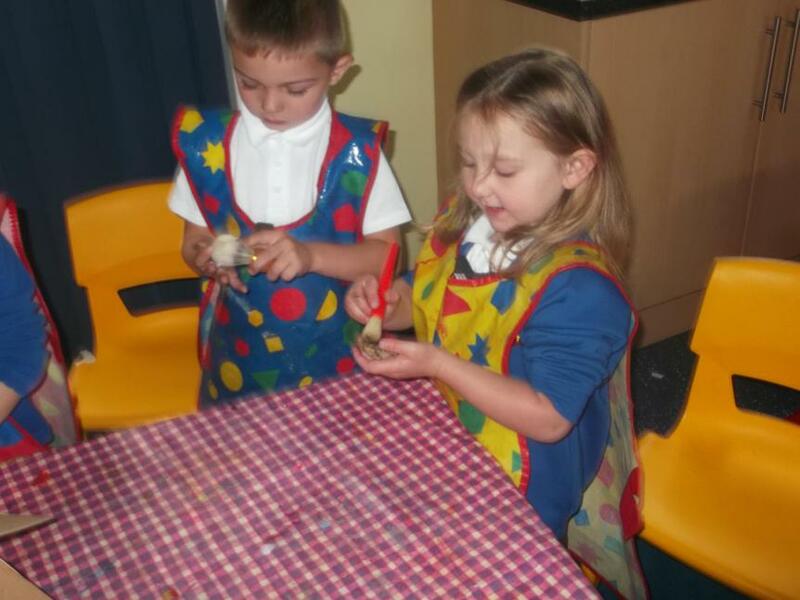 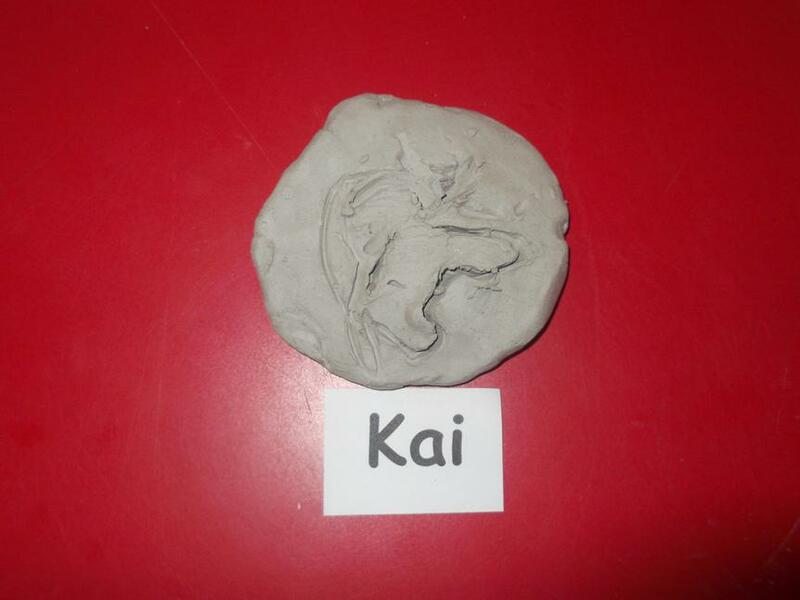 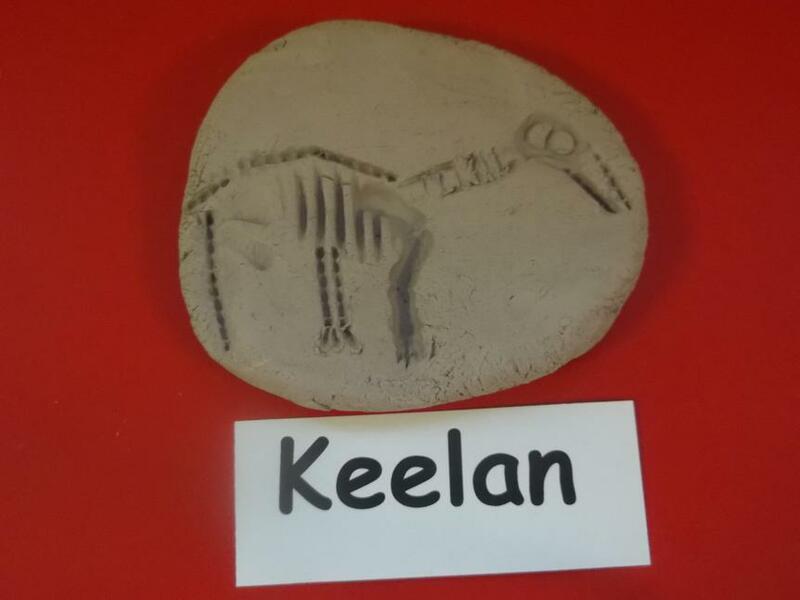 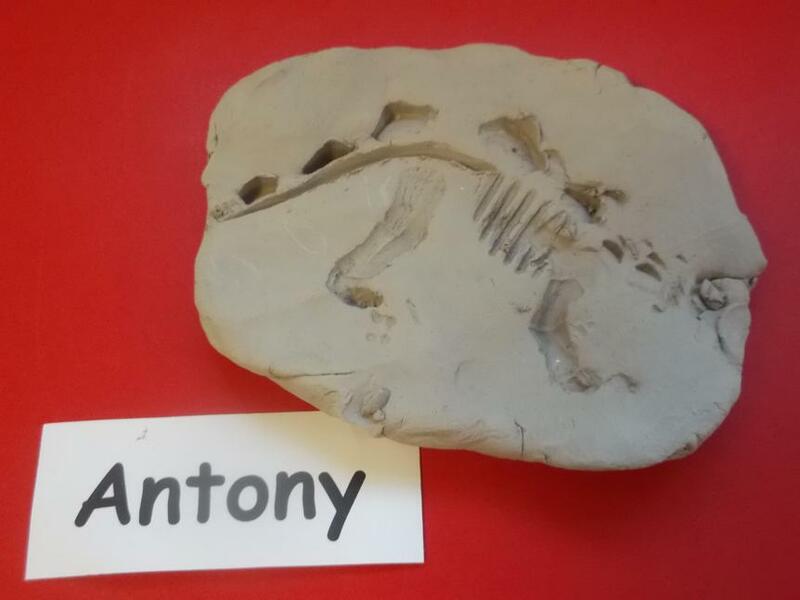 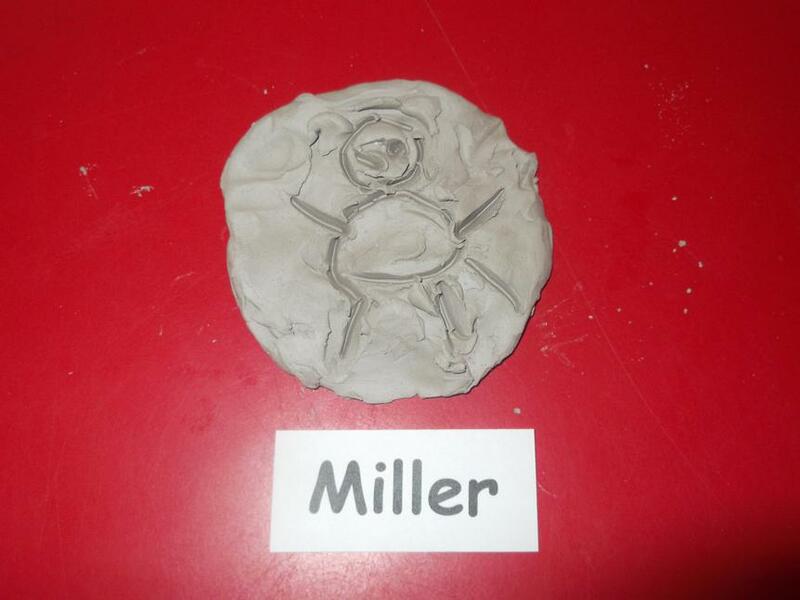 We have also made fossils out of clay. 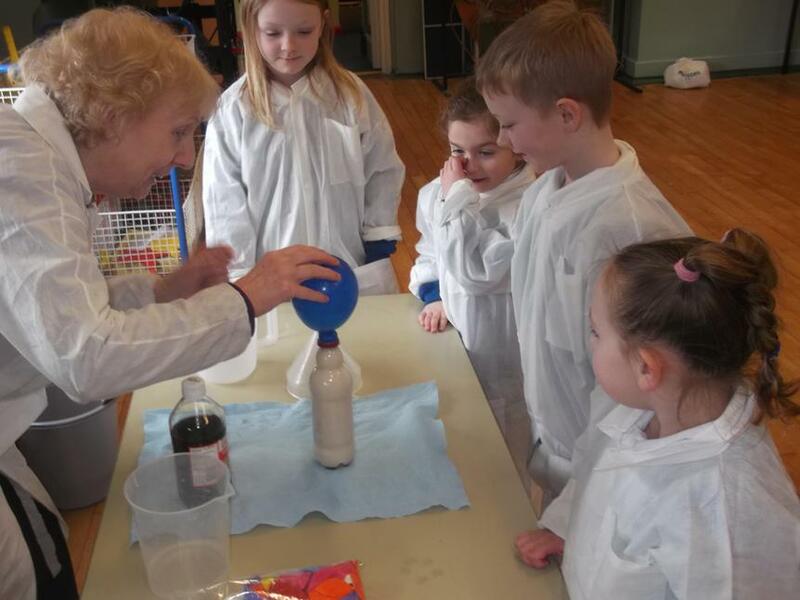 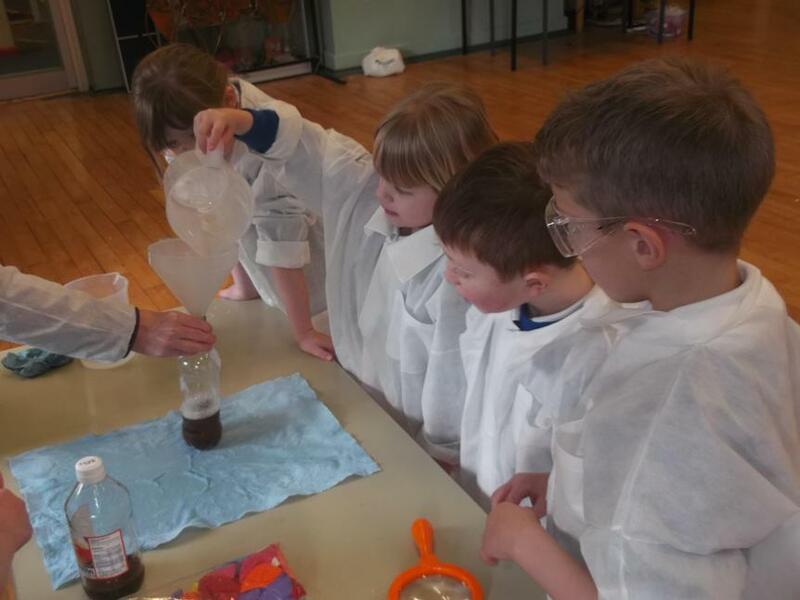 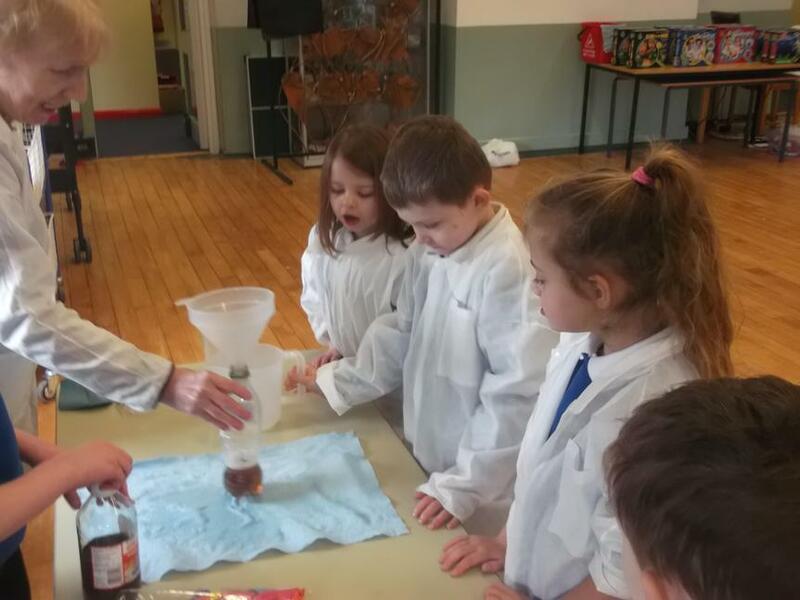 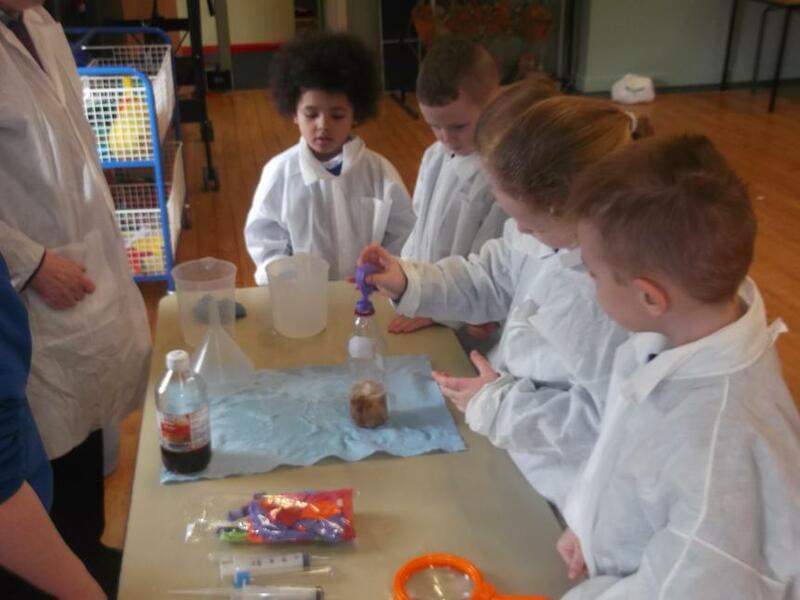 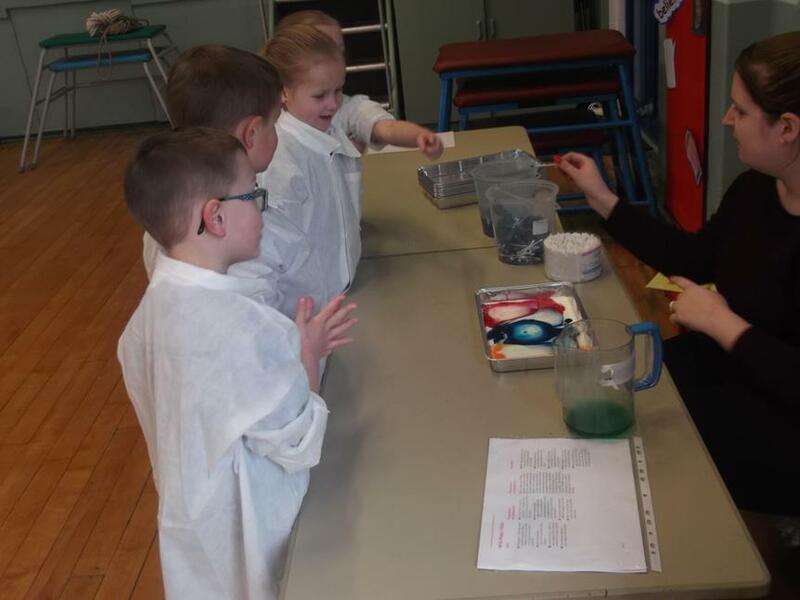 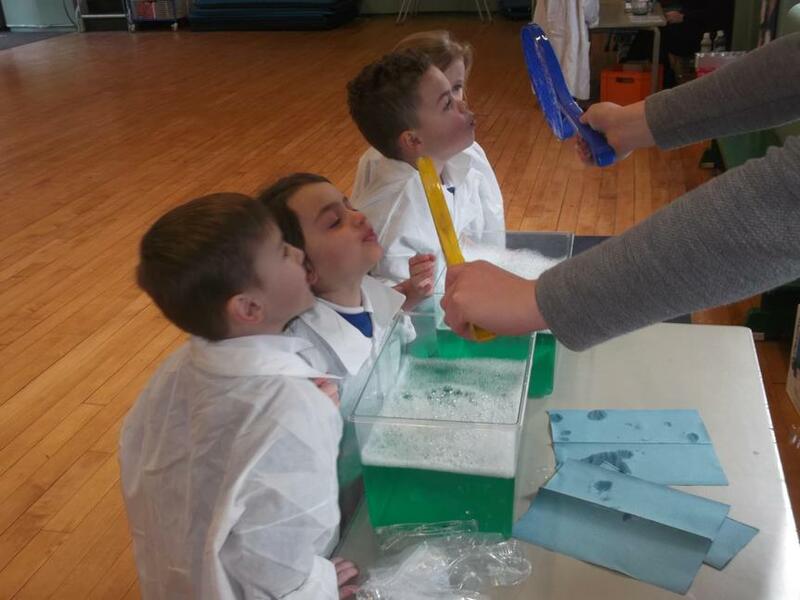 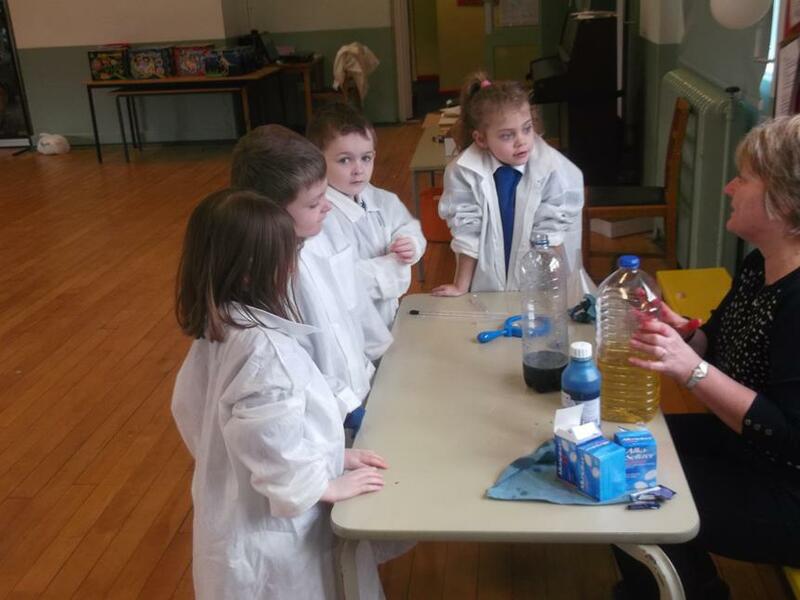 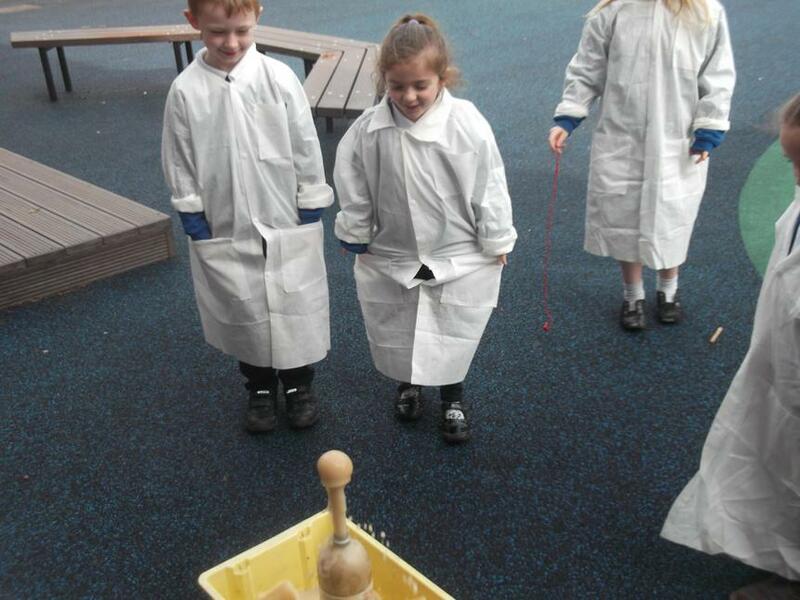 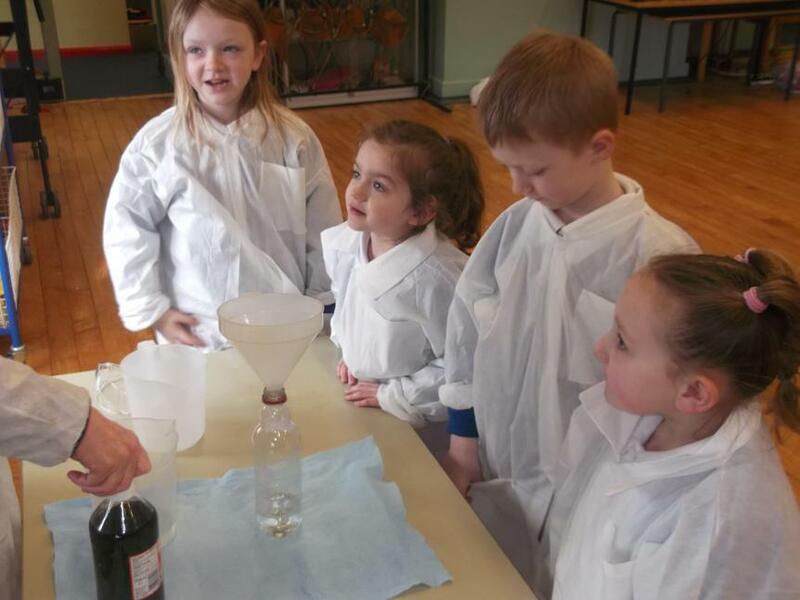 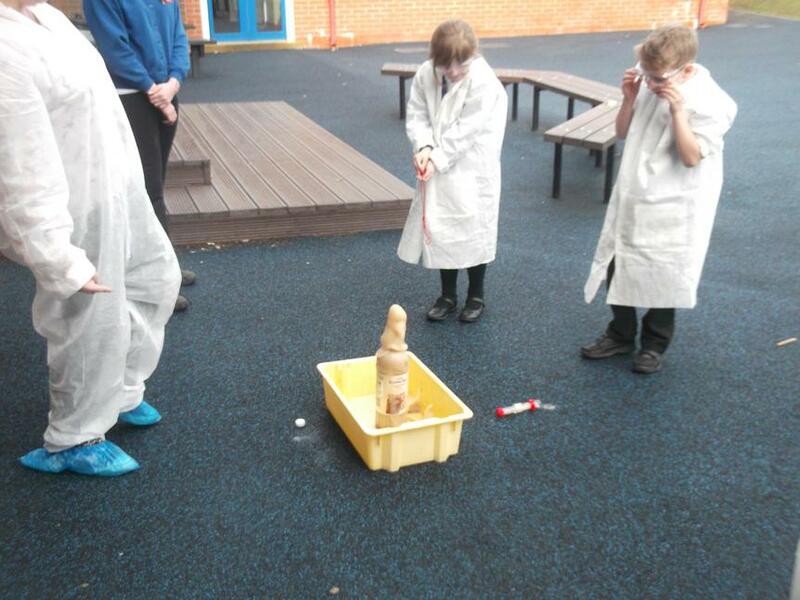 science lab. 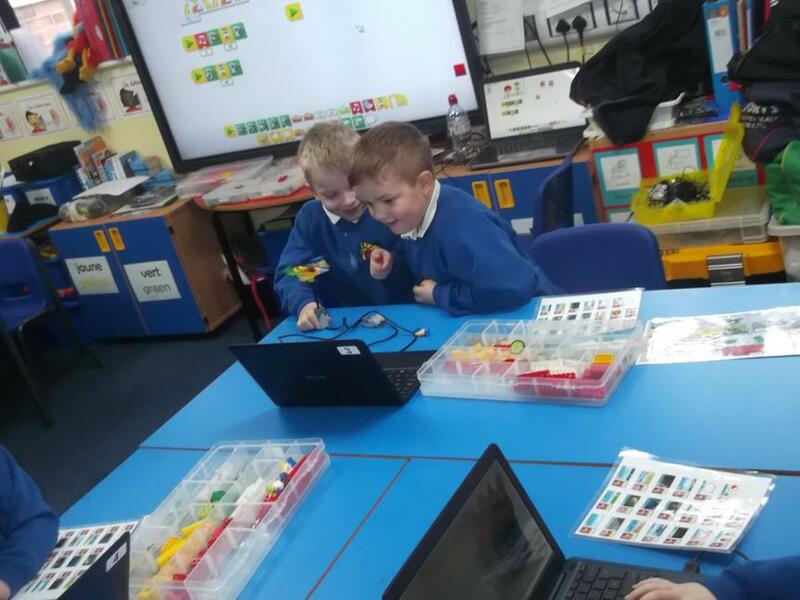 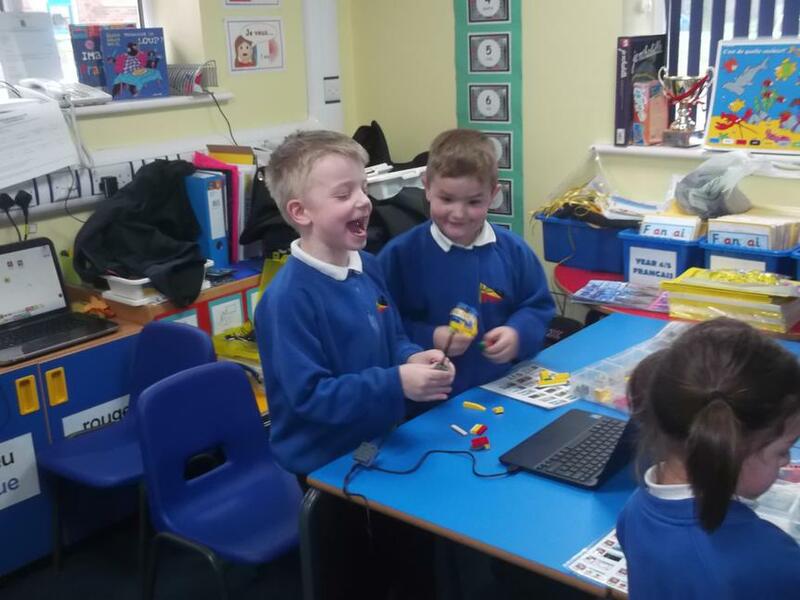 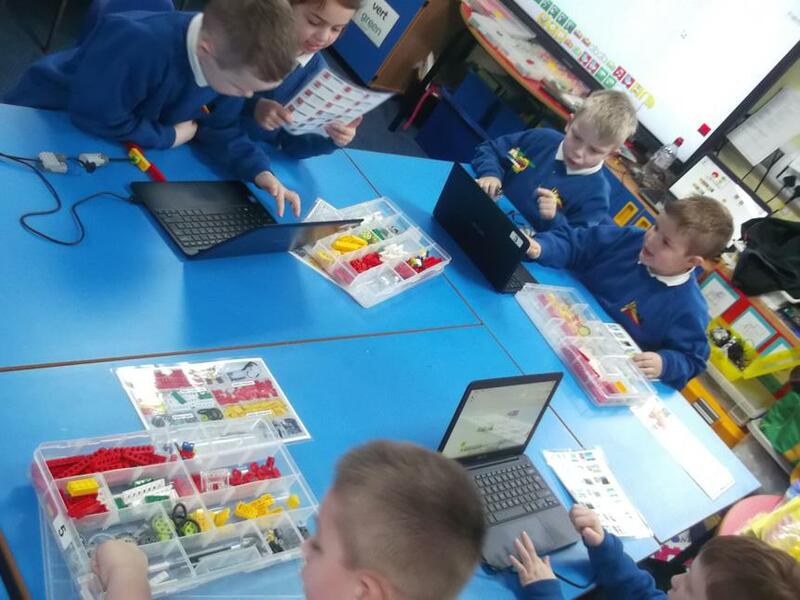 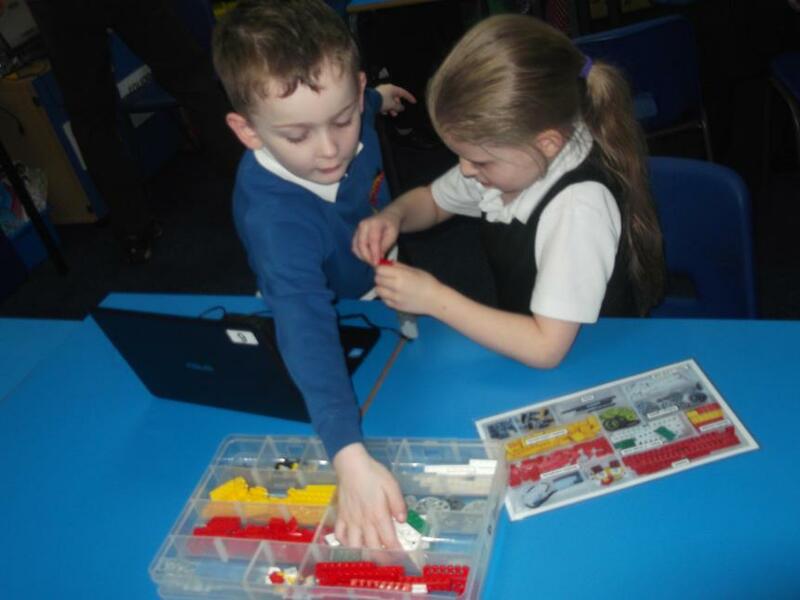 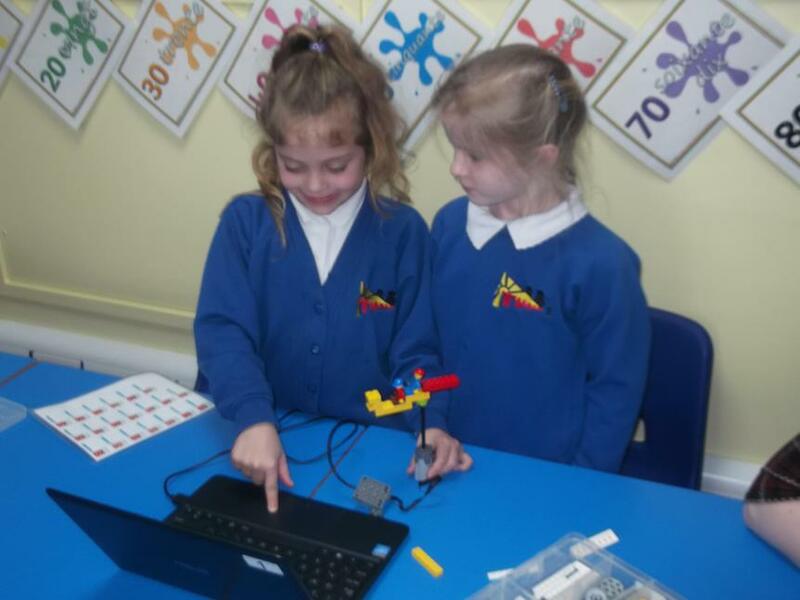 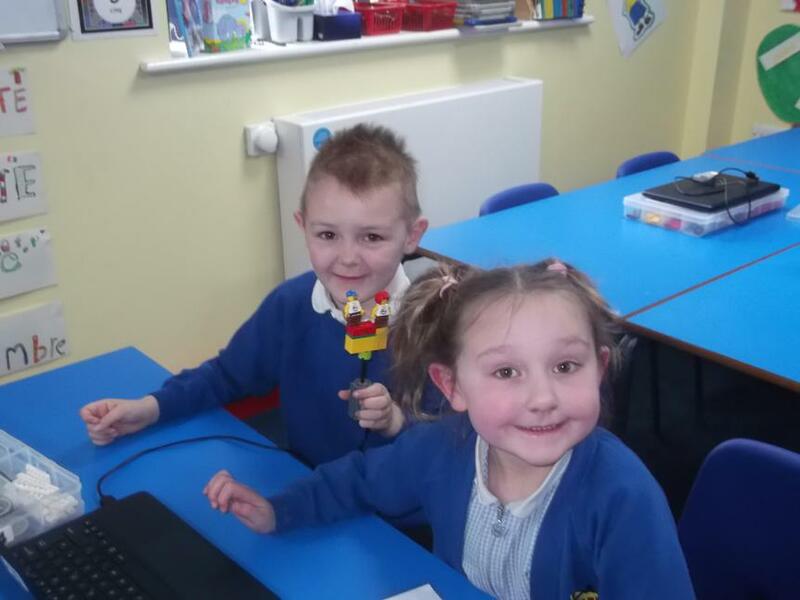 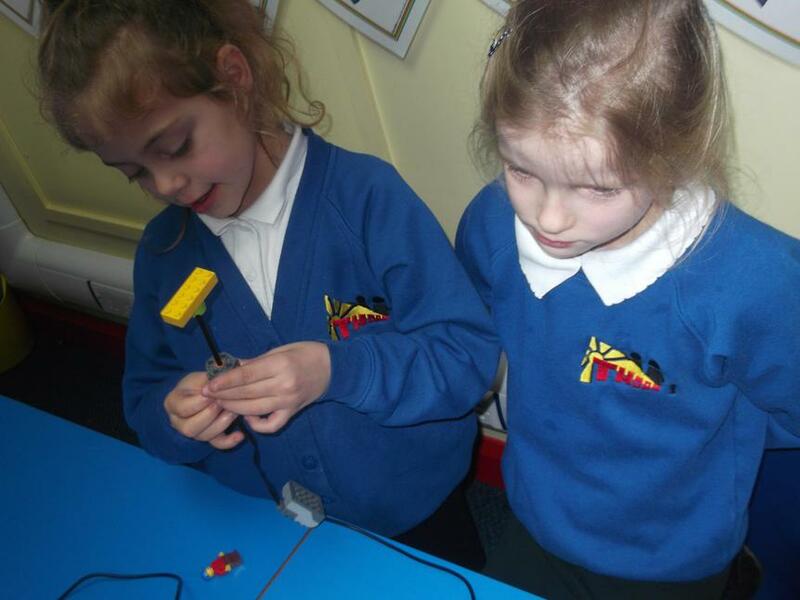 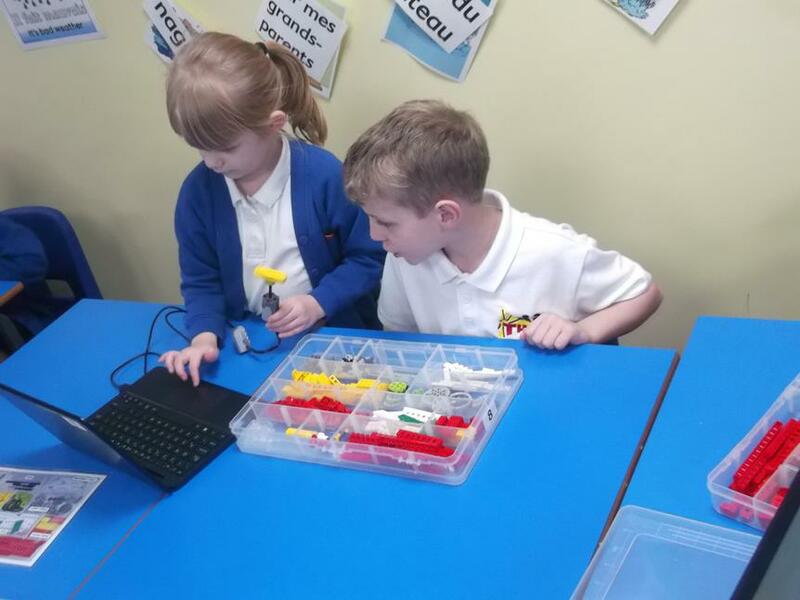 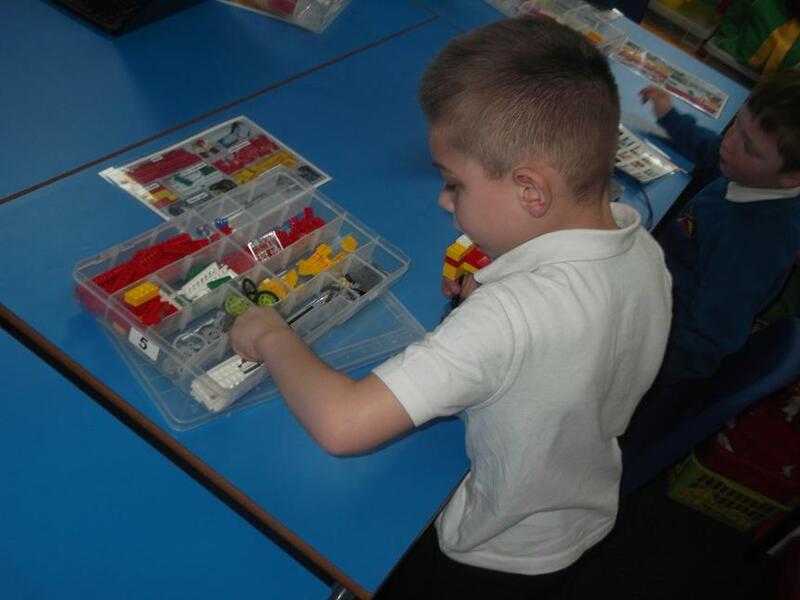 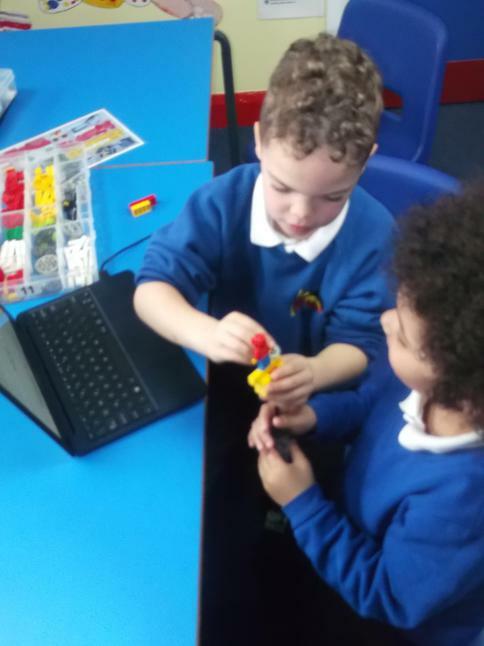 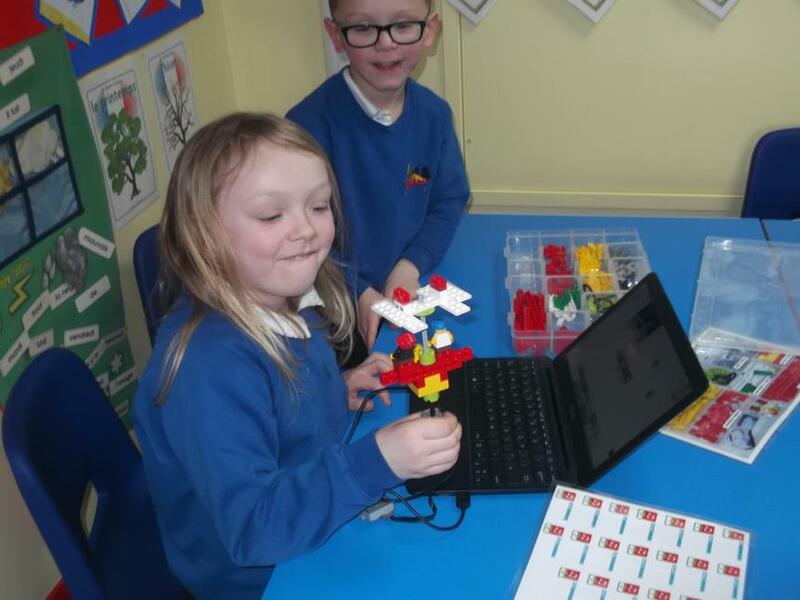 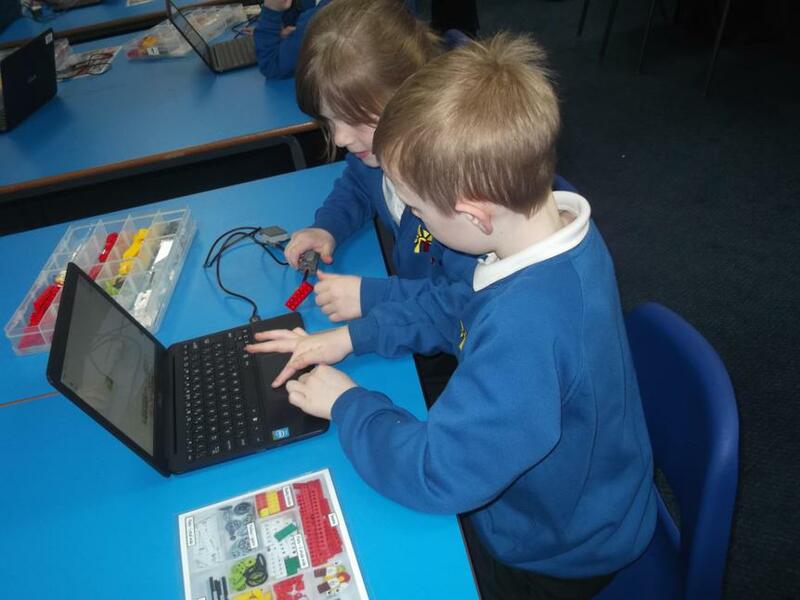 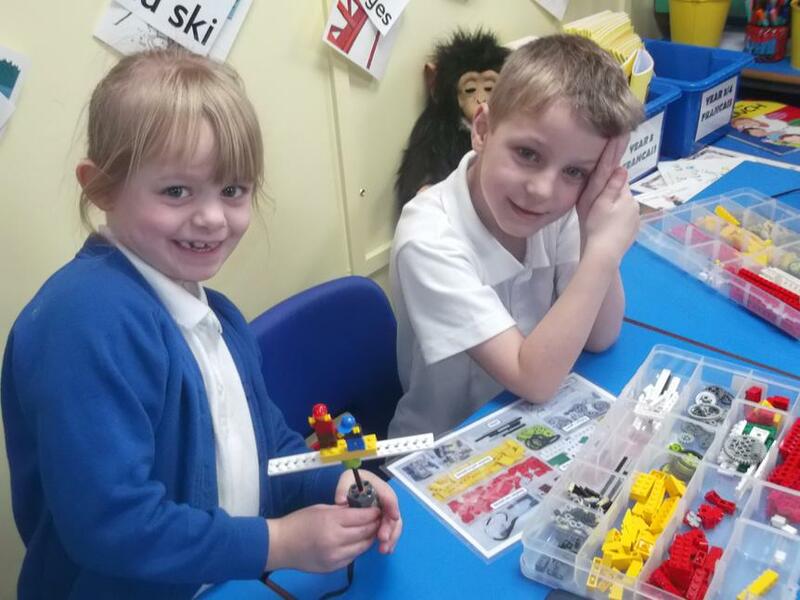 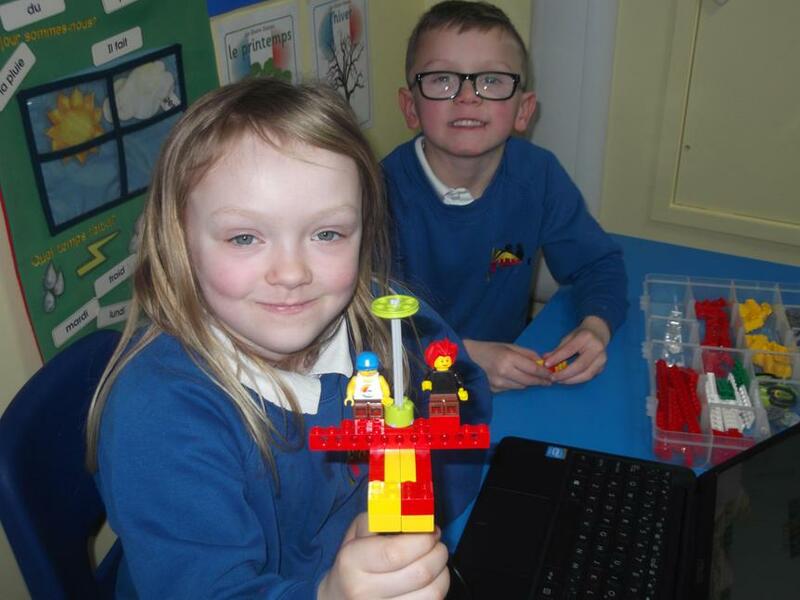 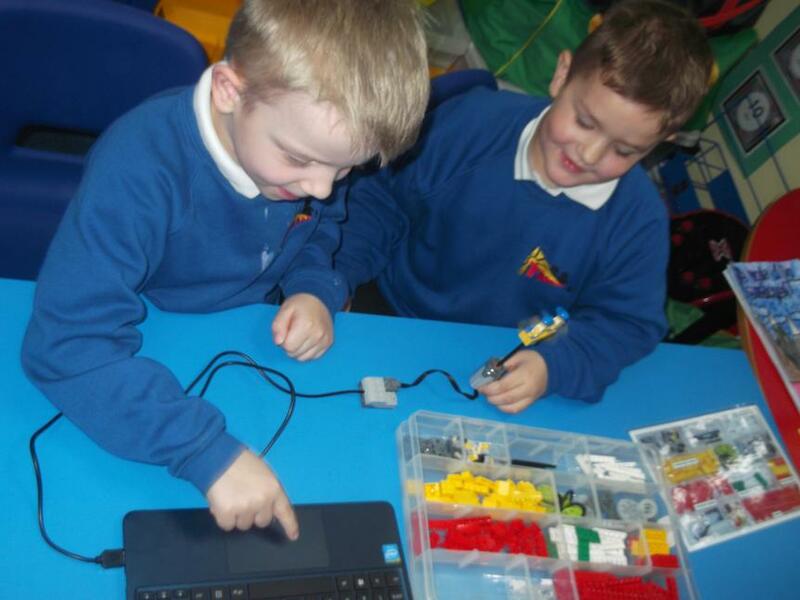 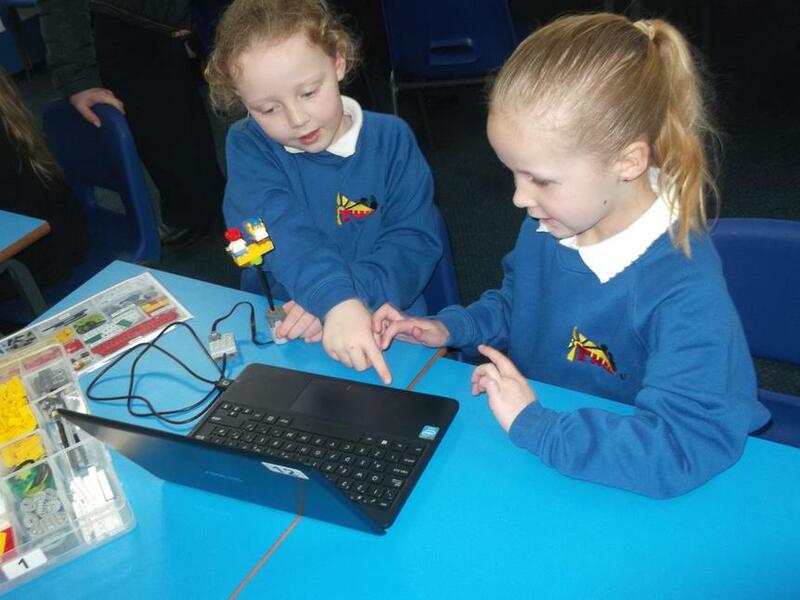 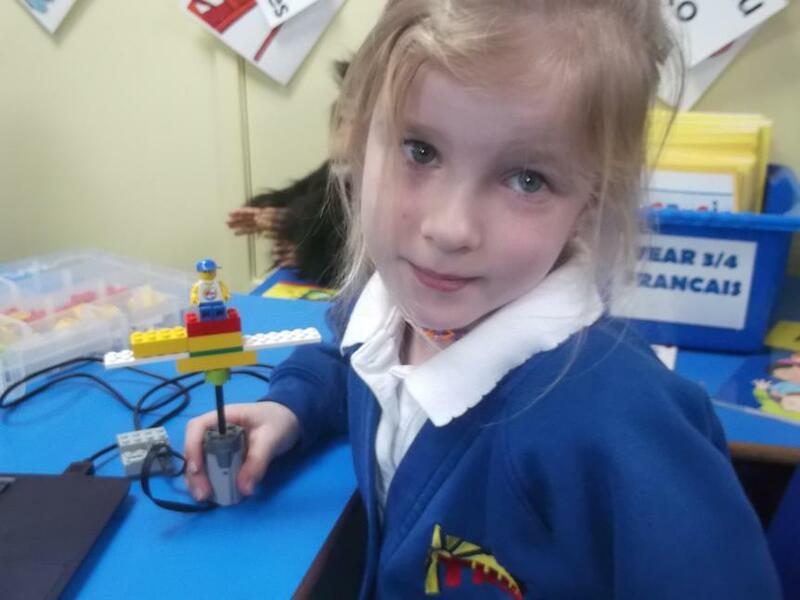 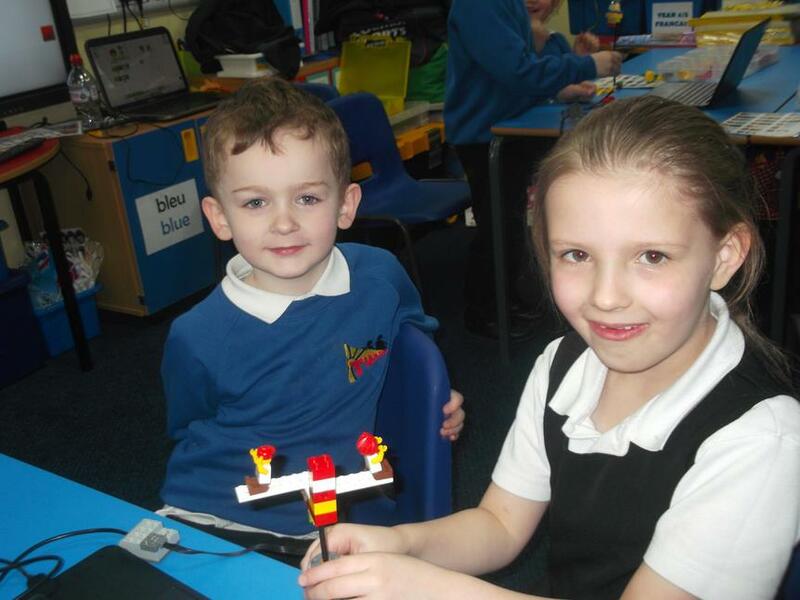 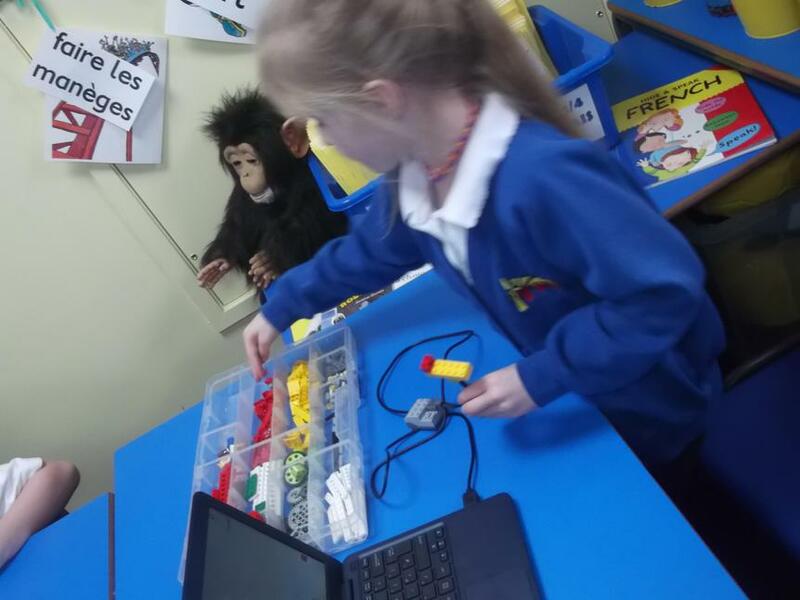 We took part in a Lego workshop in which we learnt how to programme our Lego models using laptops.